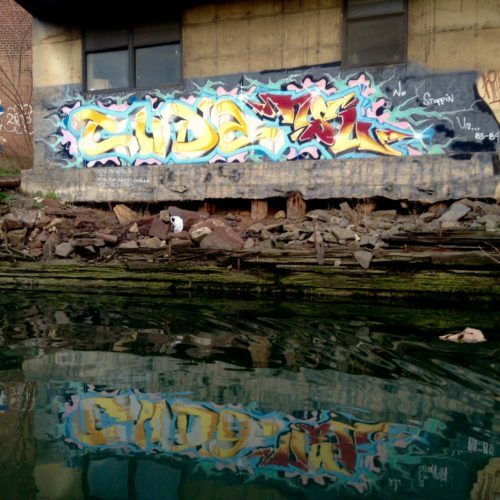 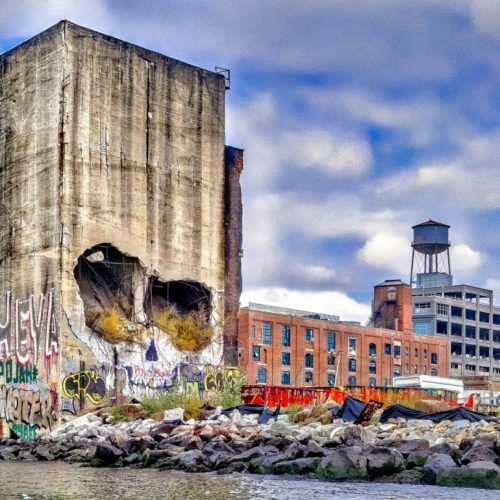 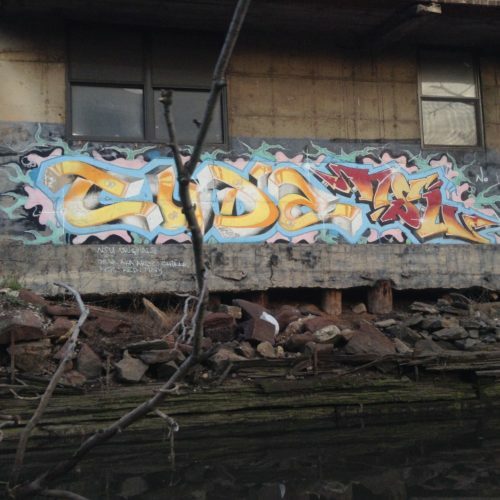 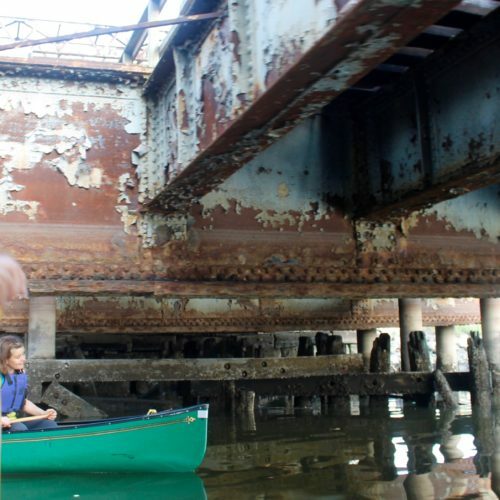 We’ve documented so many great trips that we have had to break up the Paddle Gallery. 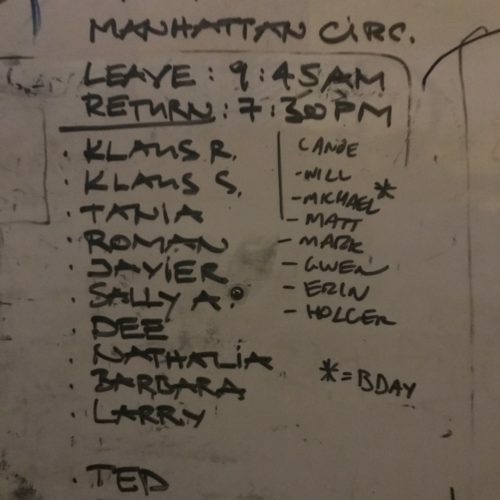 This page shows the most recent trips. 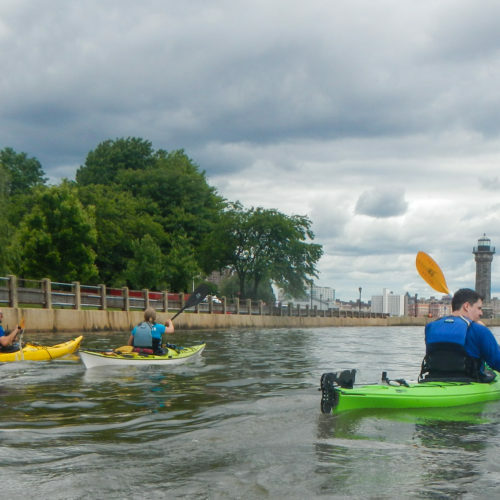 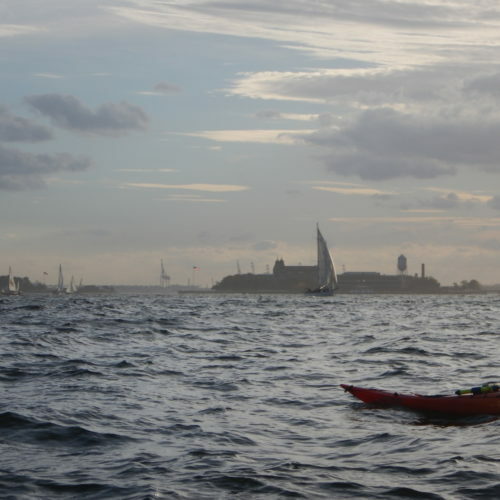 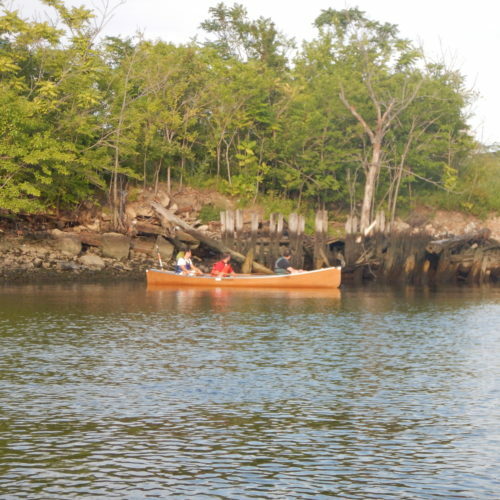 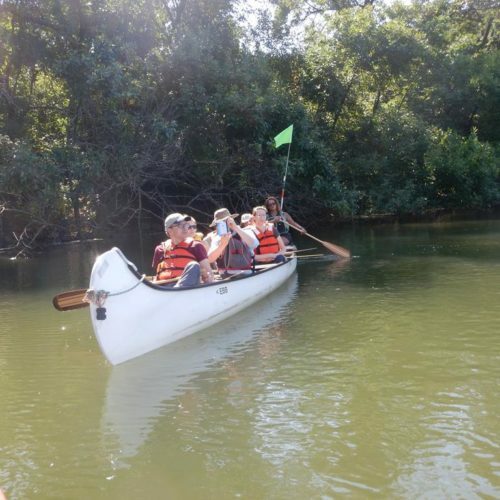 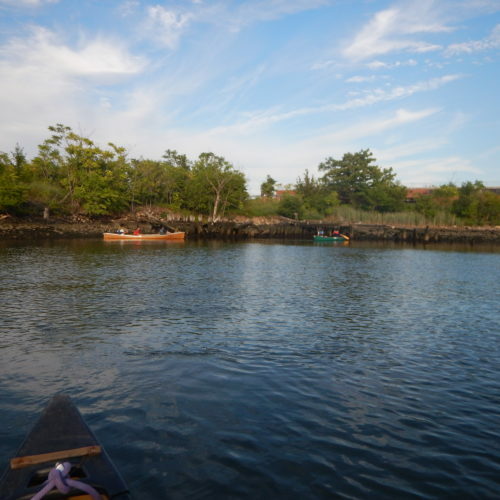 For 2016 trips, use the quick links below or see the 2016 Paddle Gallery page. 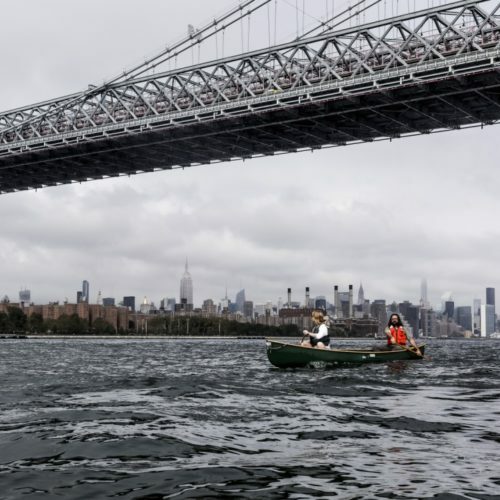 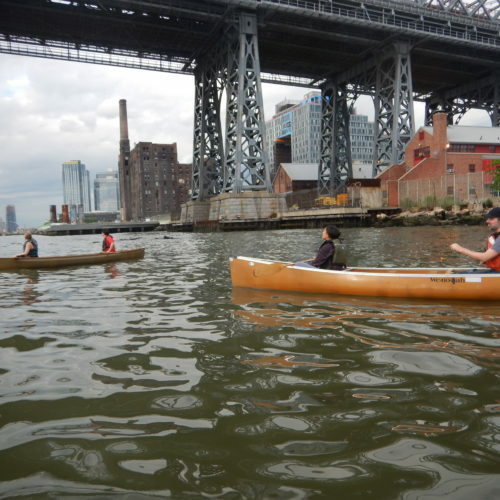 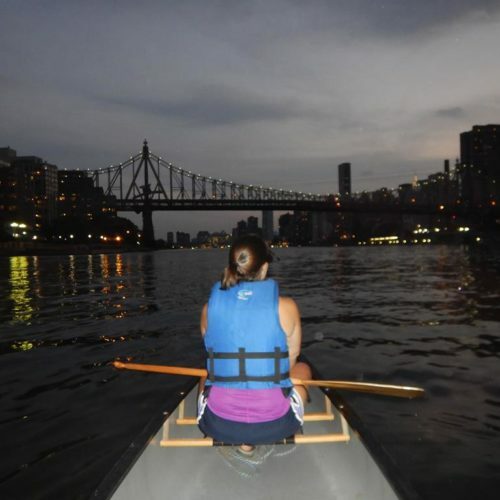 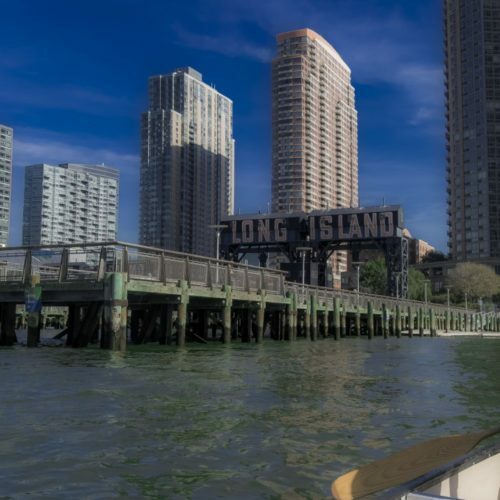 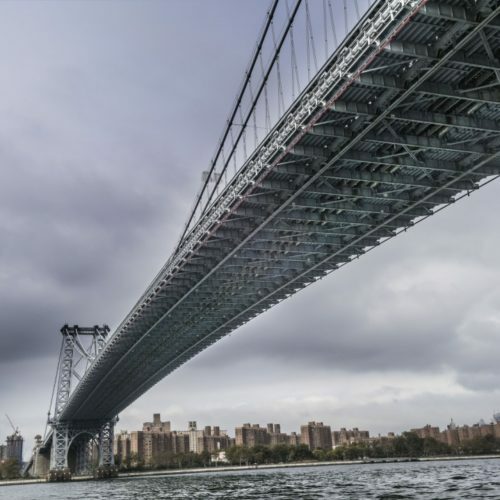 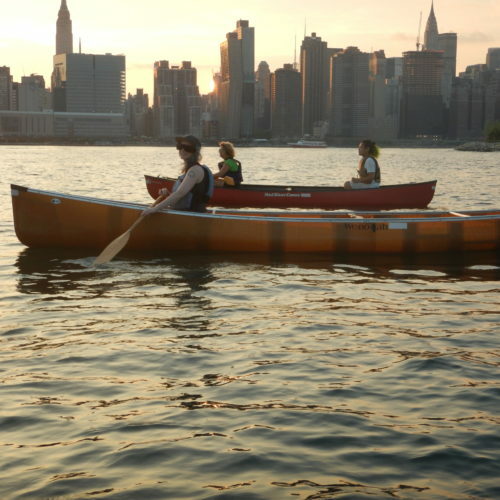 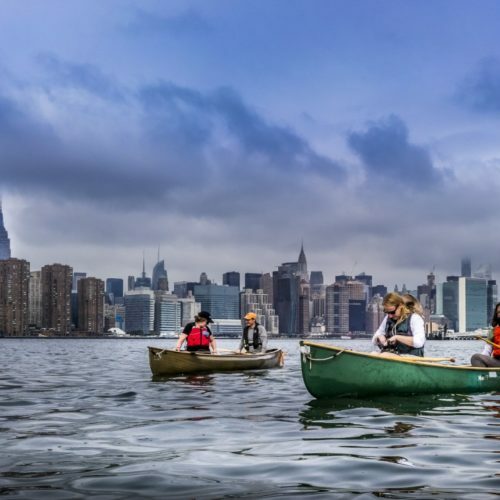 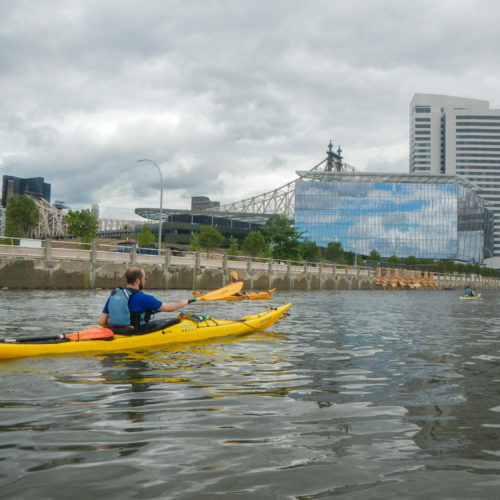 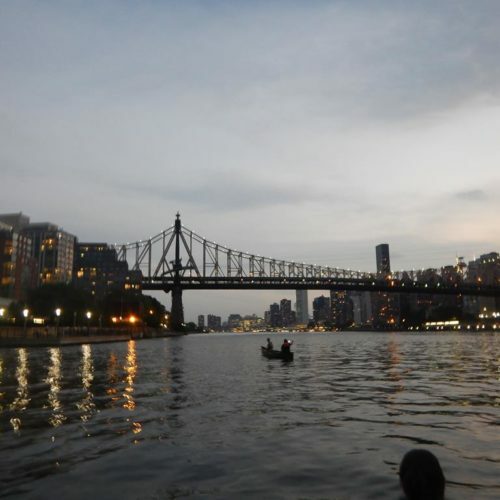 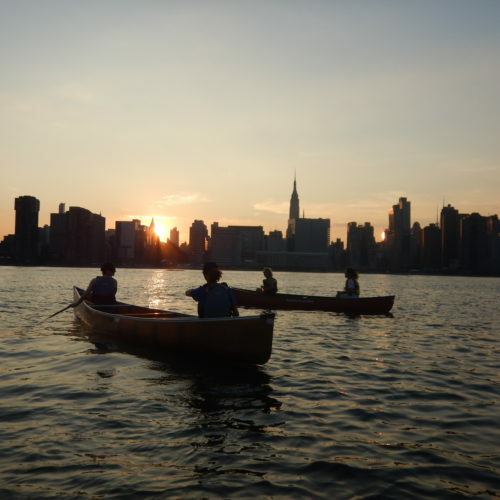 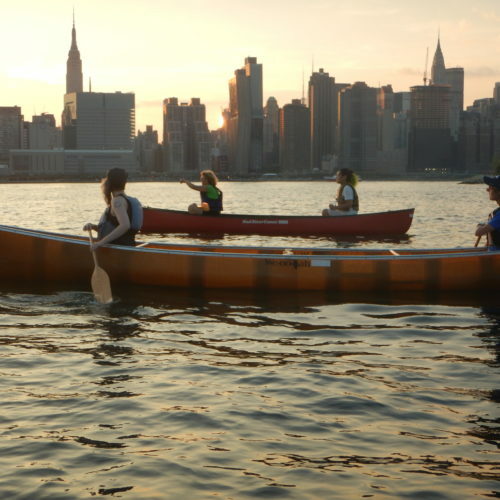 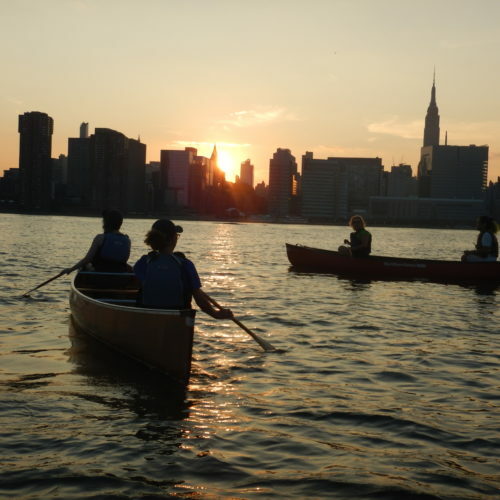 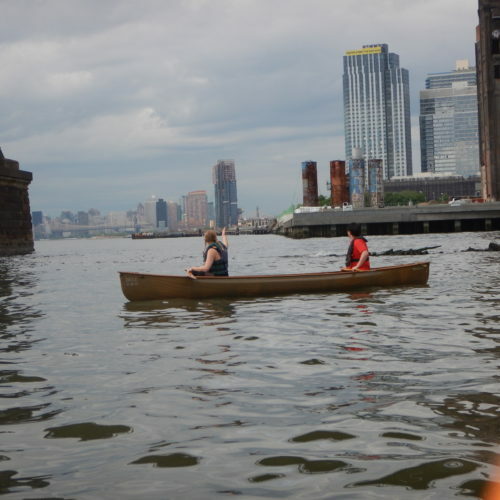 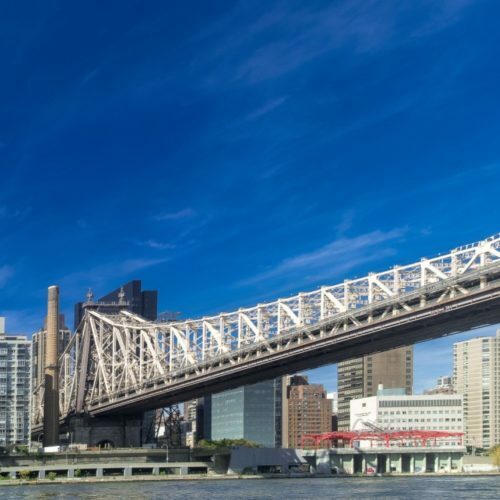 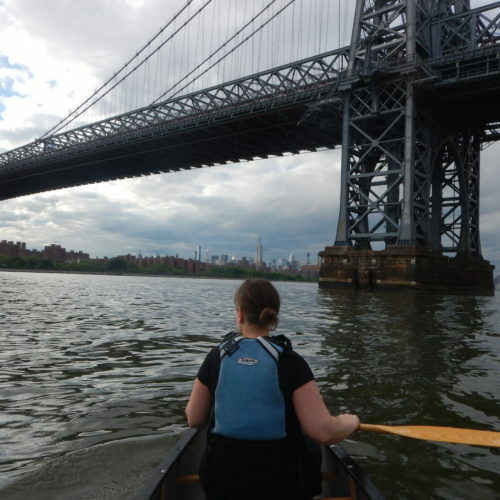 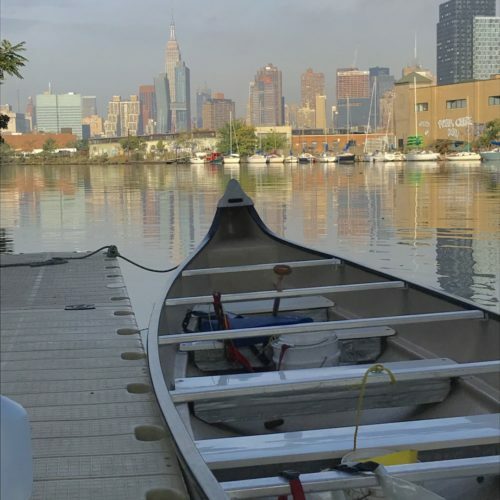 Canoe Manhattan Circ, East River, Roosevelt Island Bridge, September 29, 2018. 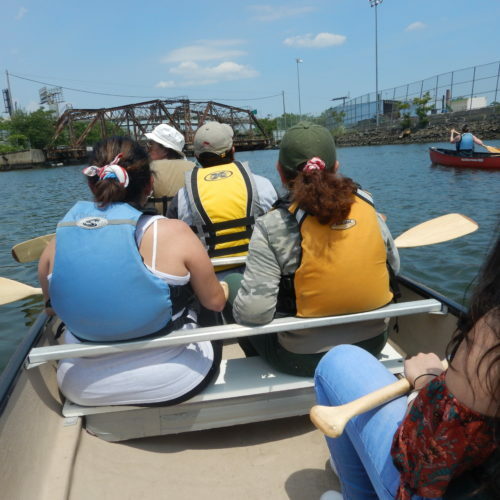 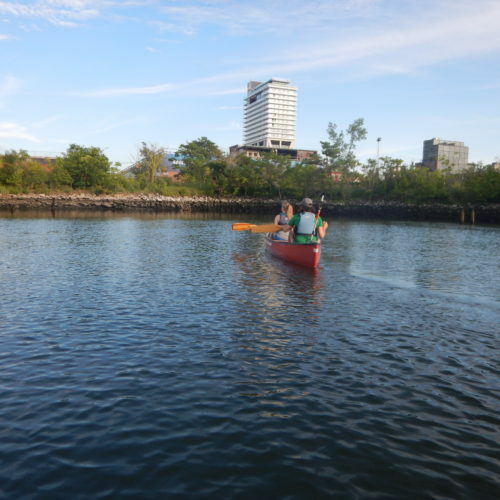 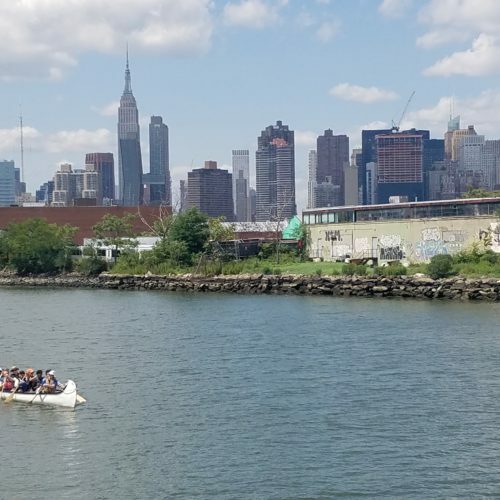 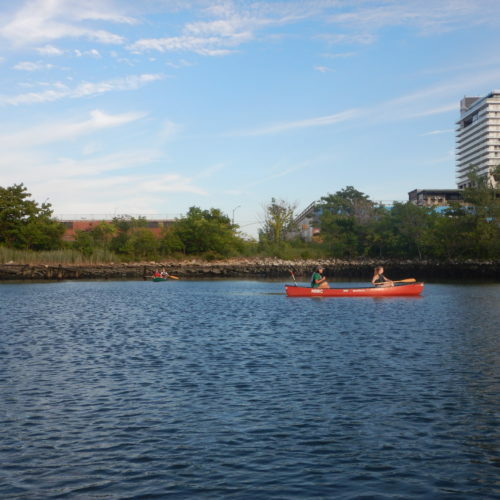 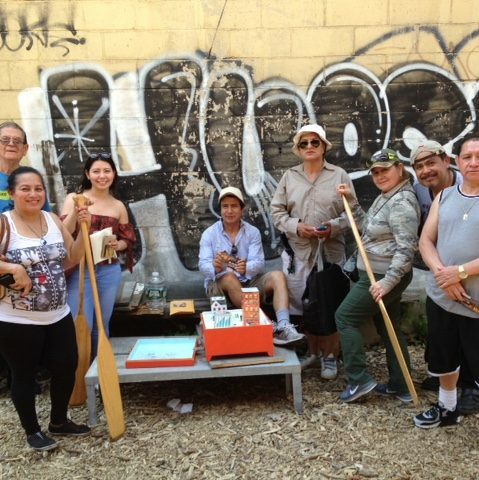 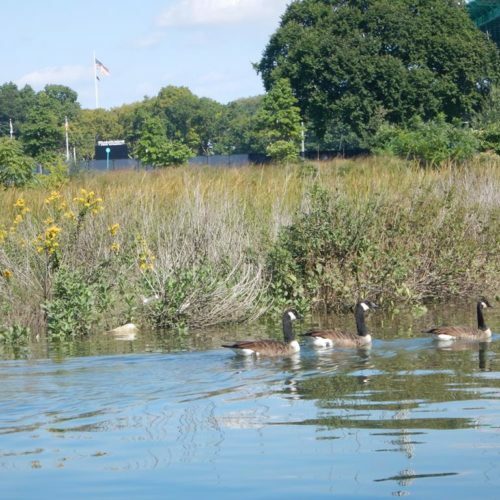 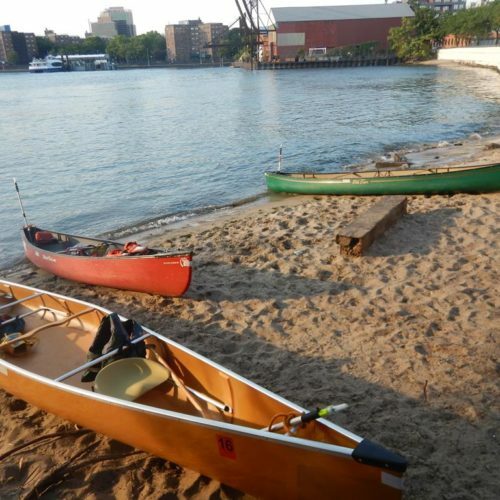 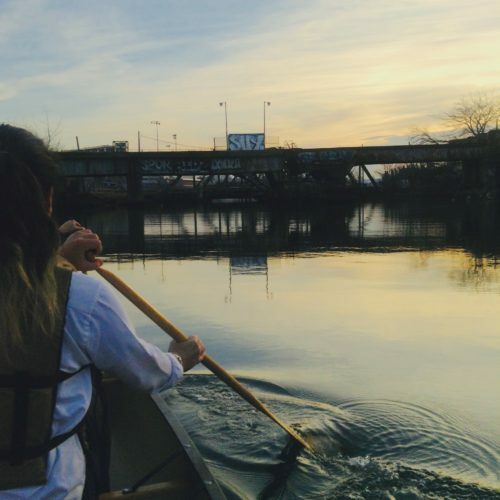 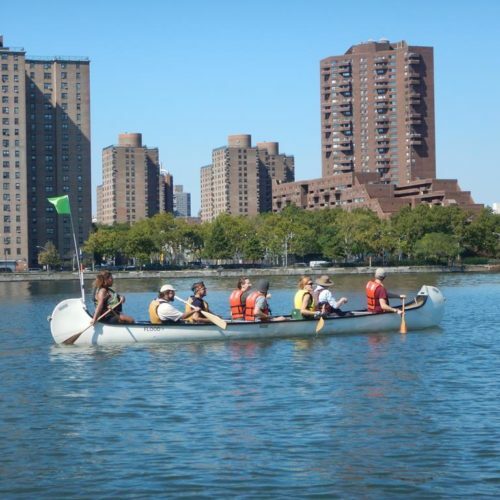 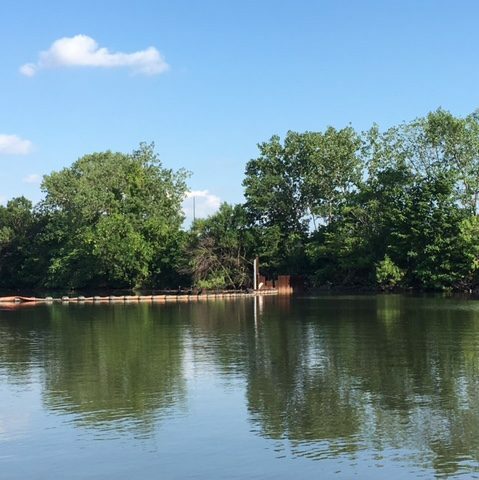 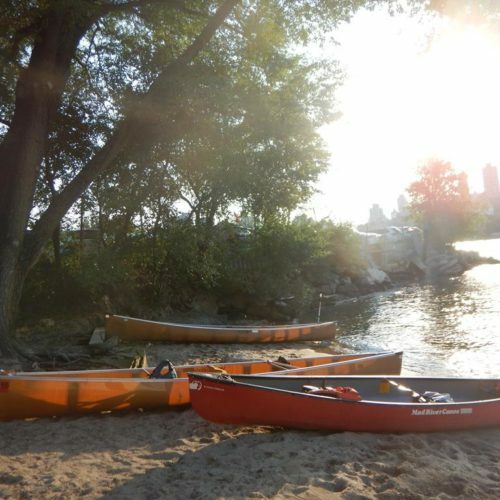 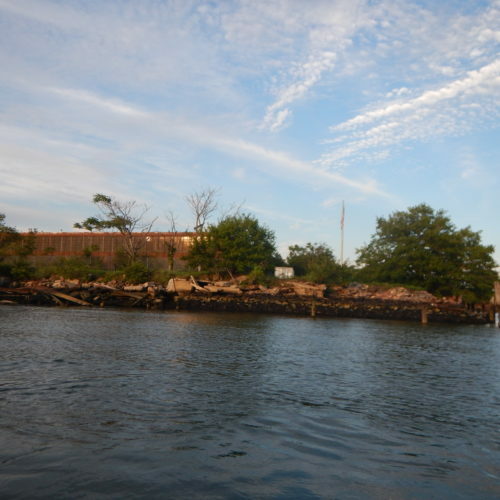 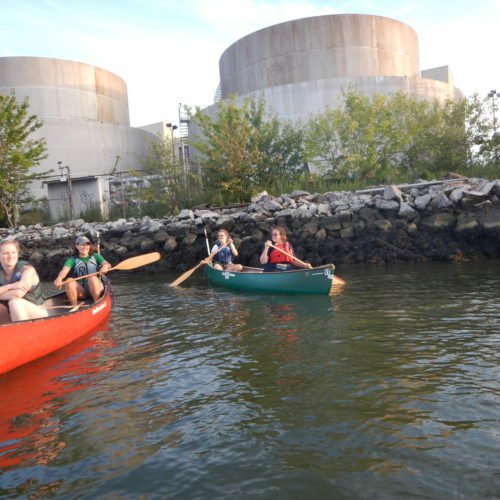 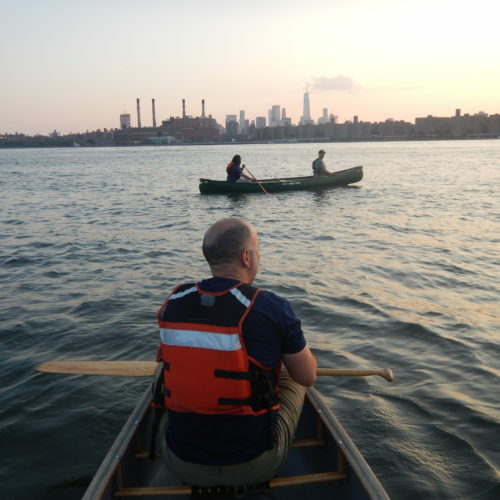 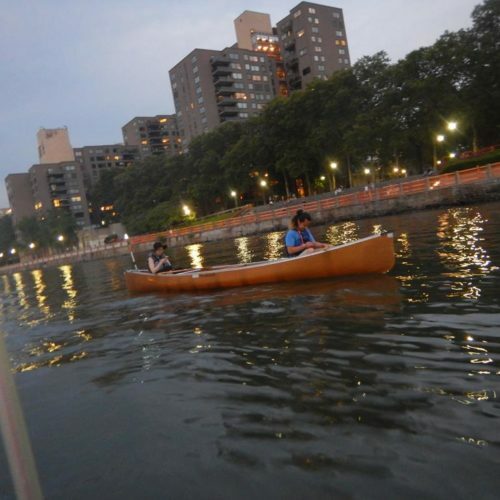 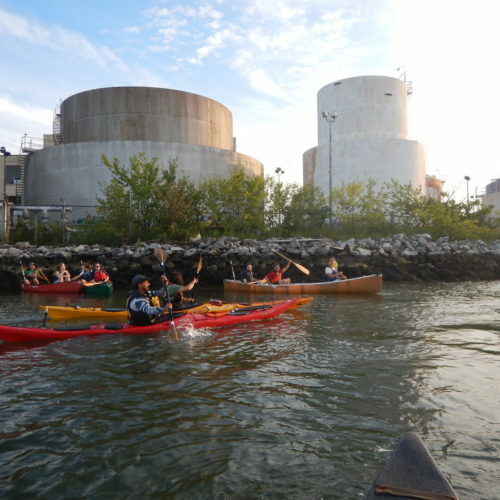 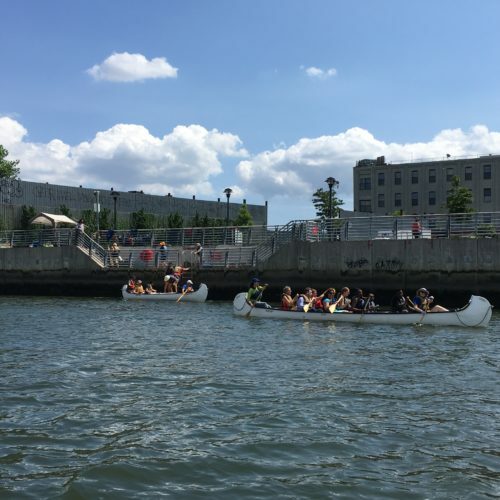 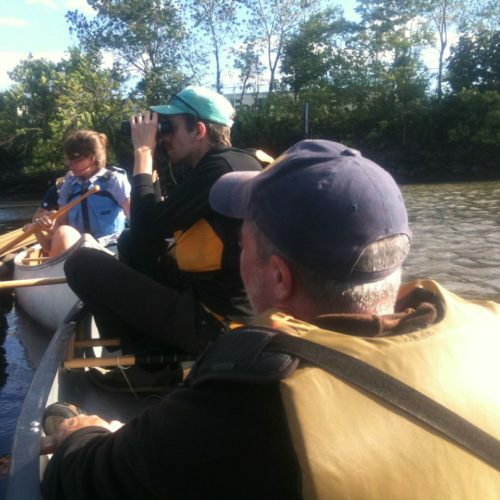 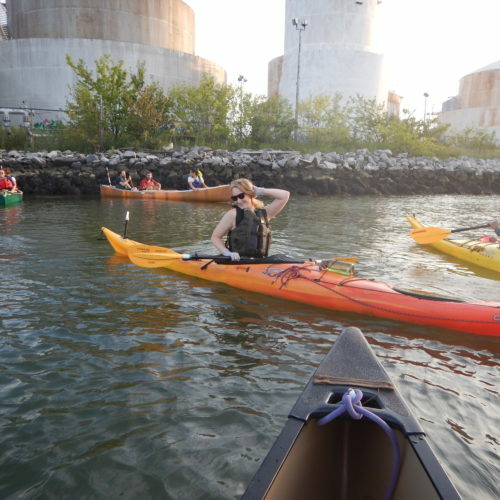 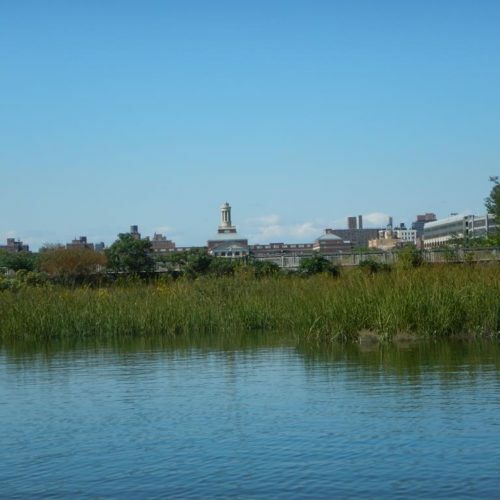 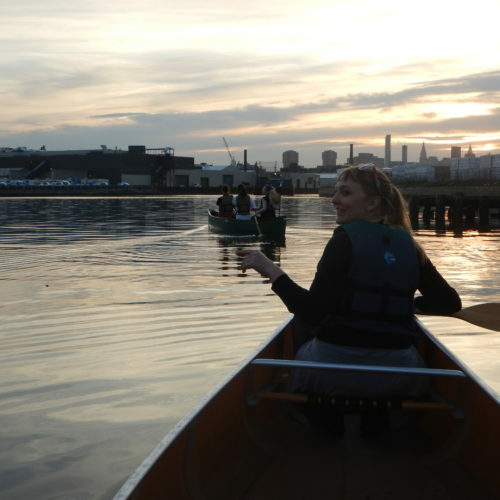 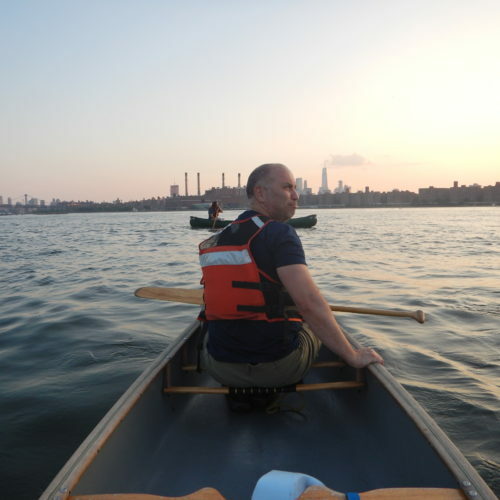 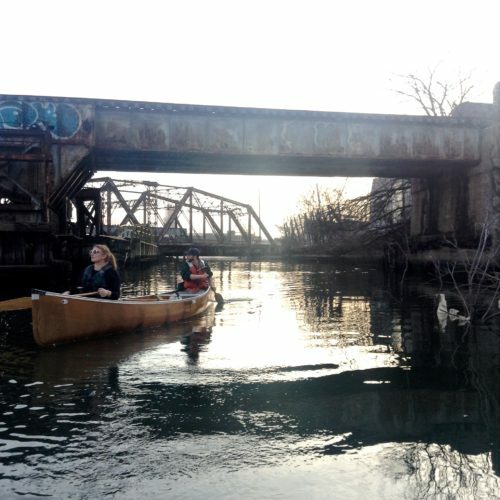 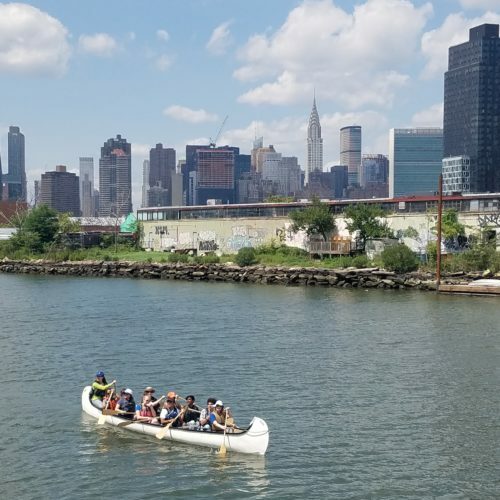 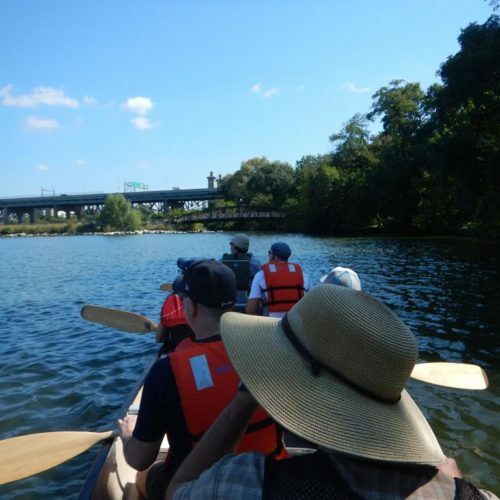 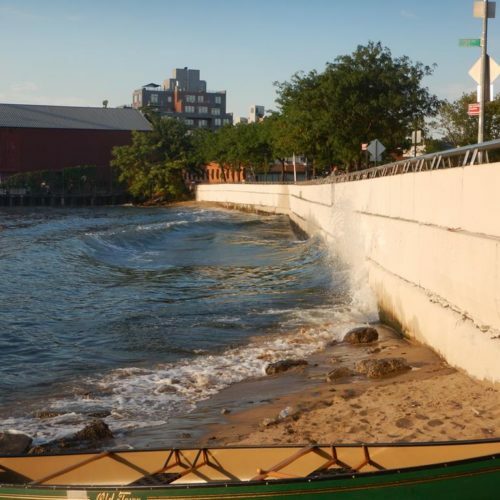 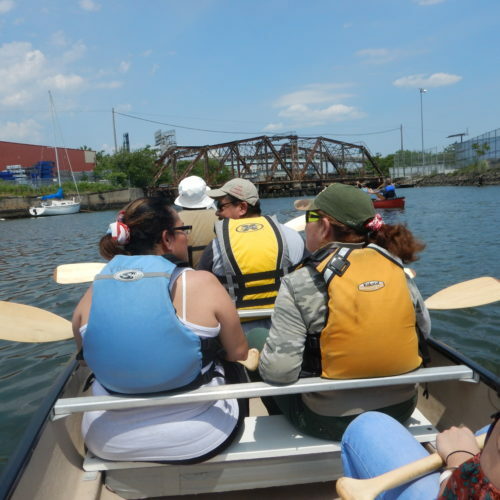 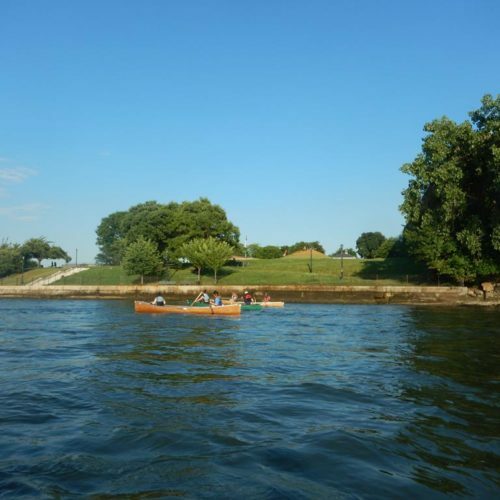 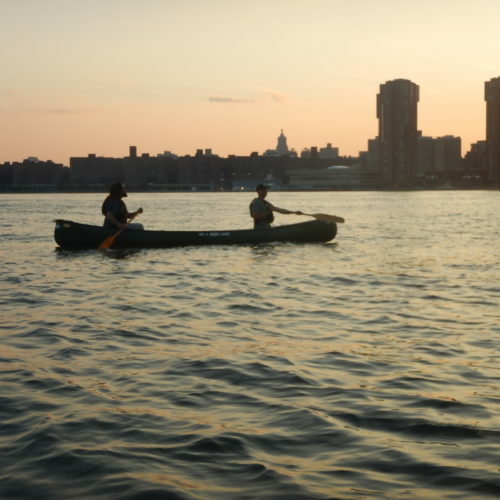 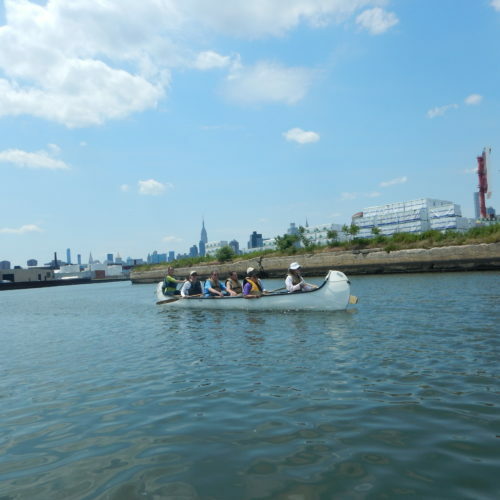 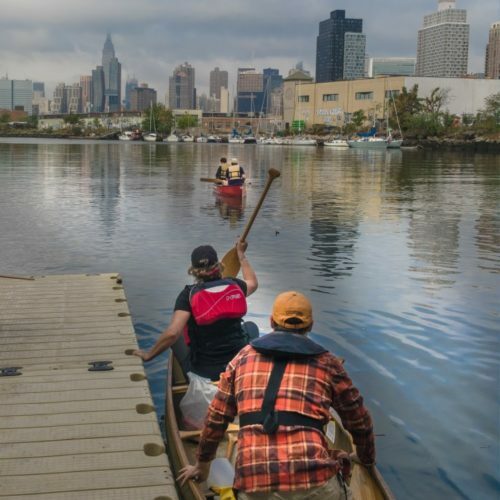 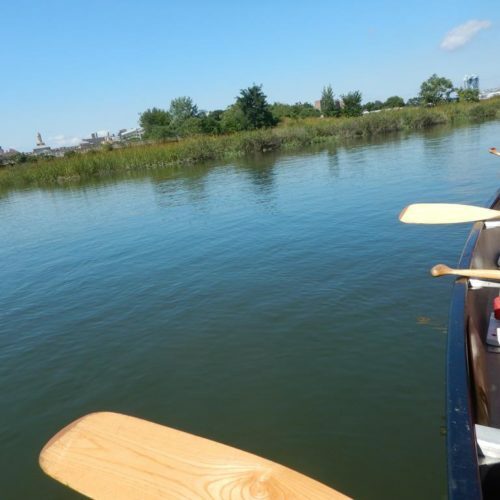 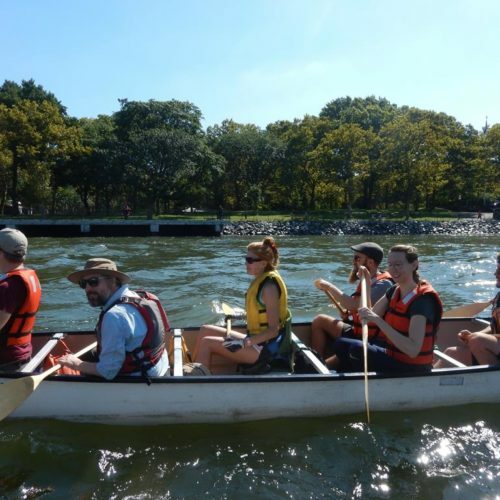 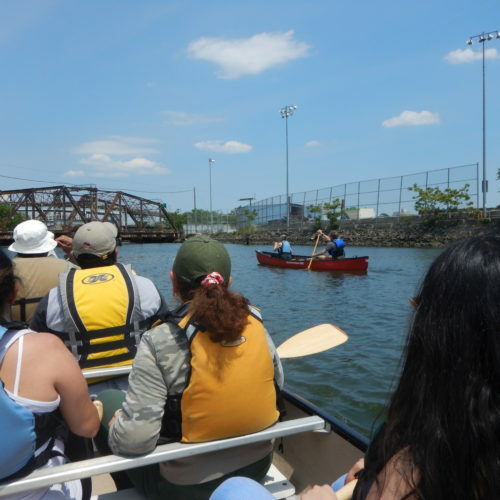 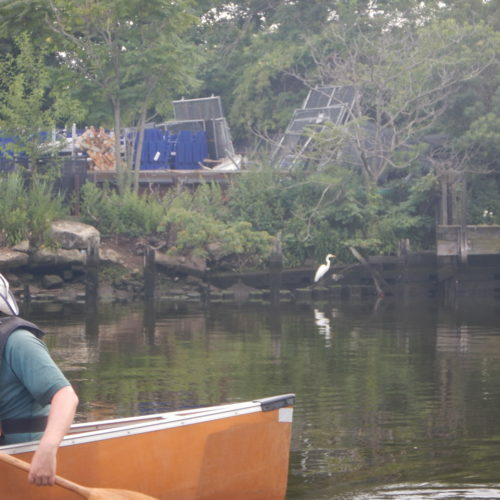 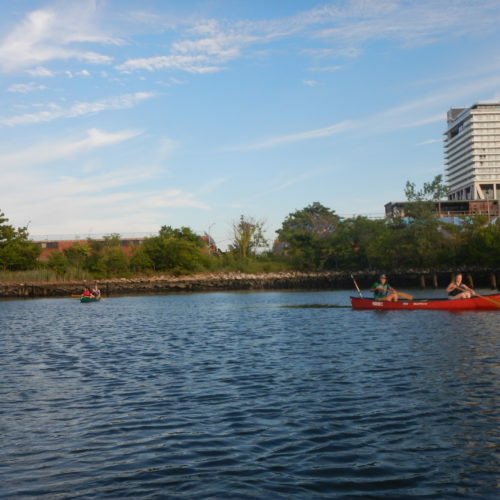 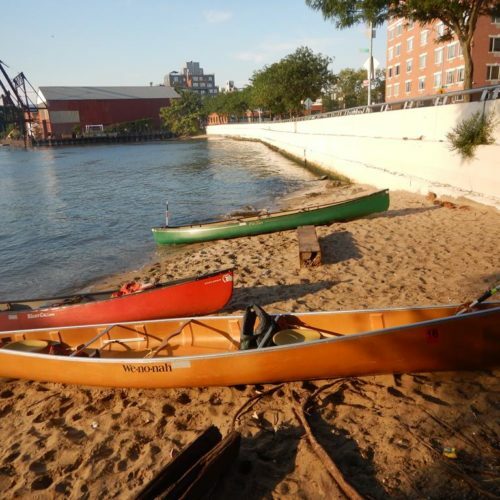 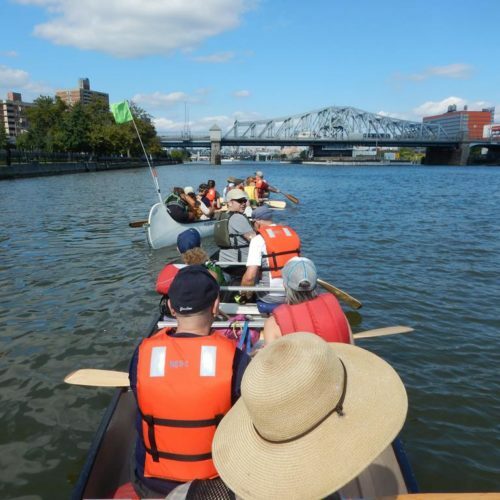 Canoe Manhattan Circ, Harlem River, Randalls Island, September 29, 2018. 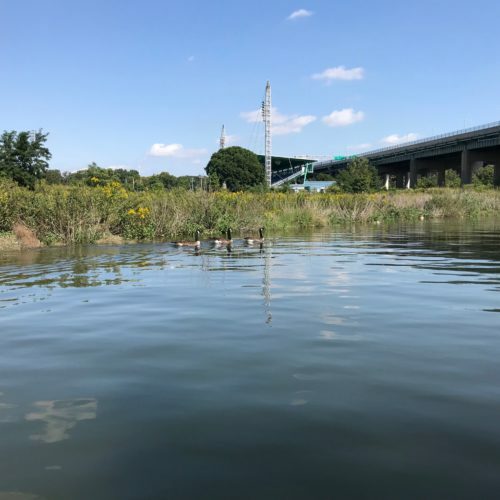 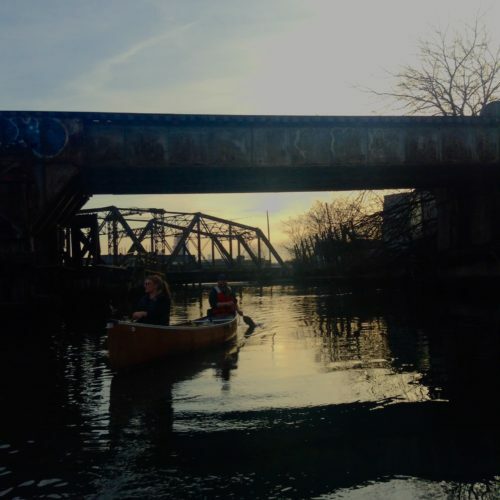 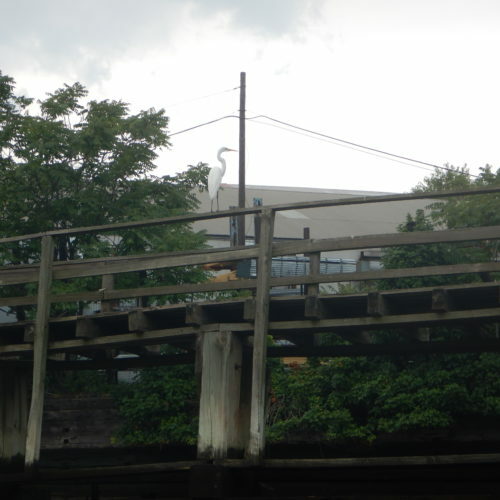 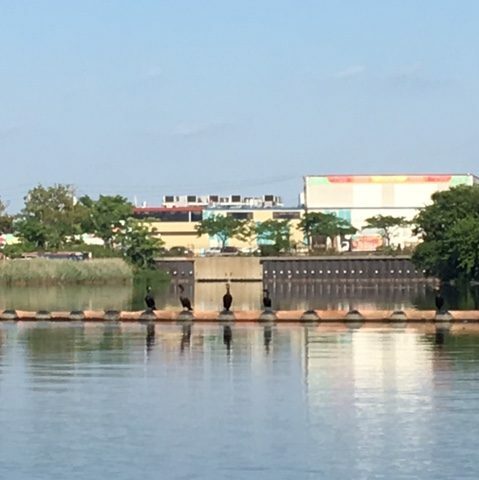 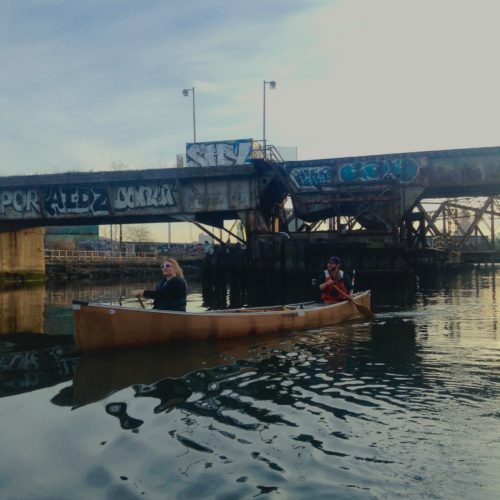 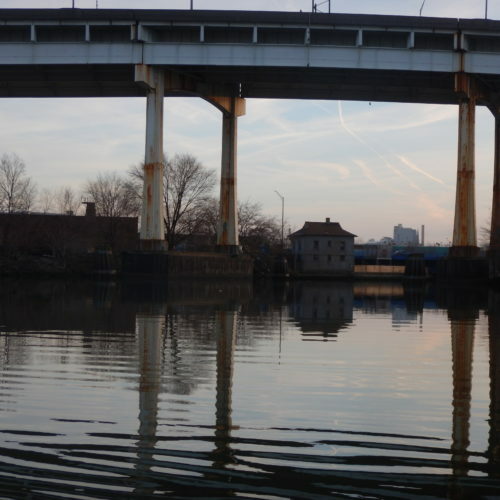 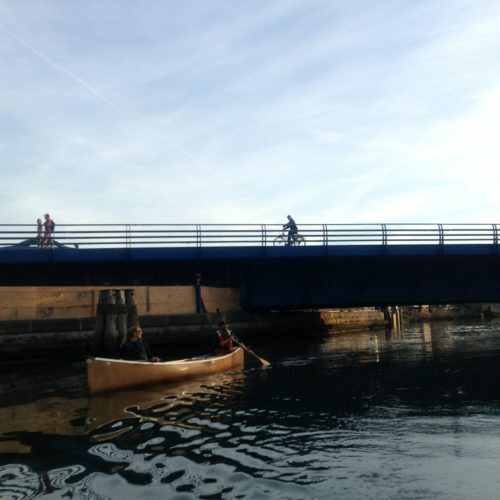 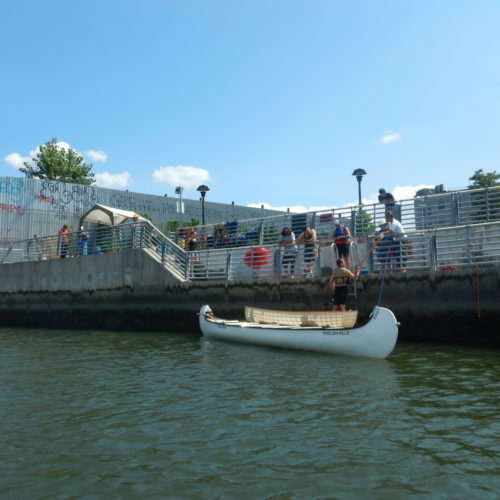 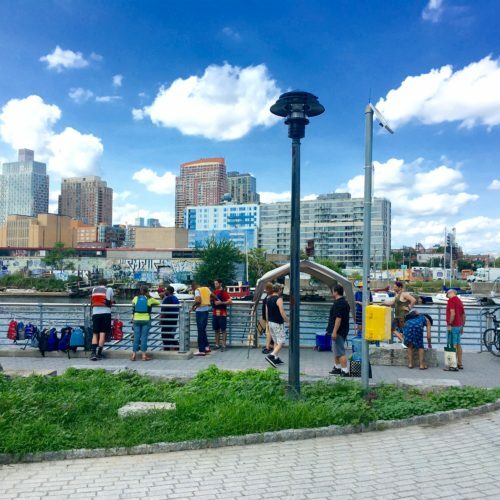 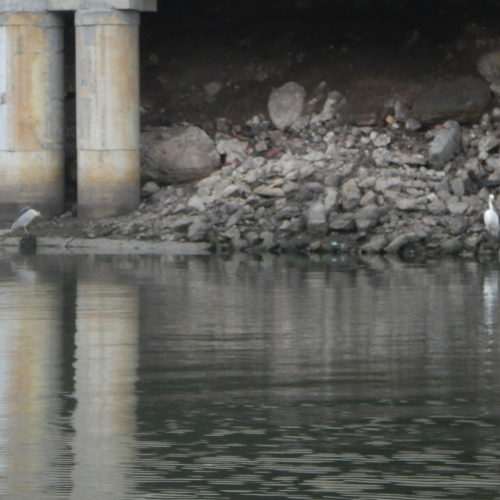 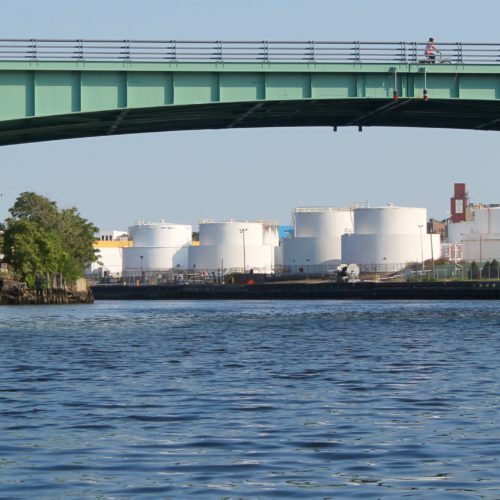 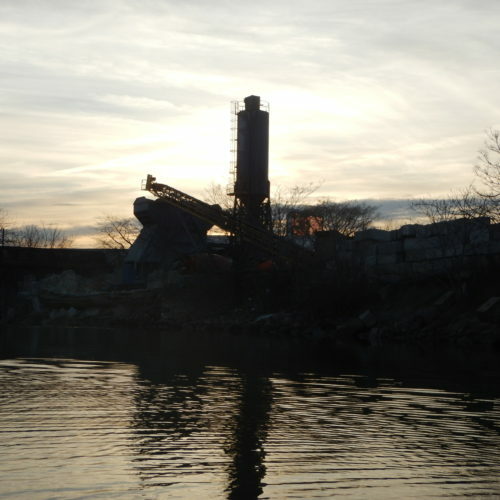 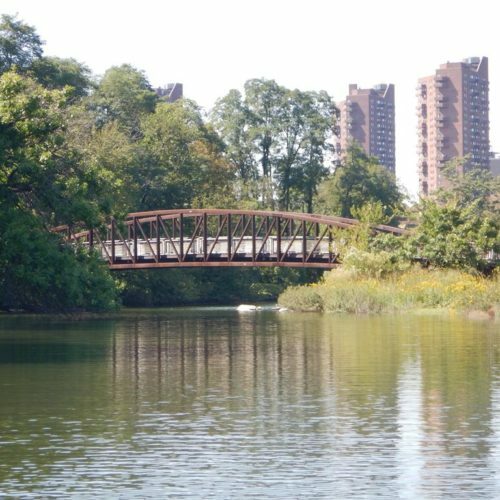 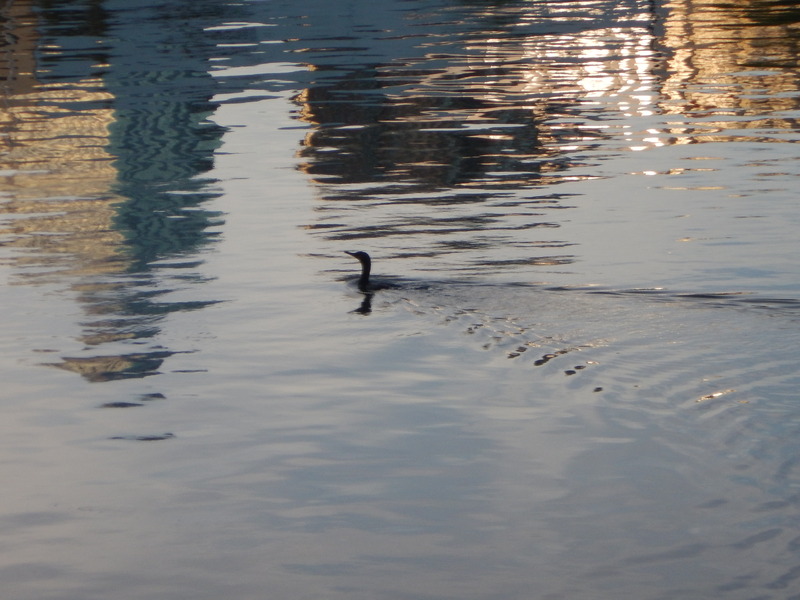 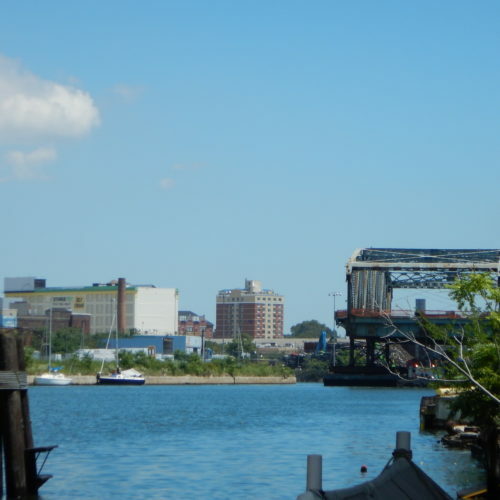 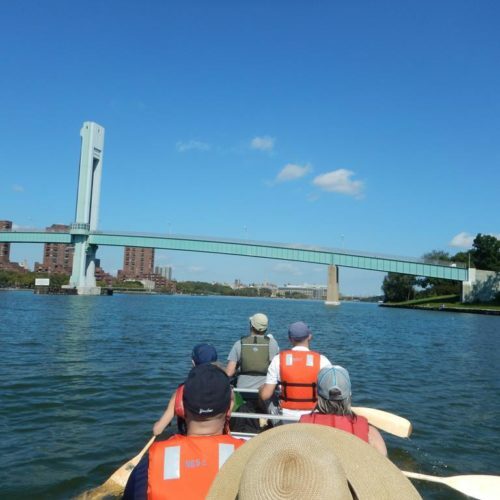 Canoe Manhattan Circ, Harlem River, Randall Island Footbridge, September 29, 2018. 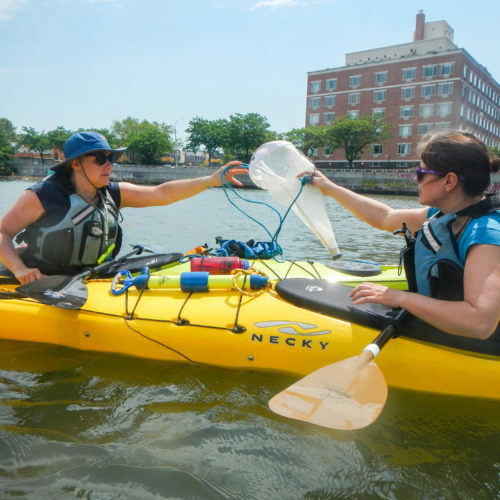 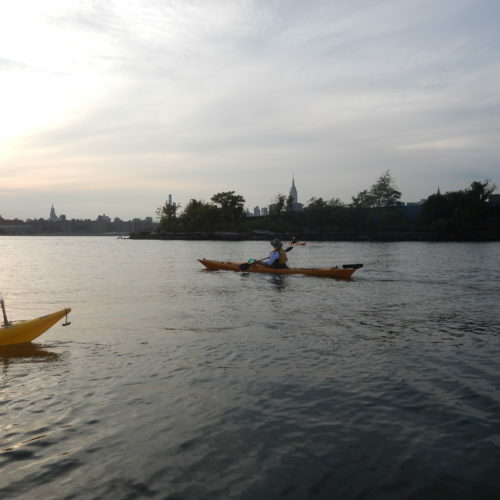 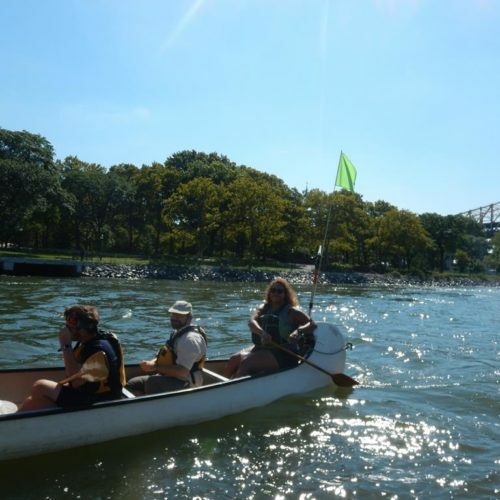 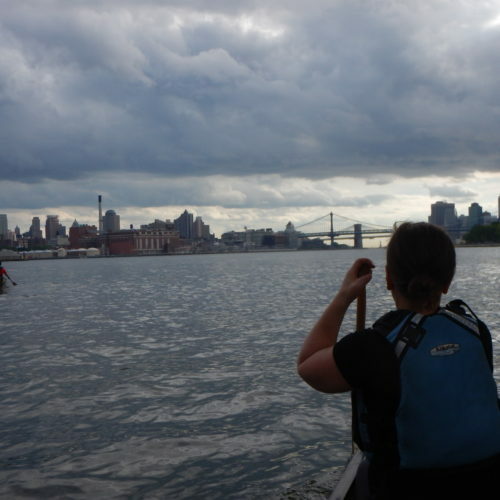 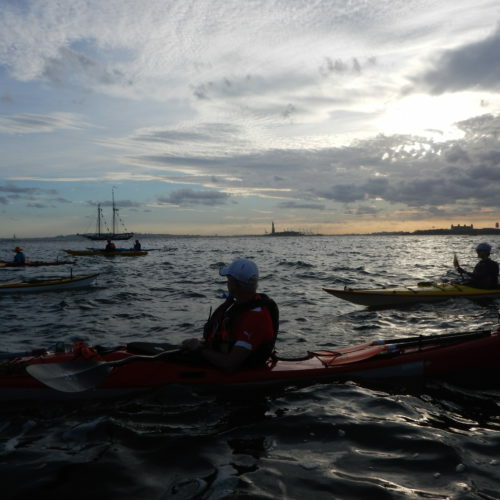 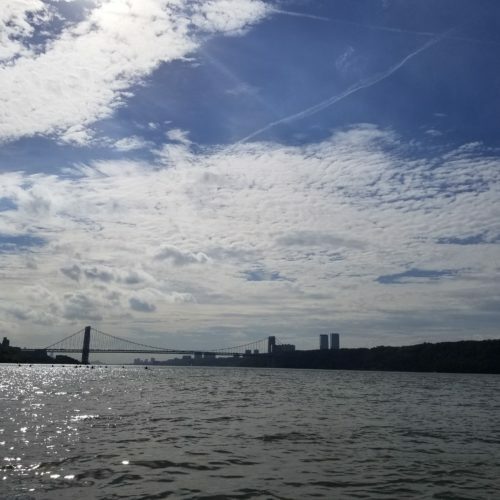 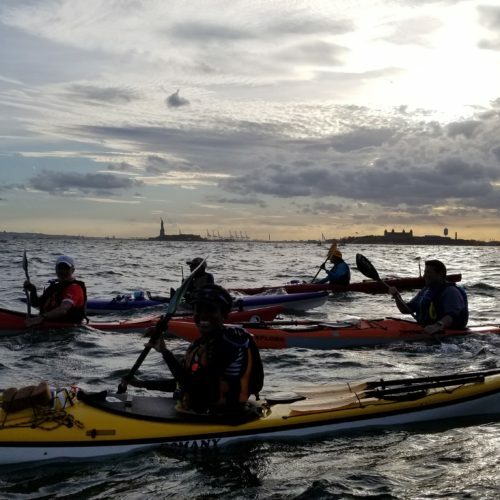 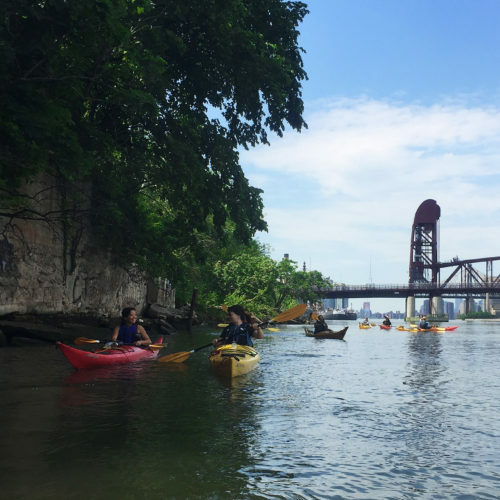 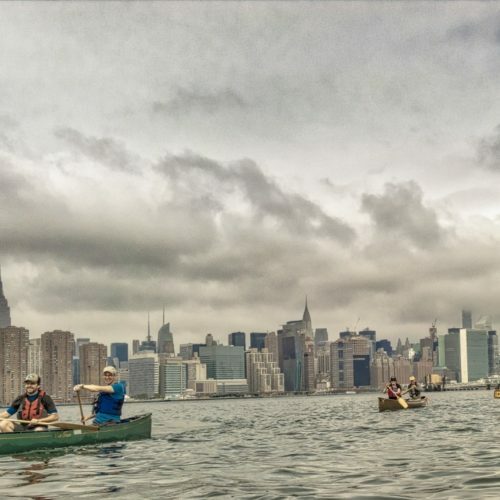 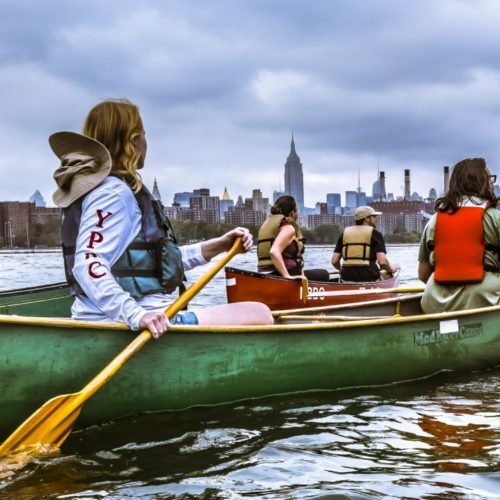 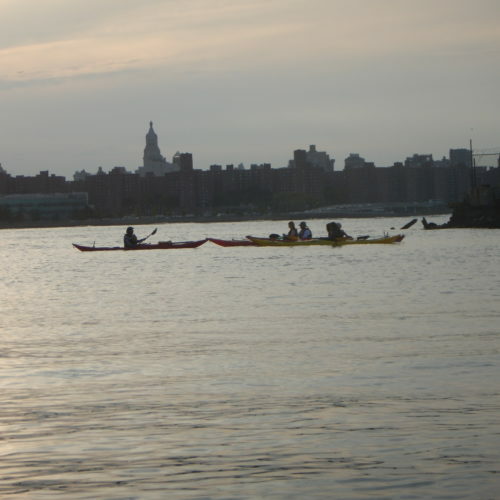 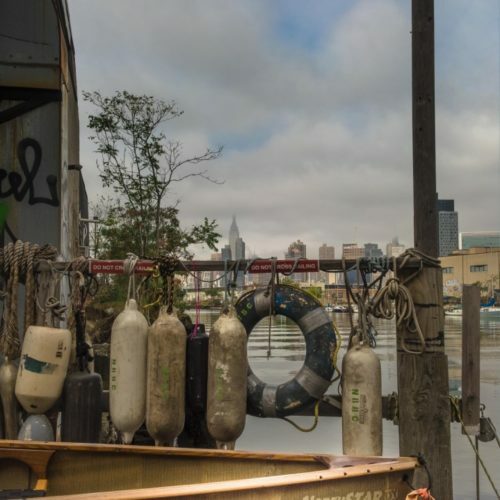 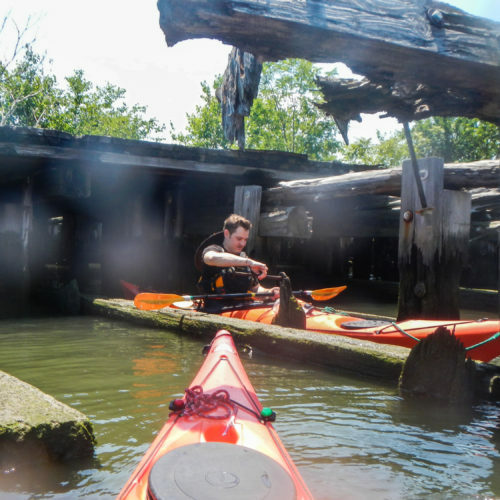 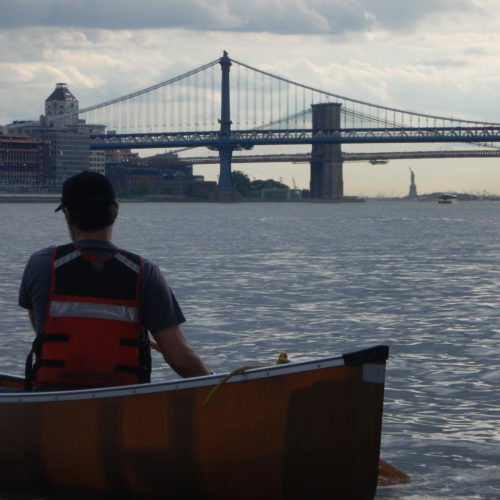 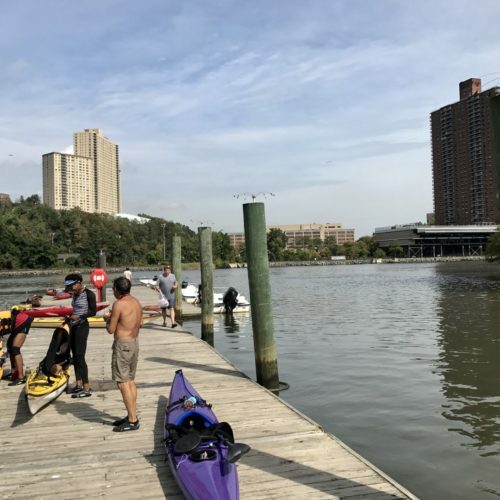 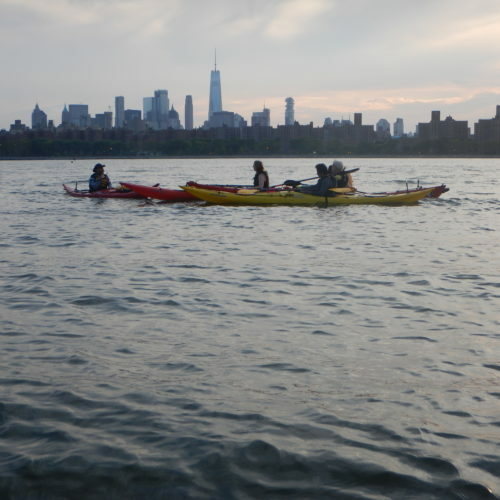 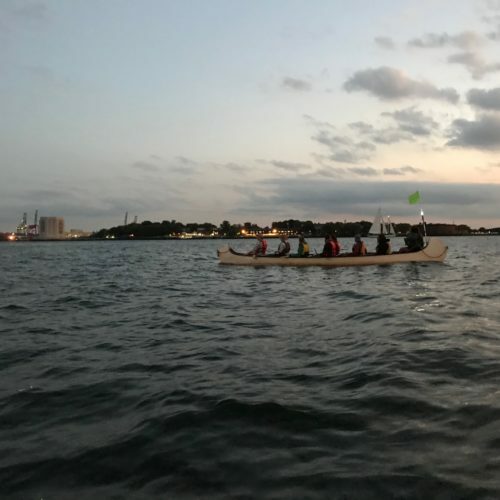 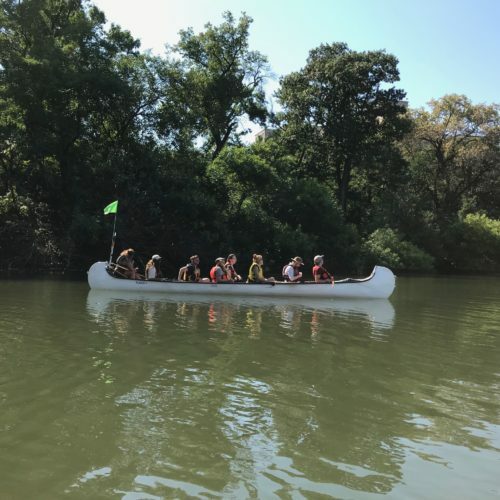 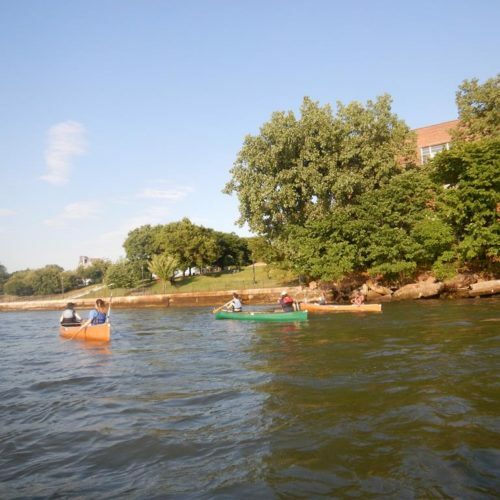 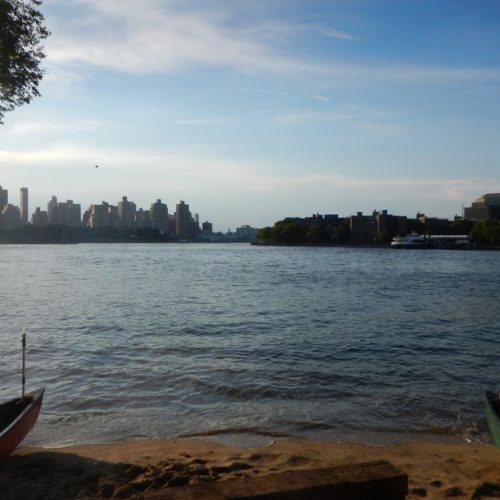 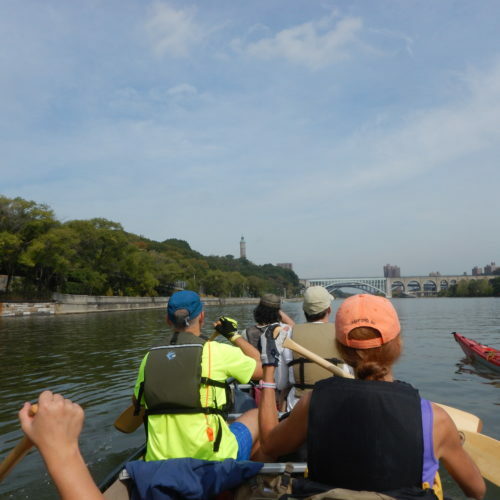 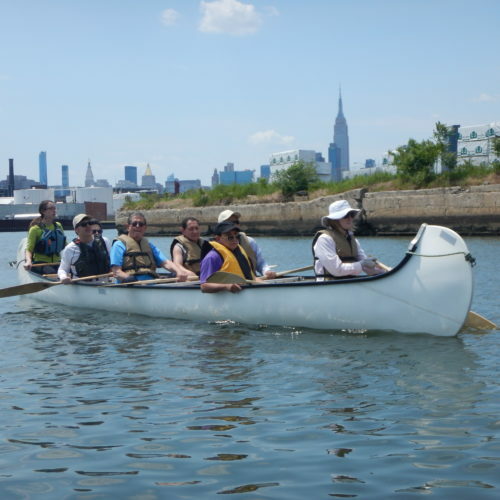 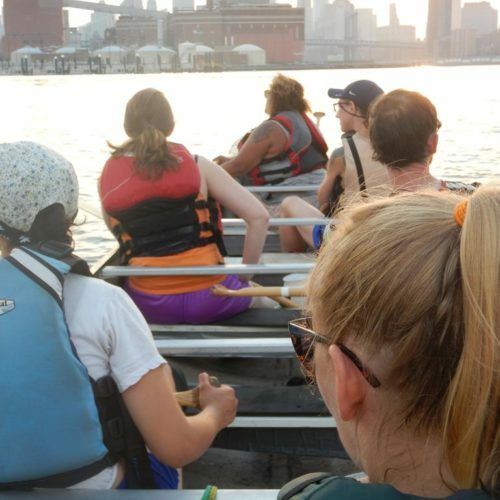 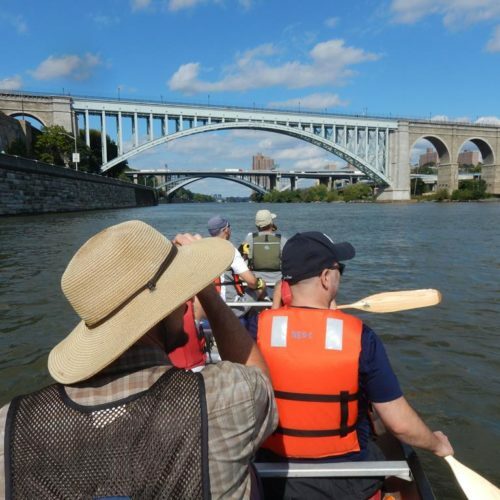 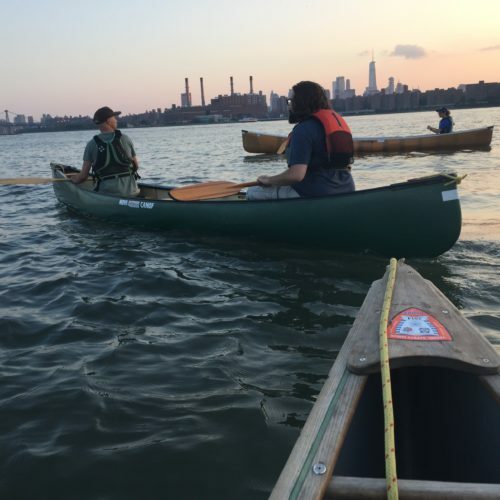 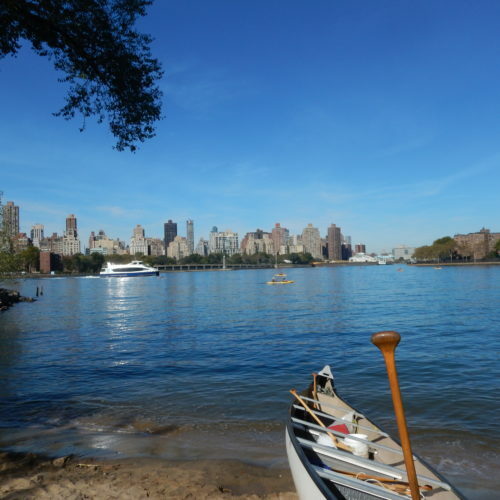 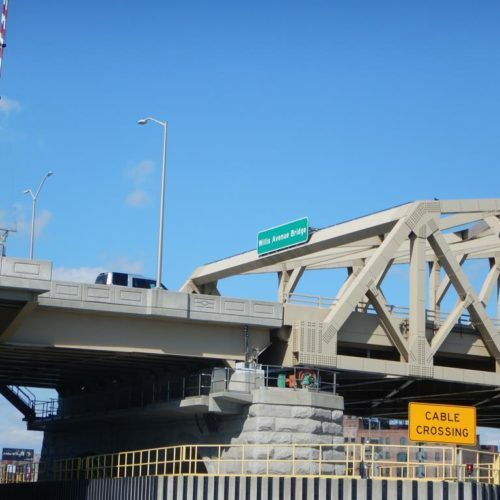 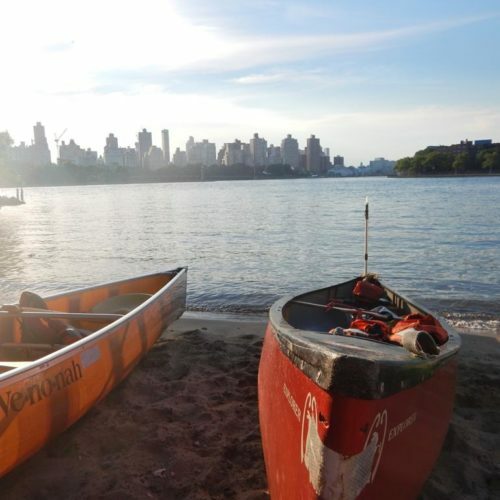 Canoe Manhattan Circ, Hell Gate, September 29, 2018. 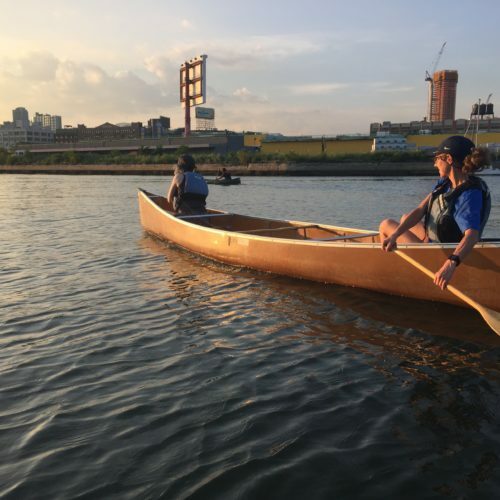 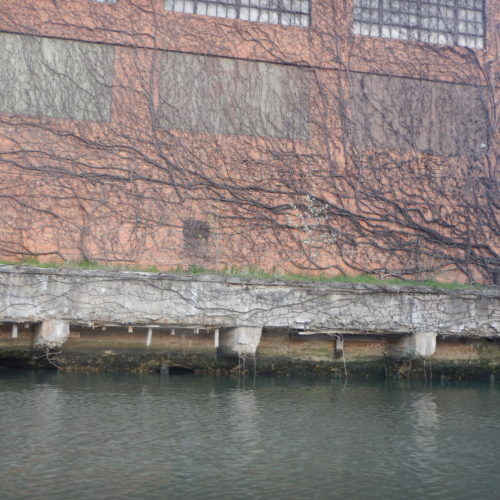 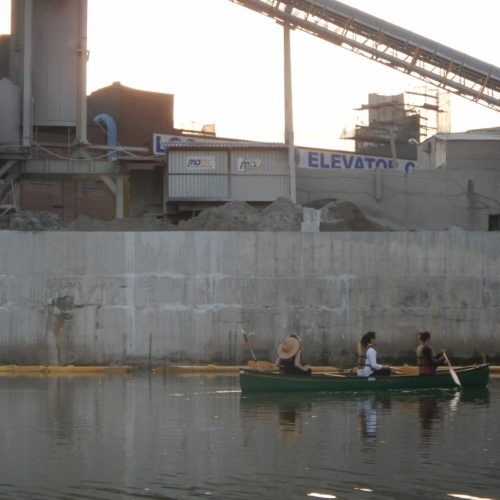 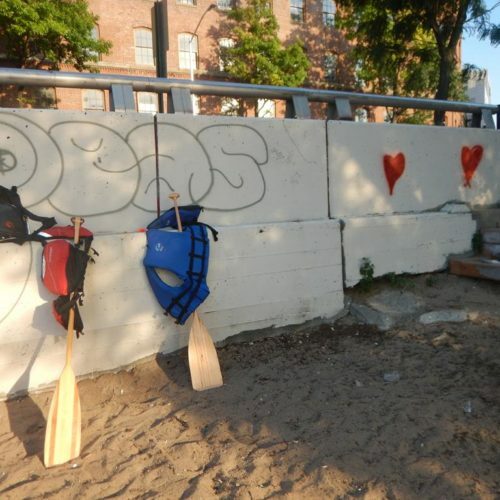 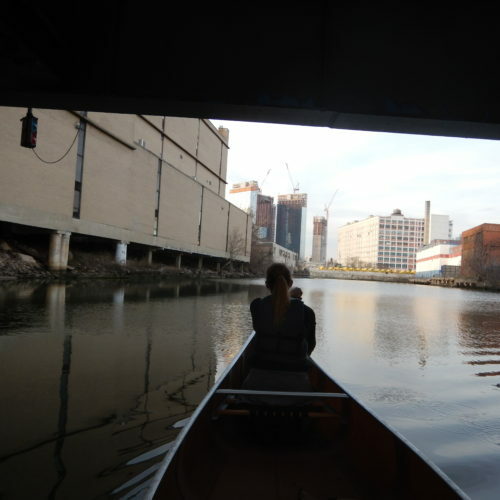 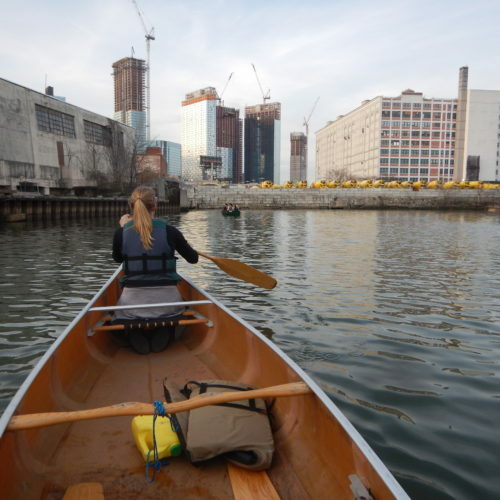 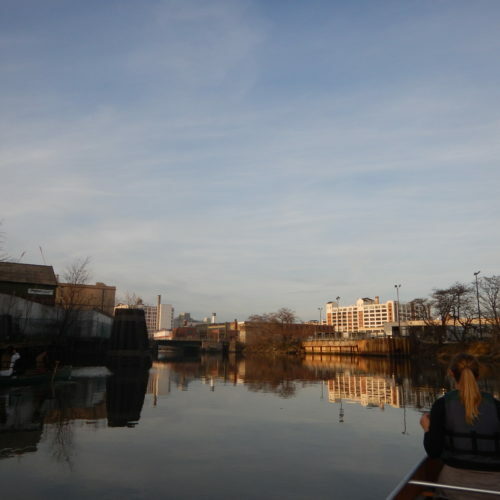 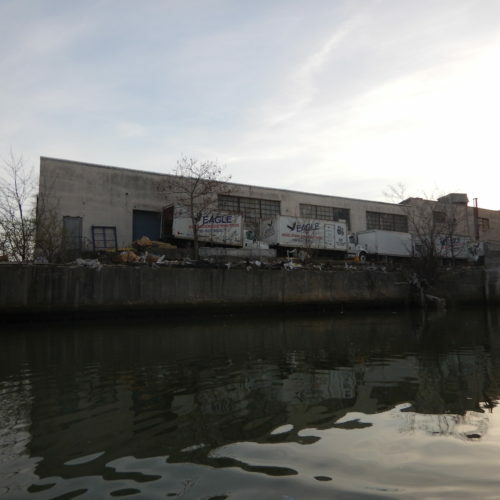 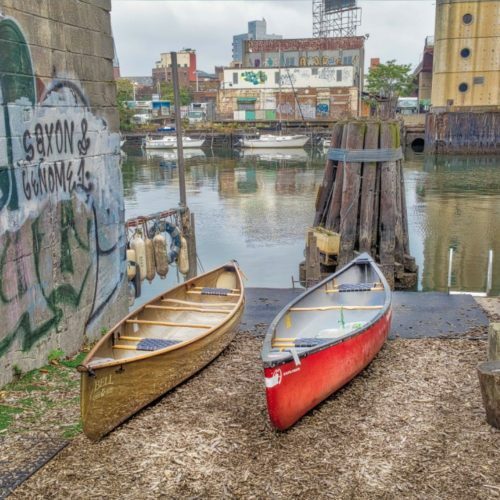 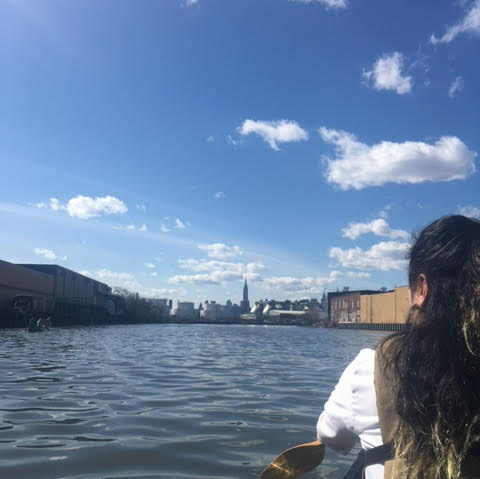 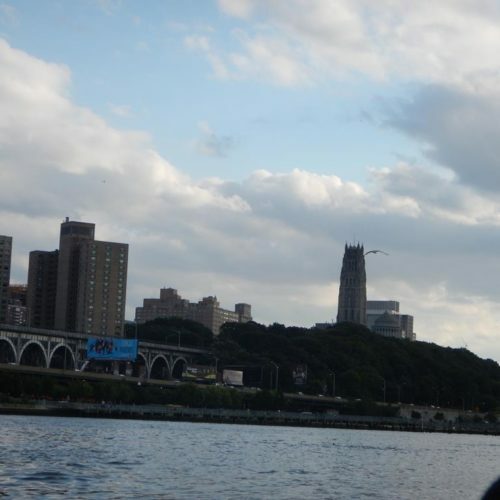 Canoe Manhattan Circ, Harlem River, September 29, 2018. 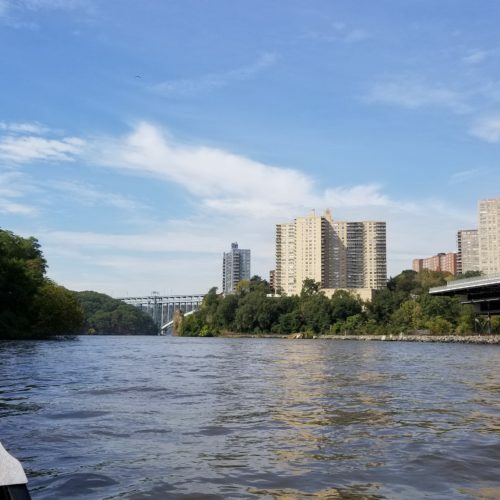 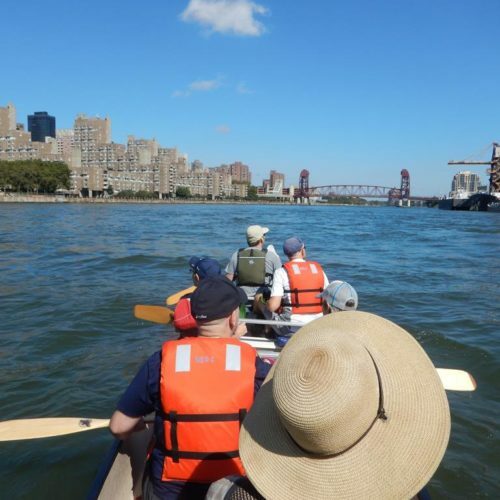 Canoe Manhattan Circ, Harlem River, Little Hell Gate, September 29, 2018. 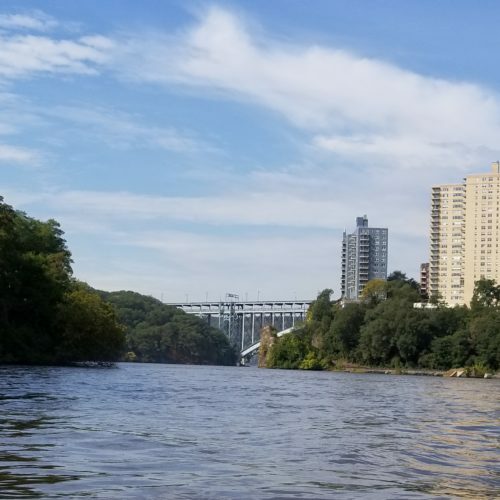 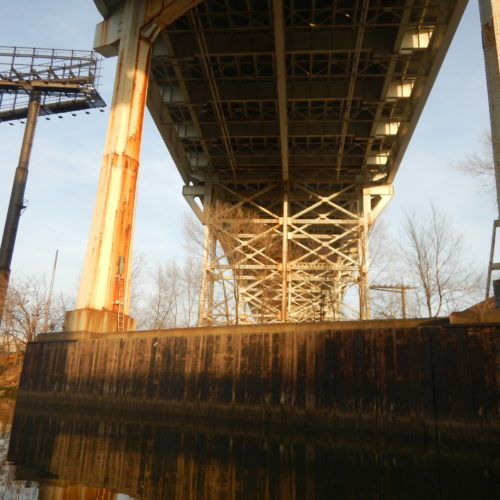 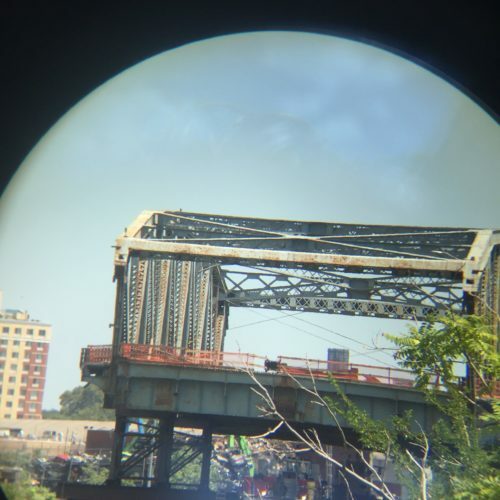 Canoe Manhattan Circ, Harlem River, Little Hell Gate Footbridge, September 29, 2018. 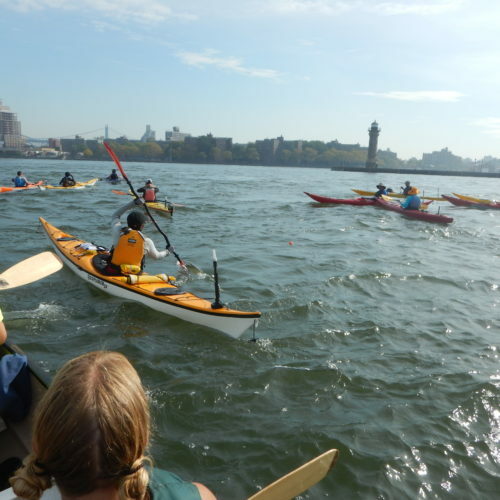 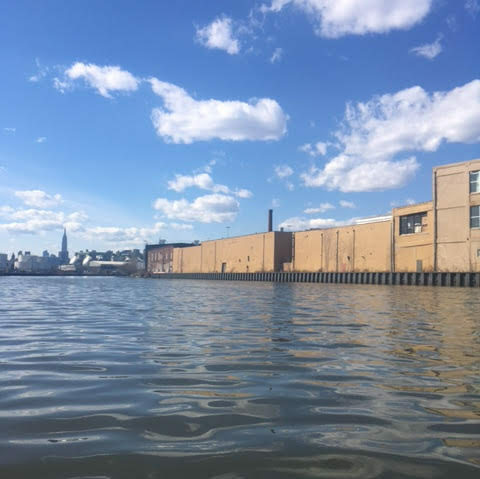 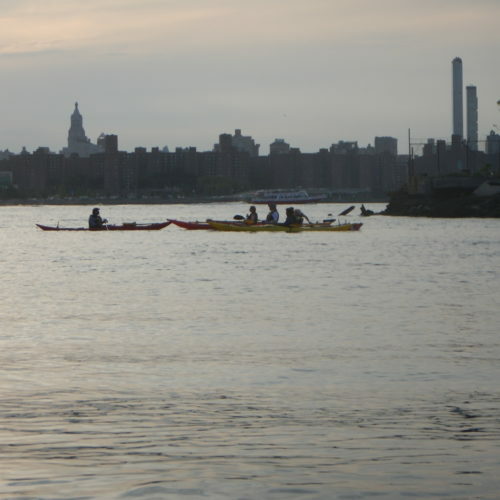 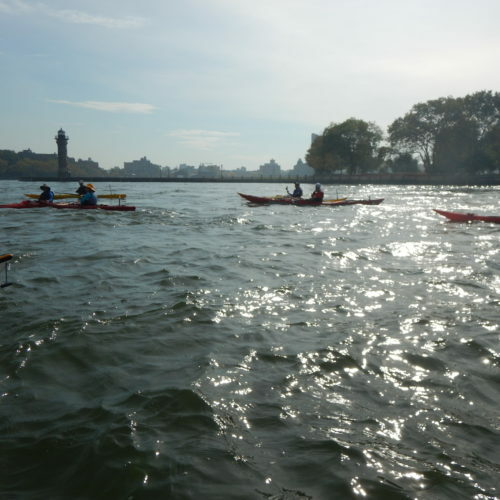 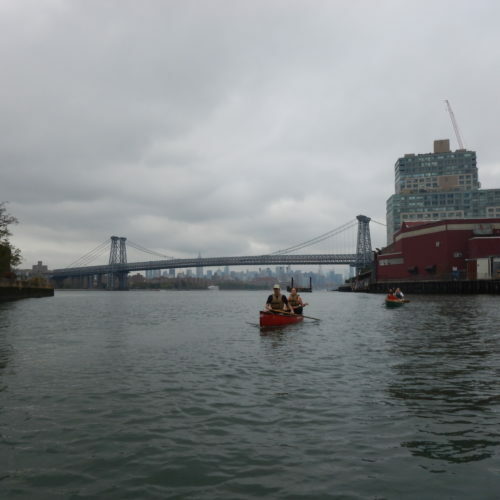 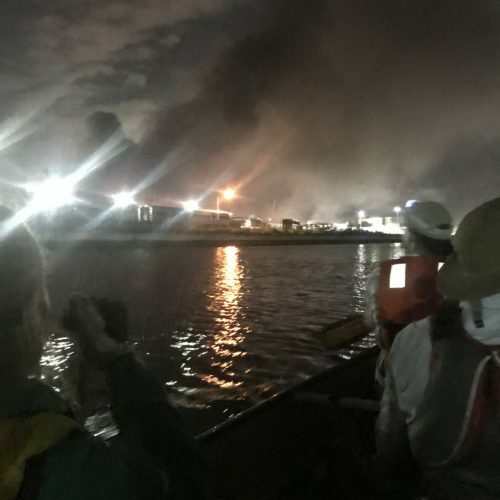 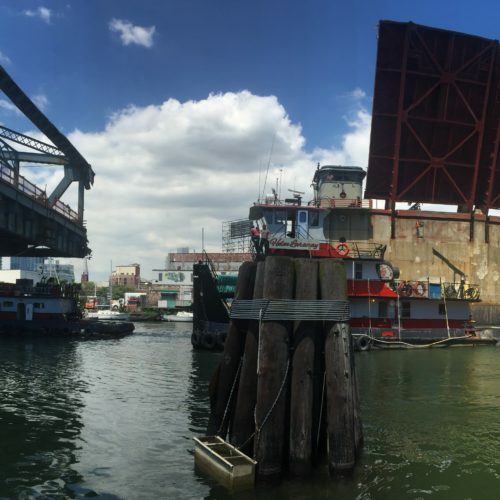 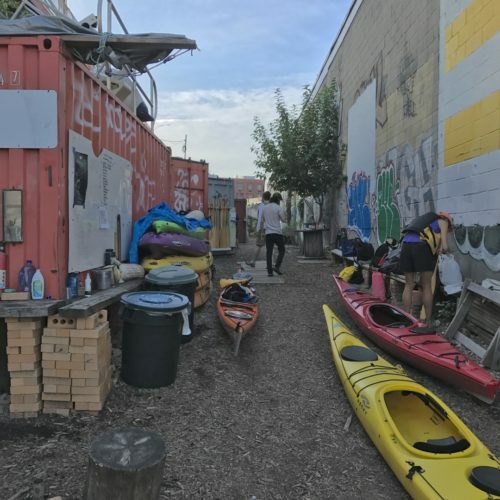 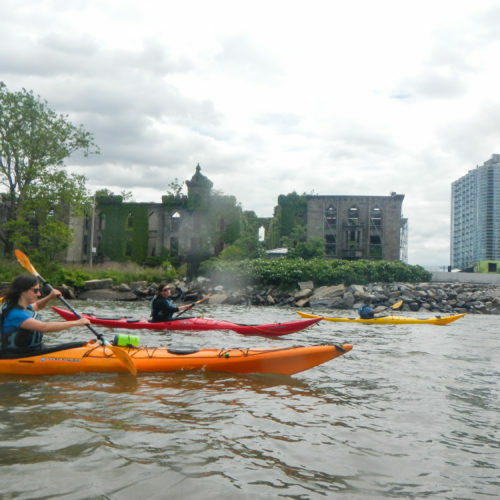 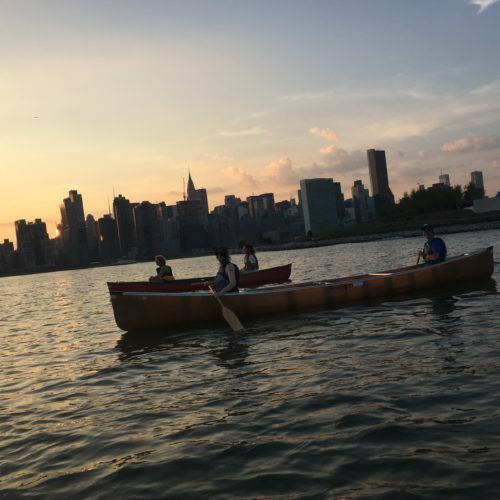 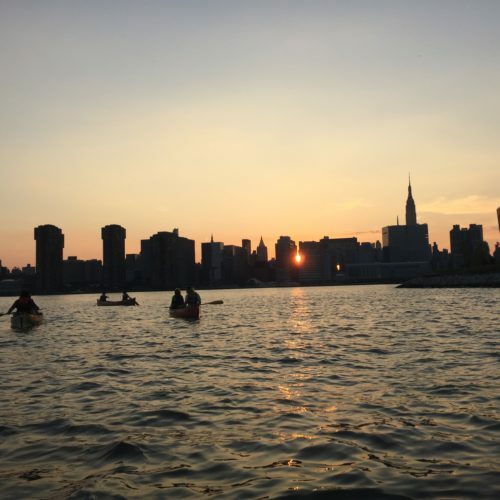 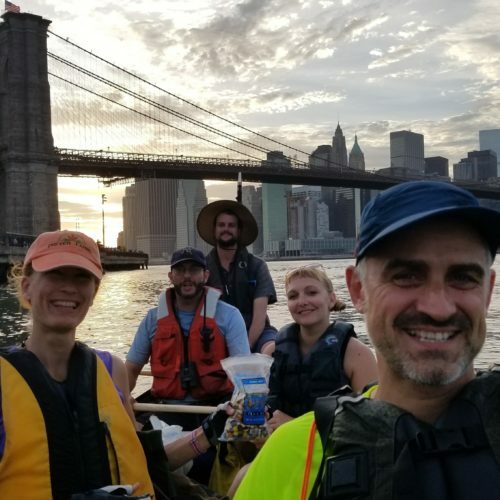 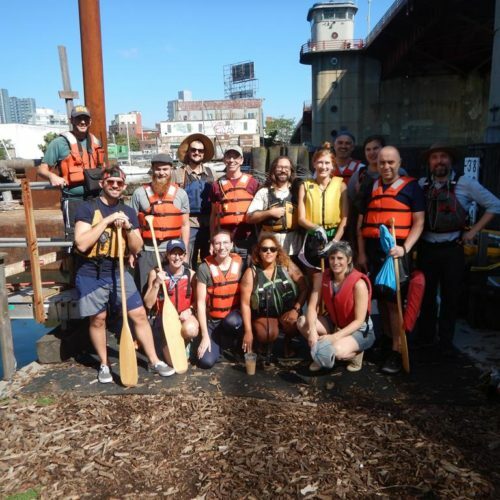 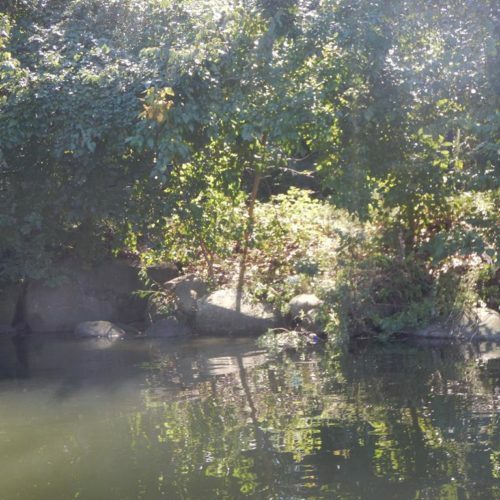 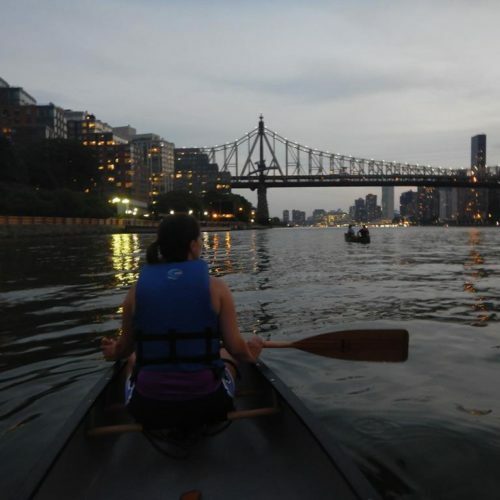 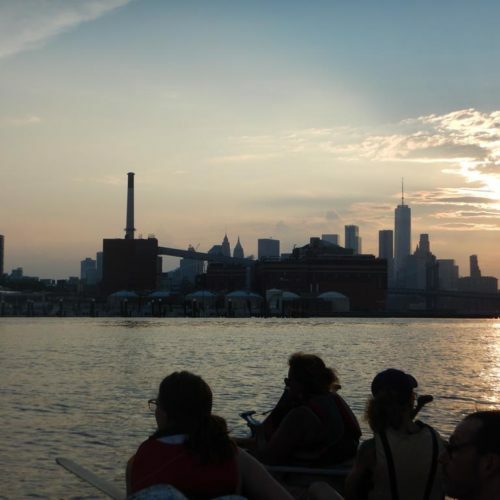 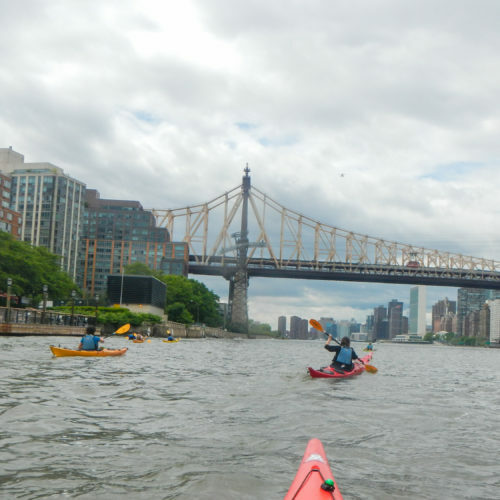 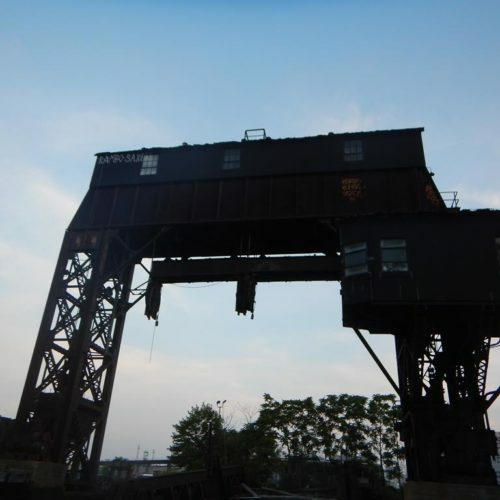 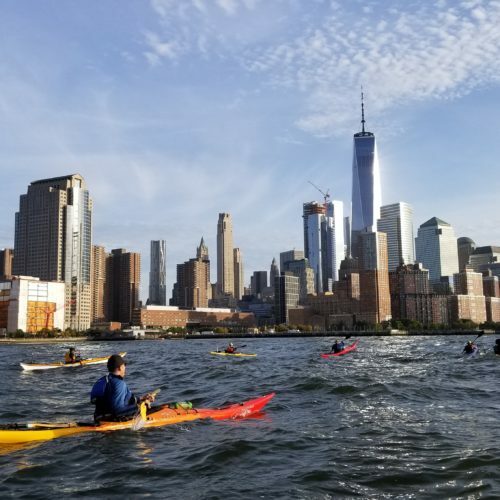 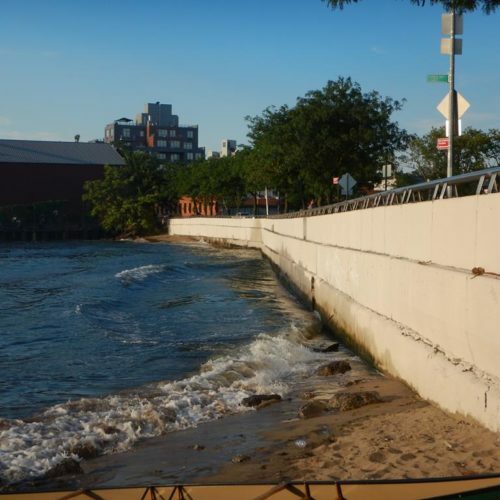 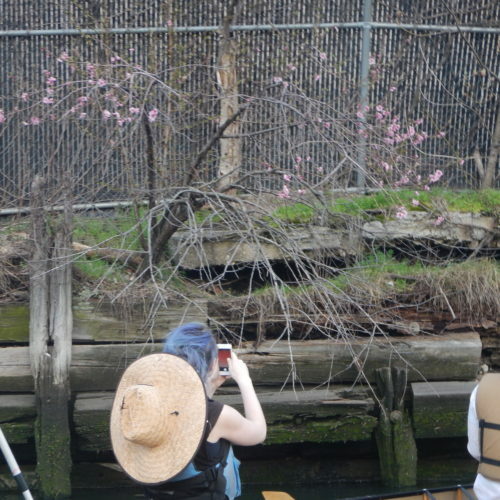 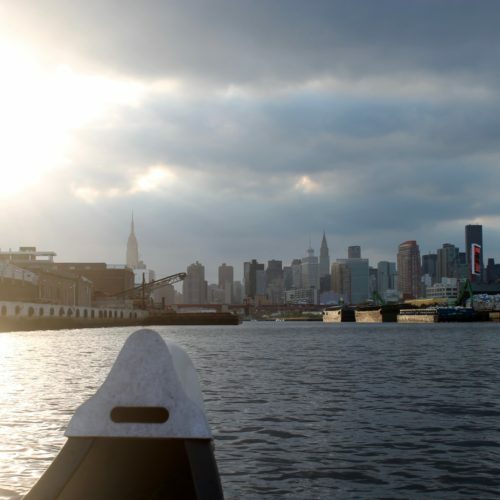 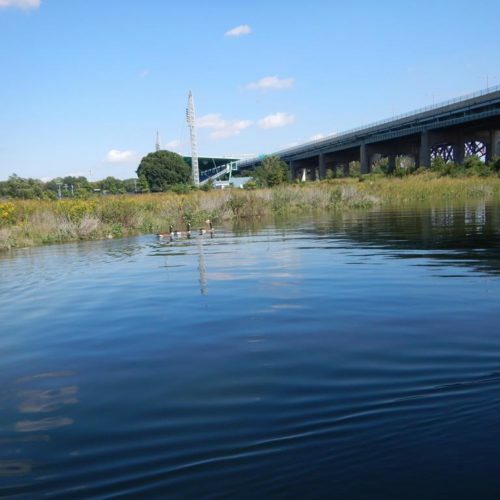 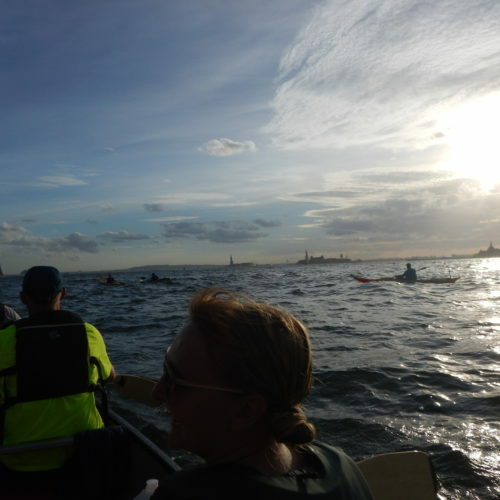 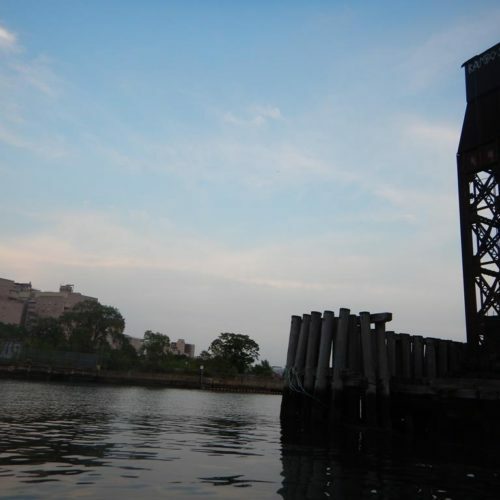 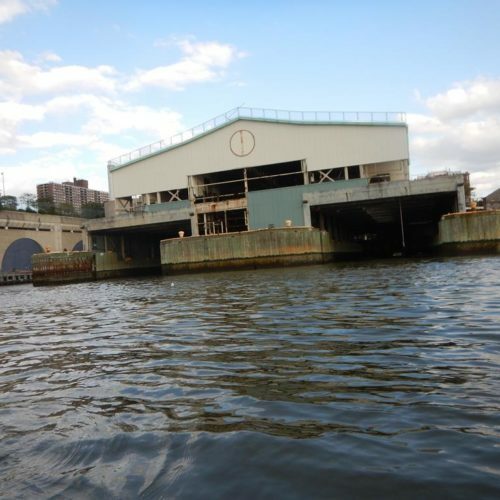 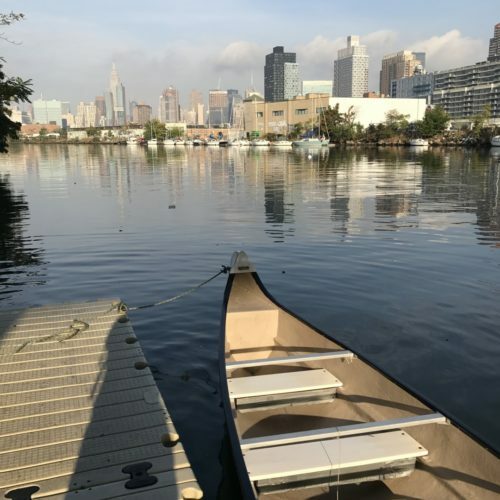 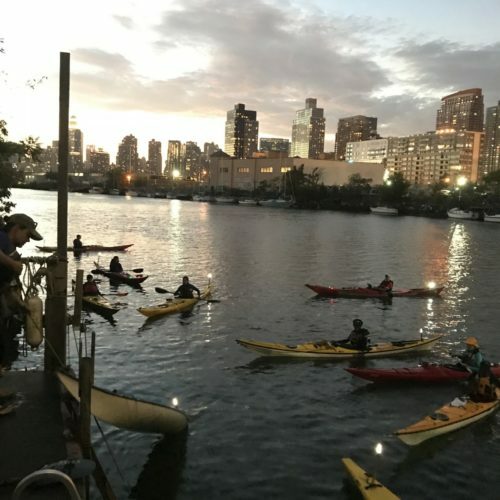 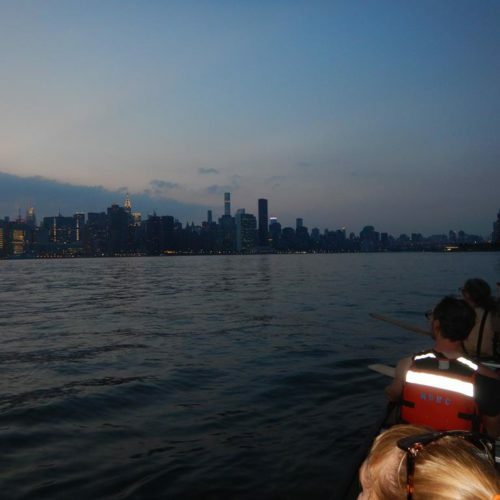 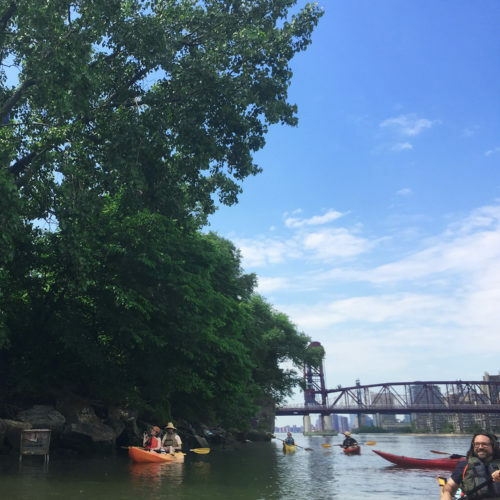 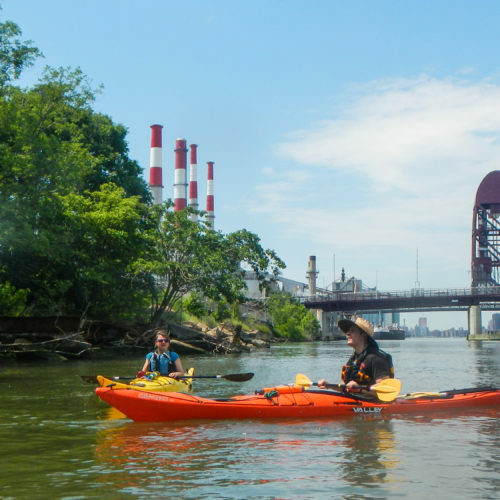 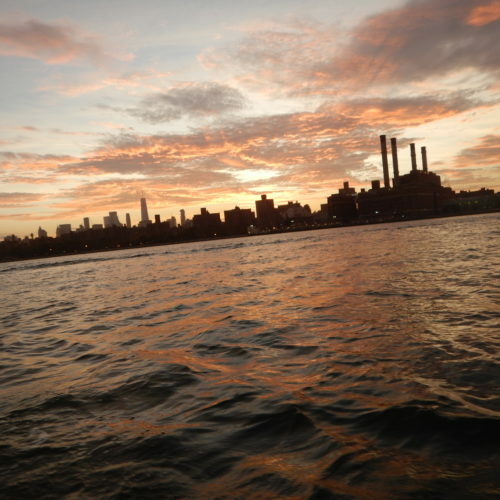 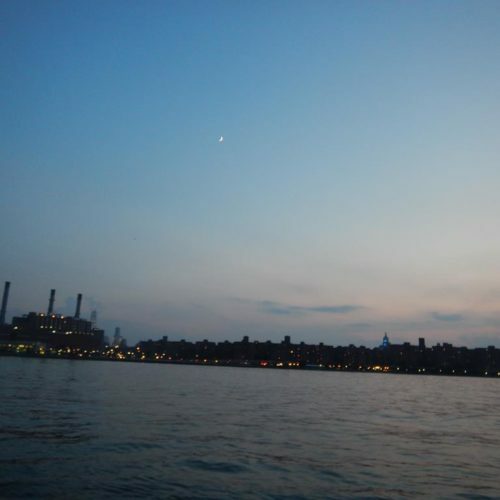 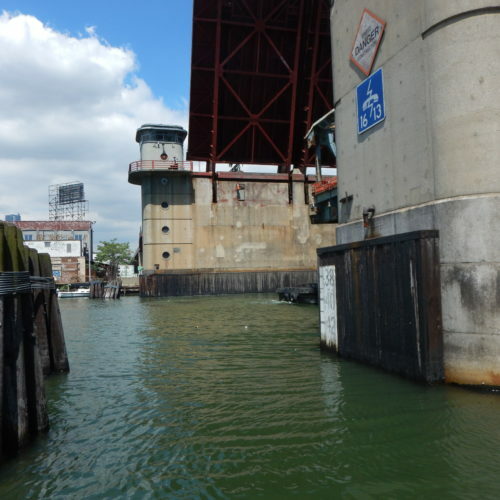 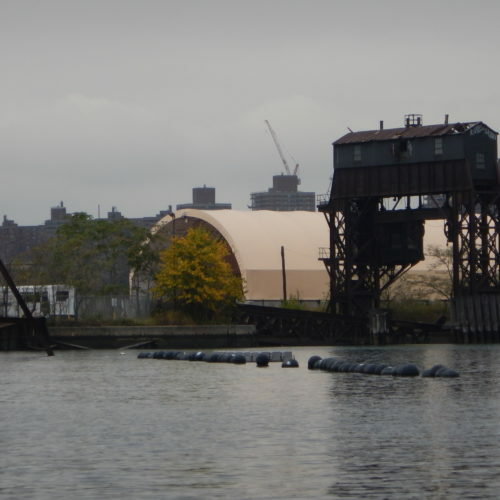 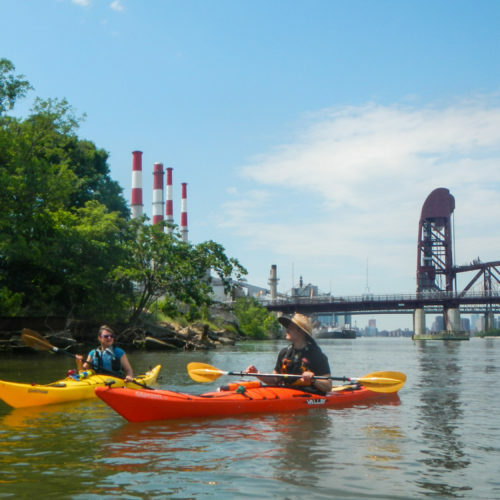 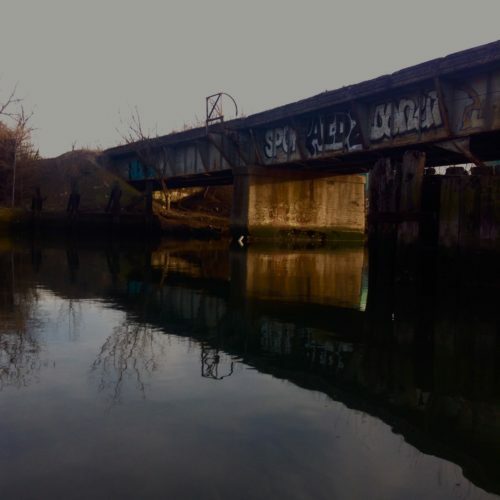 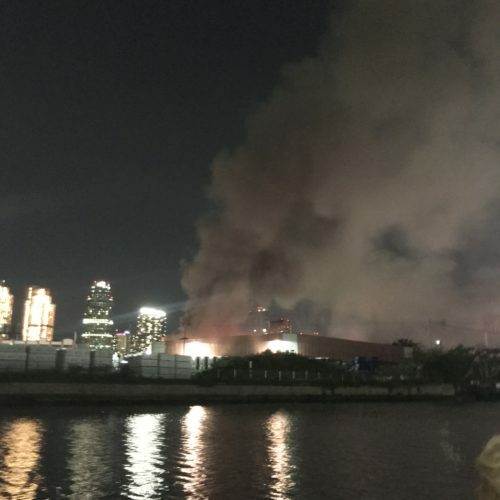 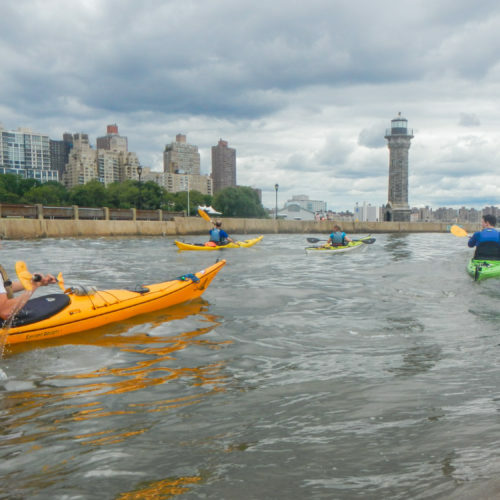 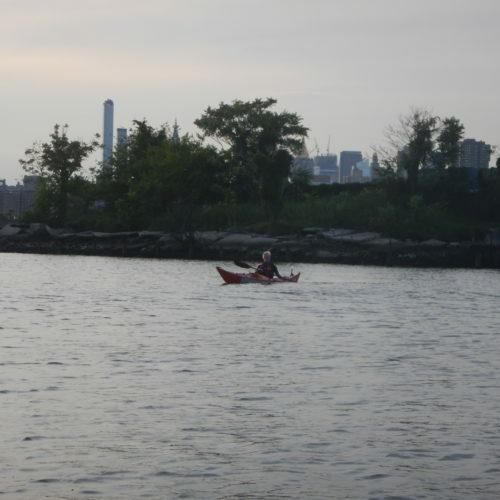 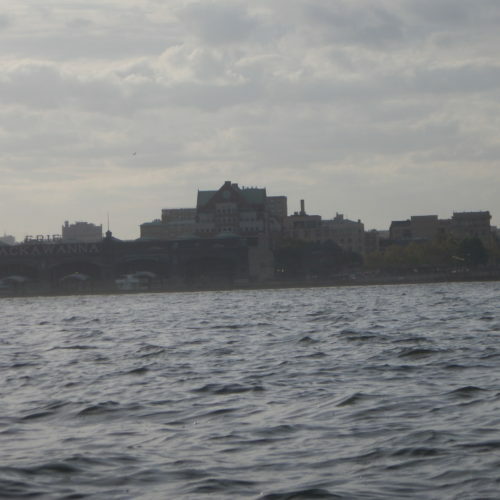 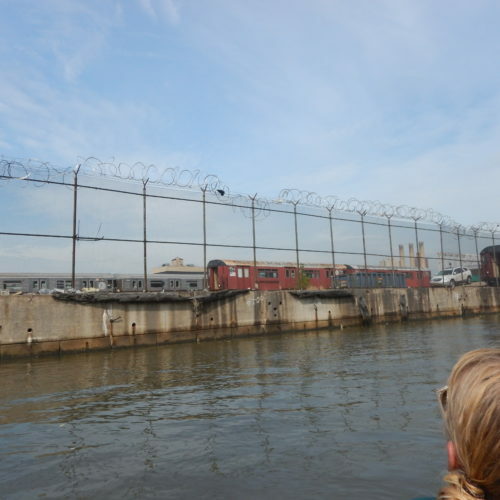 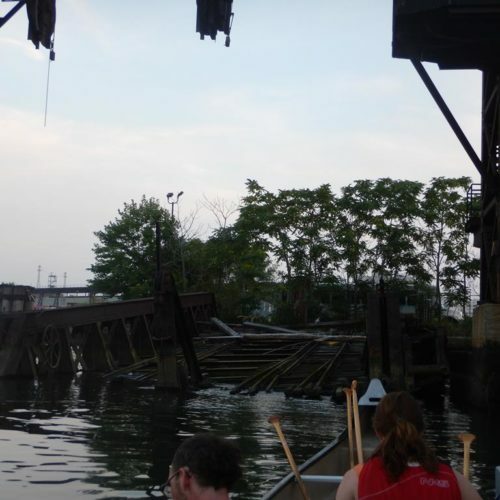 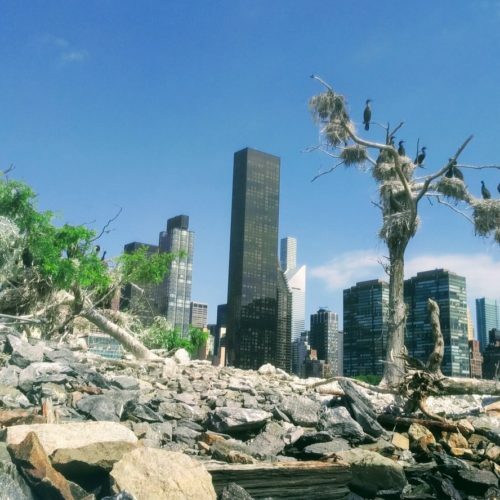 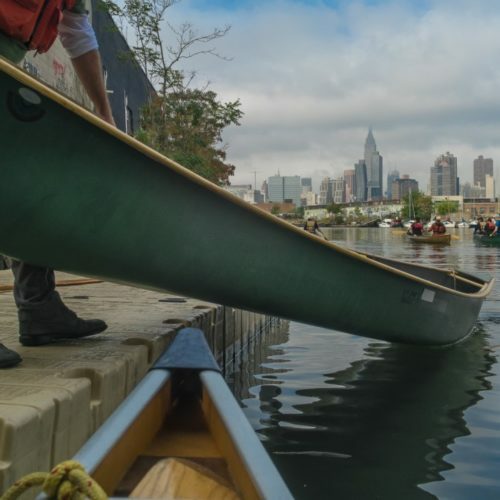 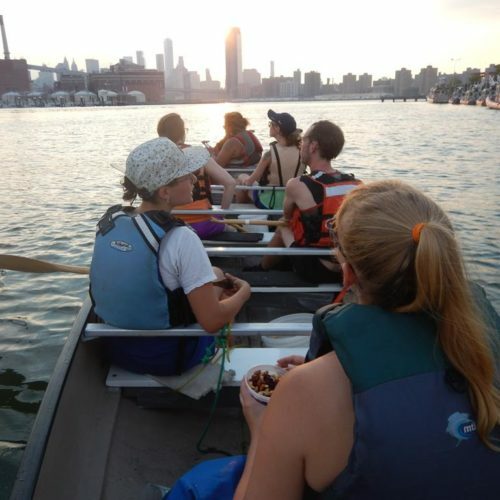 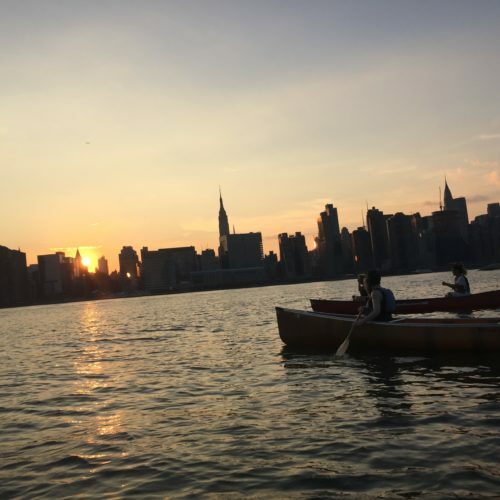 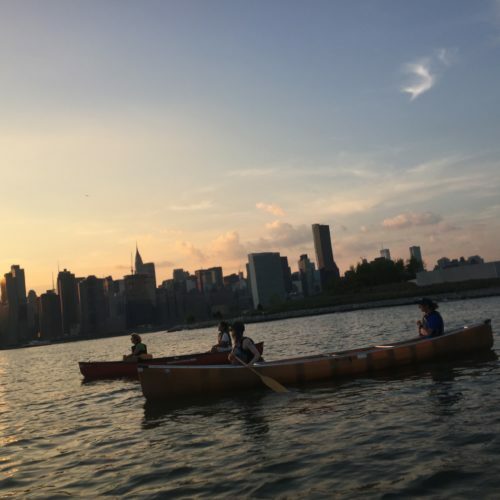 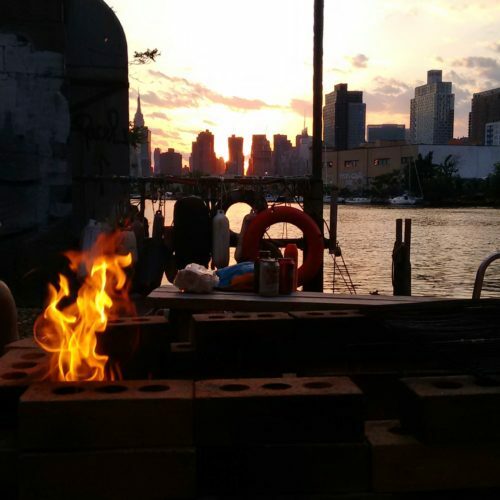 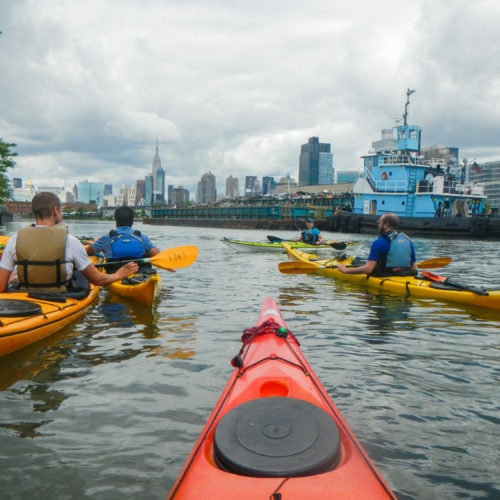 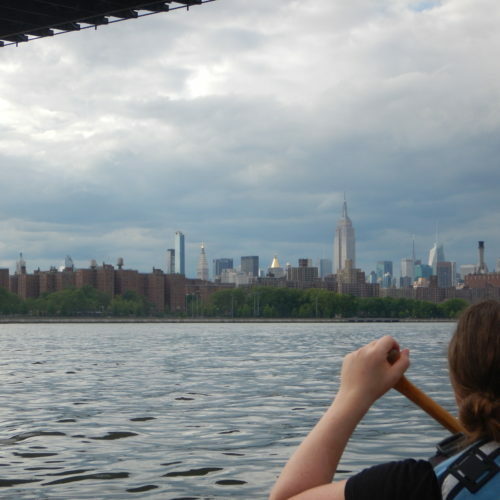 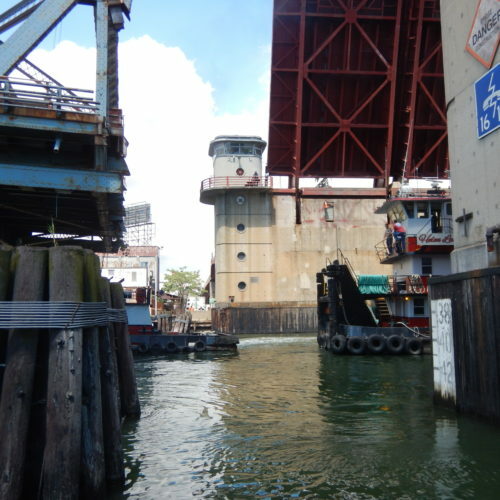 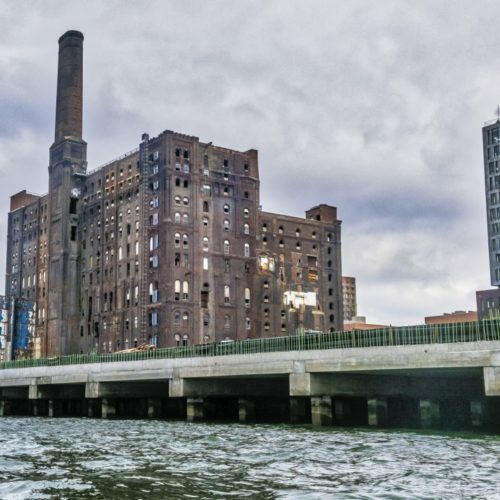 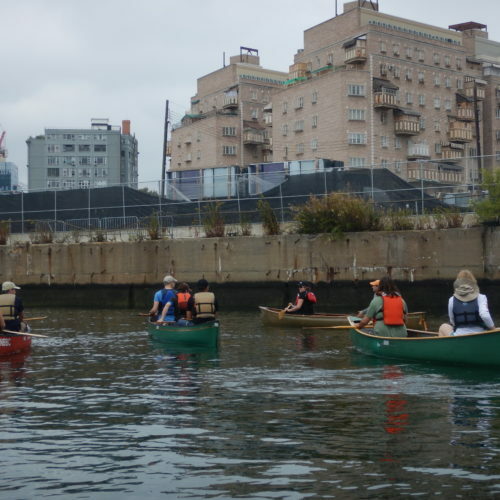 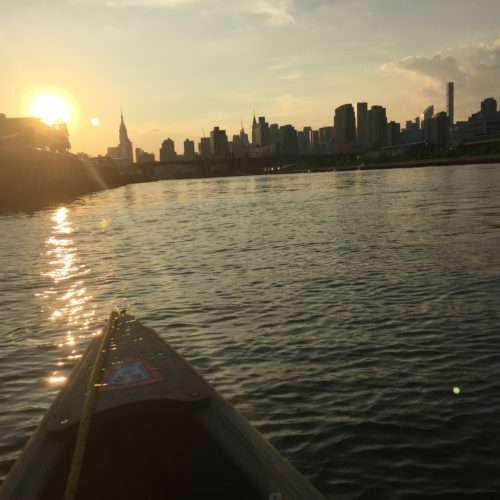 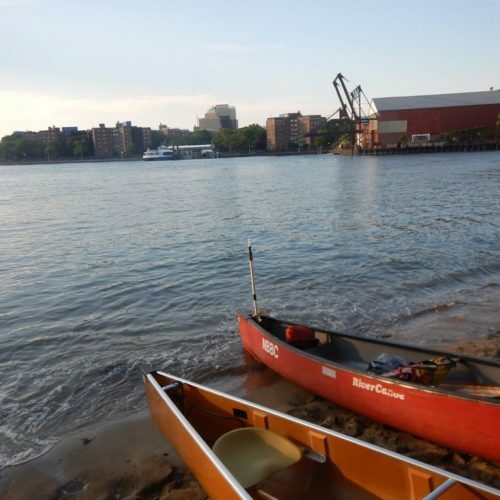 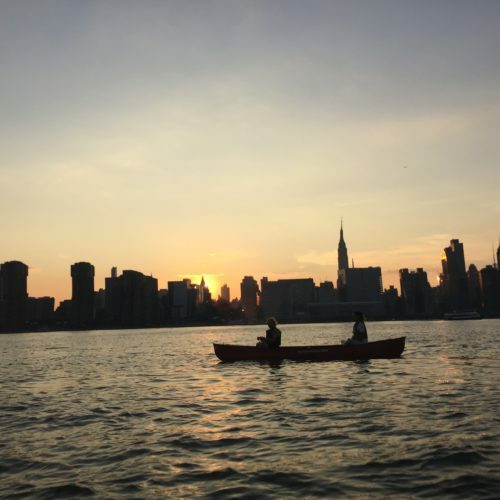 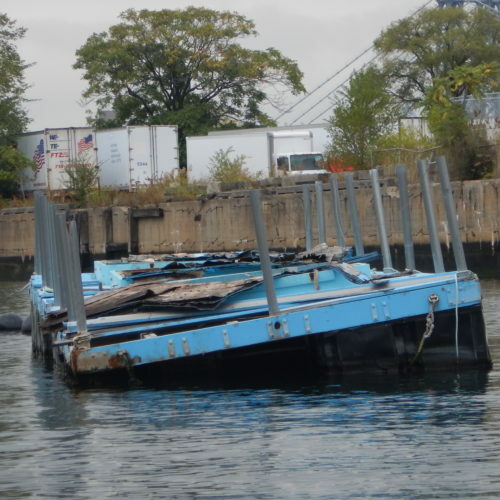 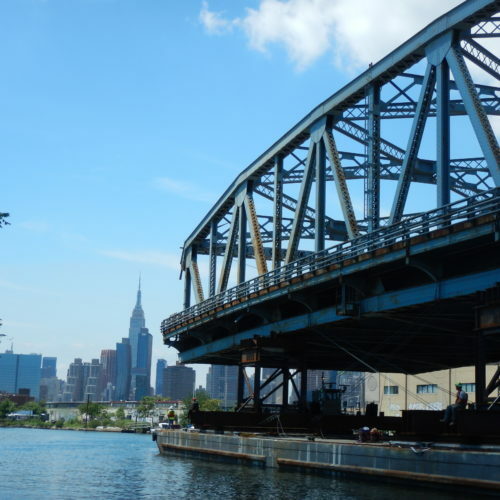 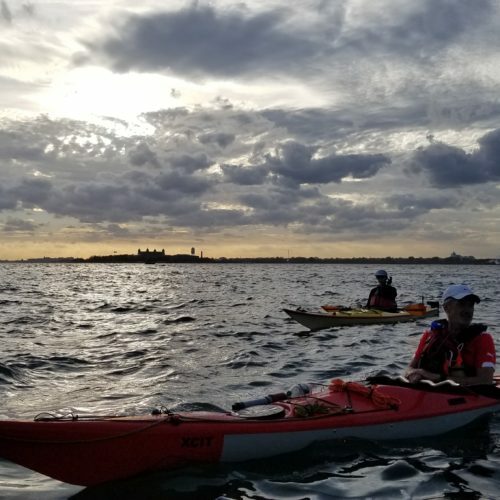 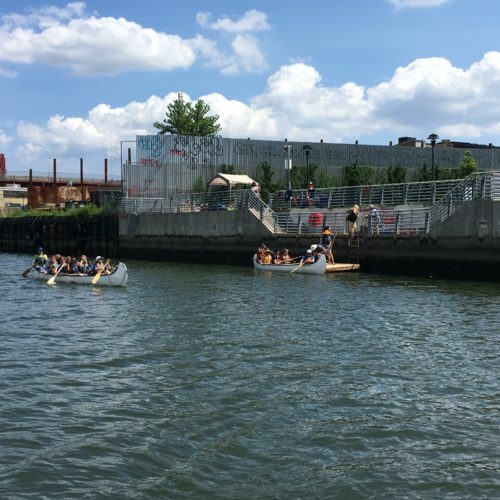 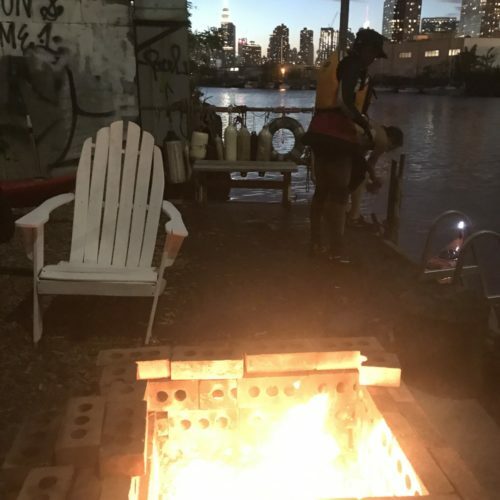 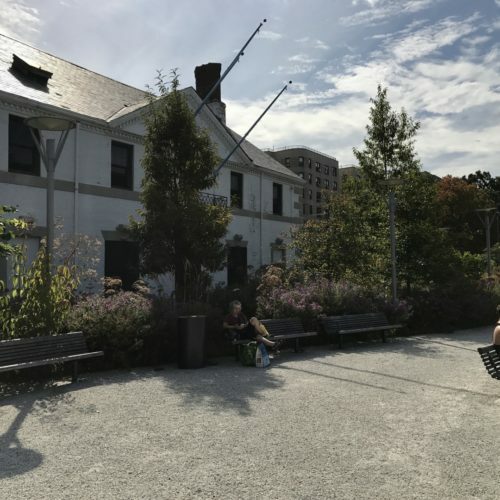 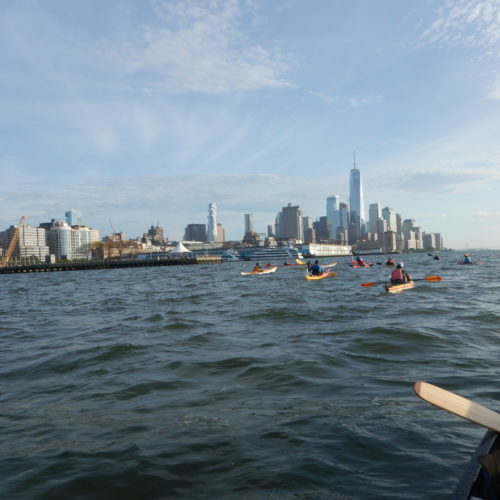 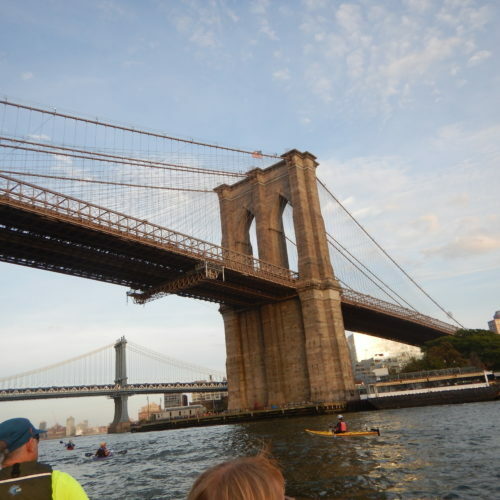 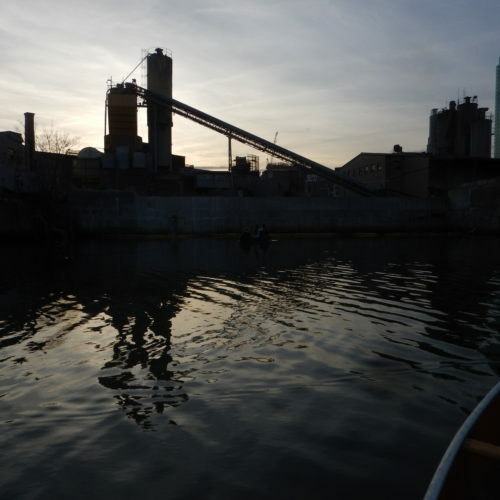 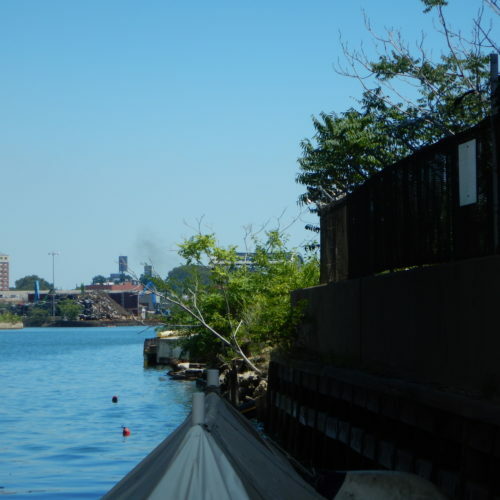 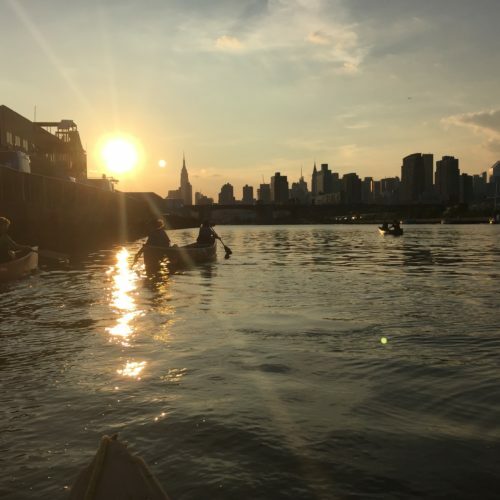 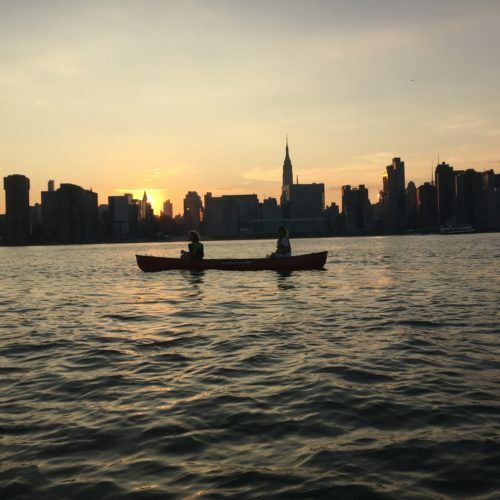 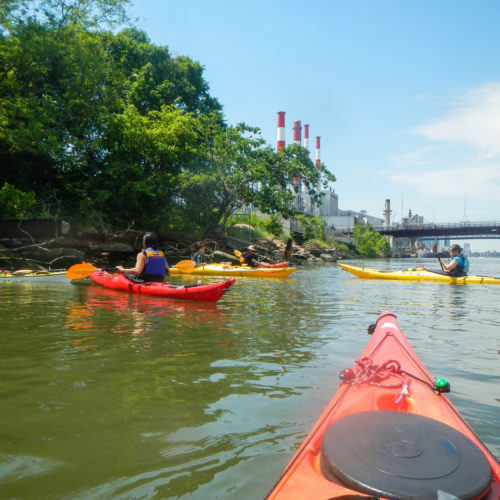 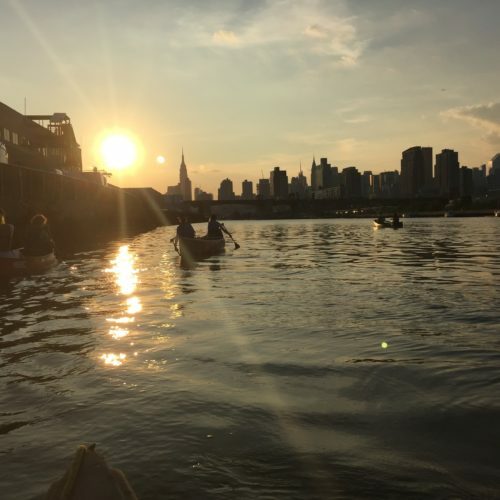 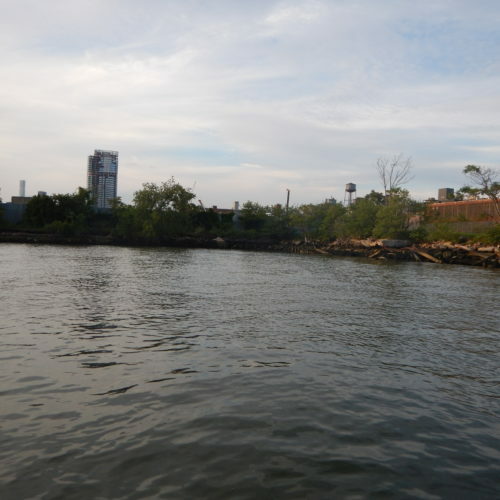 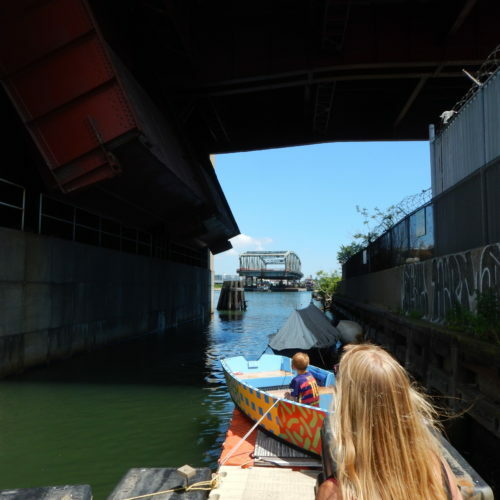 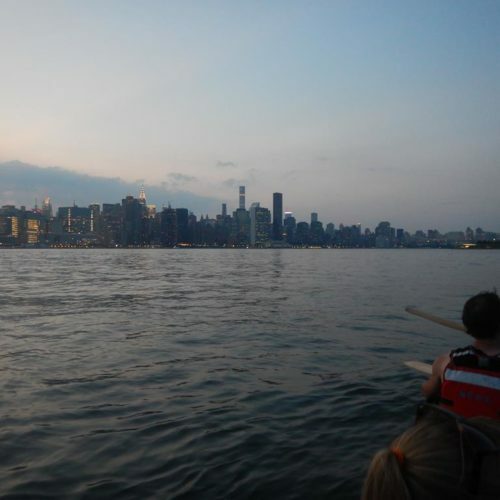 Canoe Manhattan Circ, Little Hell Gate, September 29, 2018. 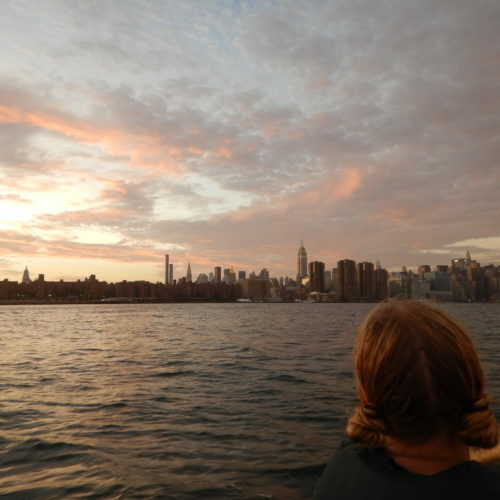 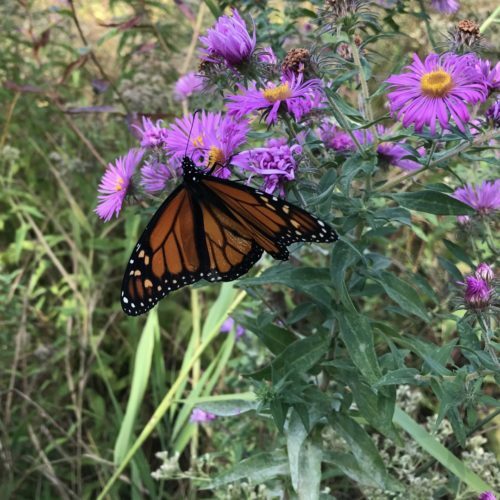 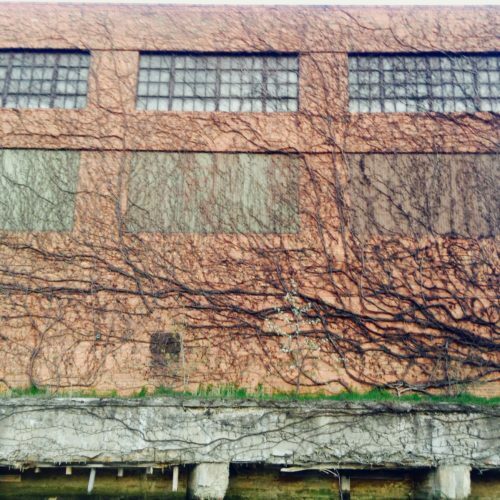 Photo by Miriam Beyer. 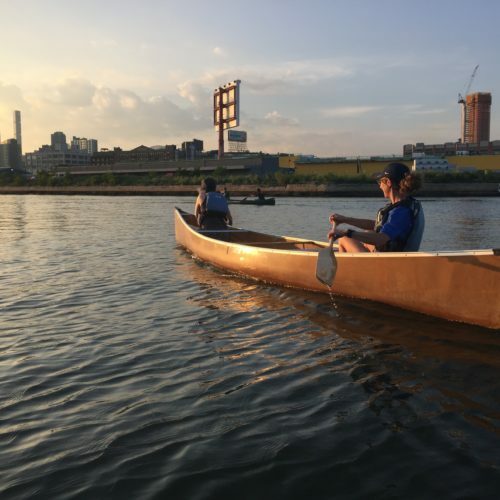 Canoe Manhattan Circ, Harlem River, September 29, 2018. 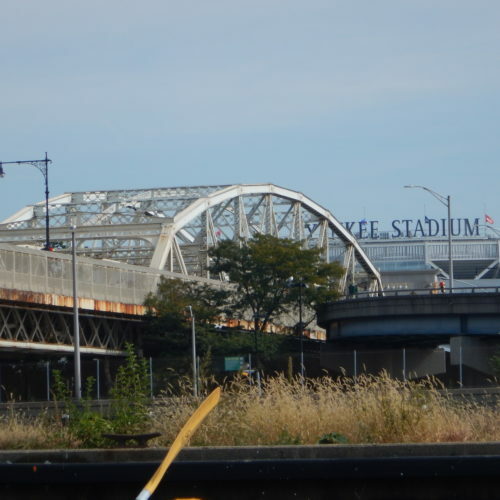 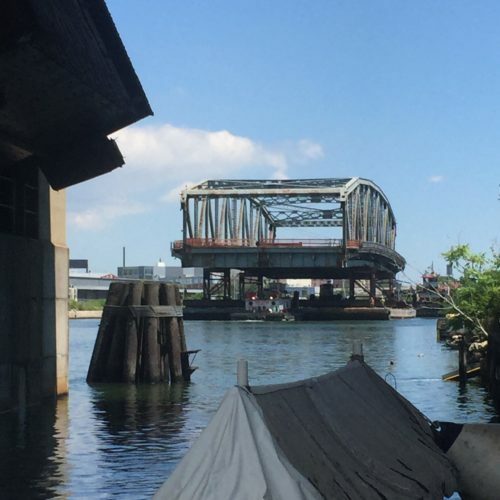 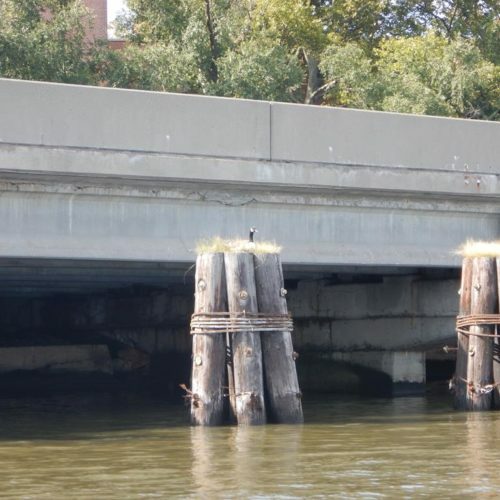 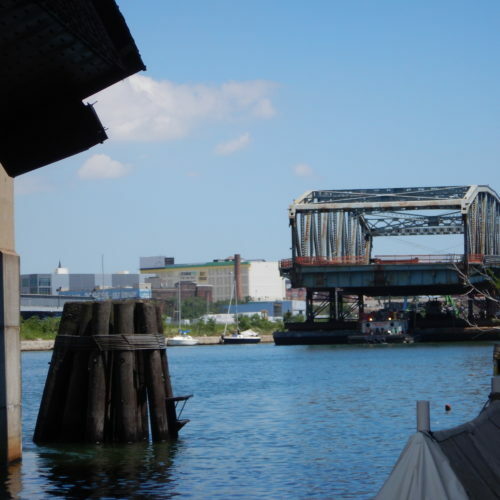 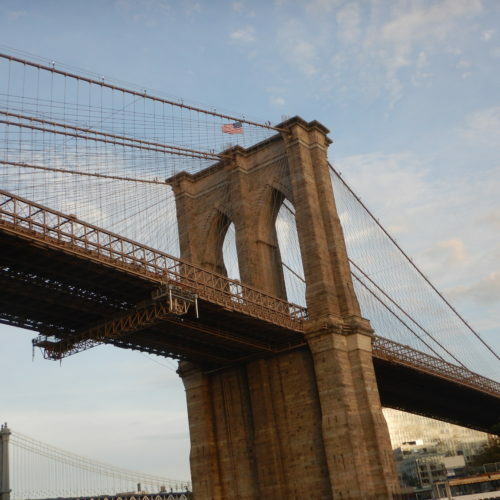 We used to tell Willis that there was a bridge out there with his name all over it! 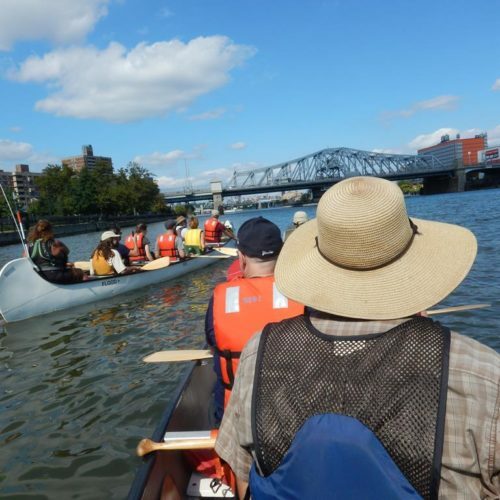 Canoe Manhattan Circ, Harlem River, September 29, 2018. 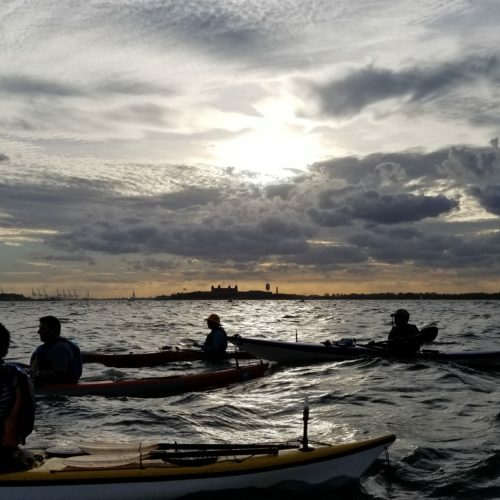 They call it the World Series. 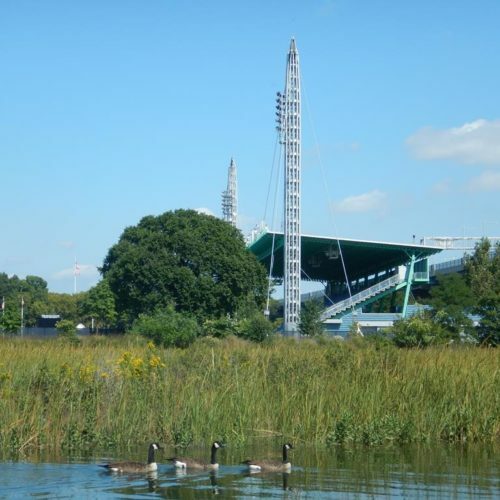 But it's usually played here. 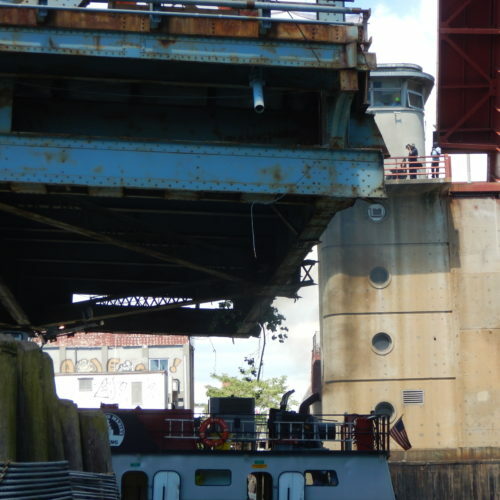 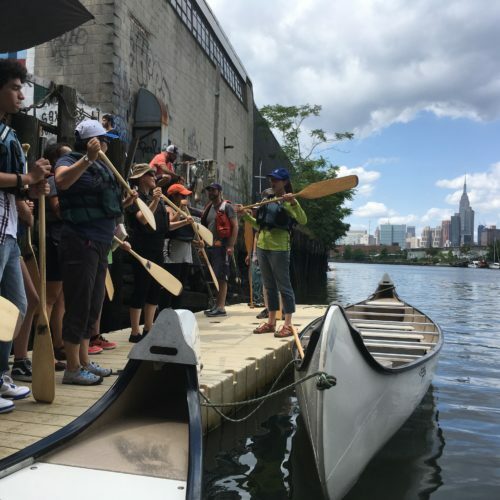 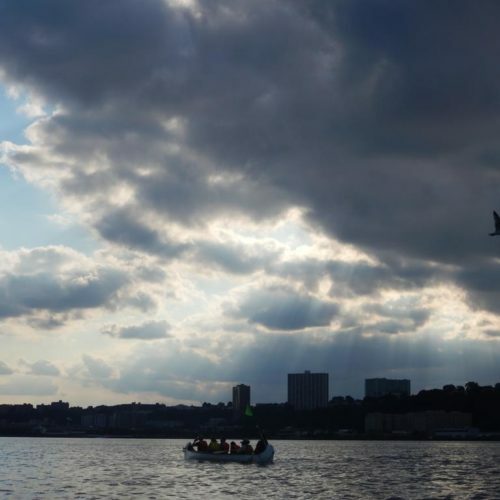 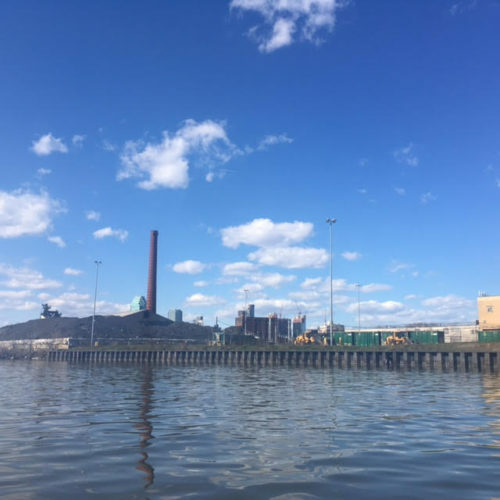 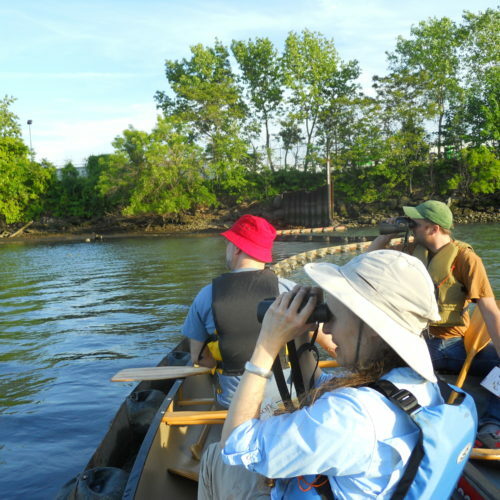 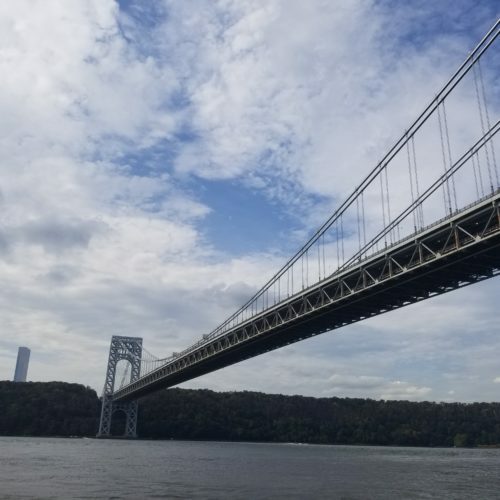 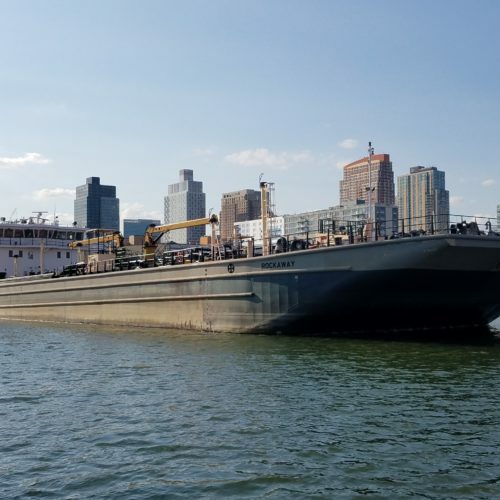 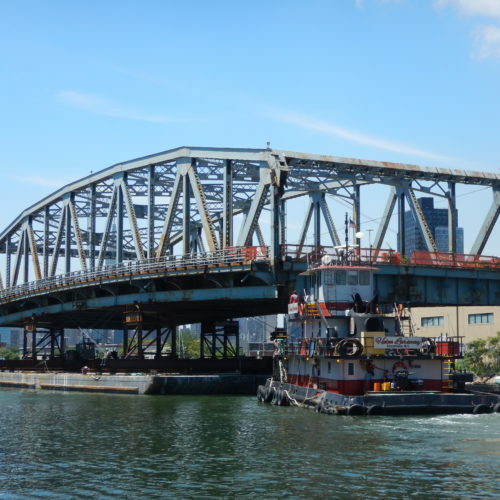 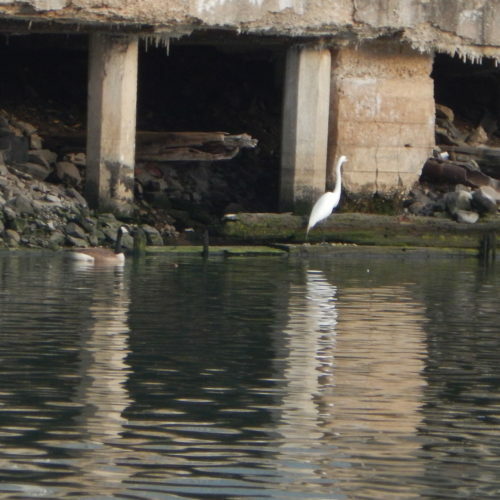 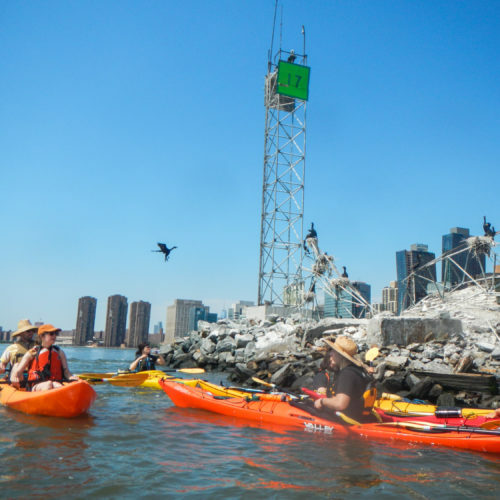 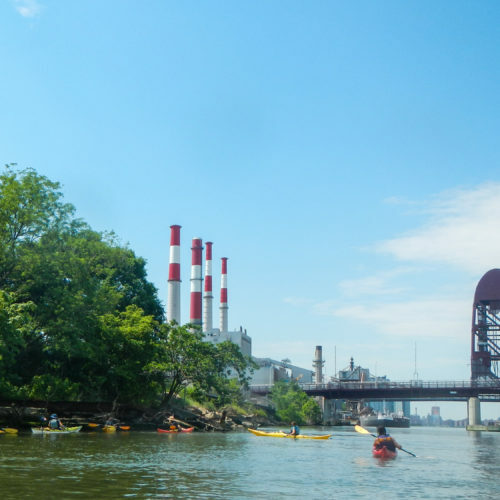 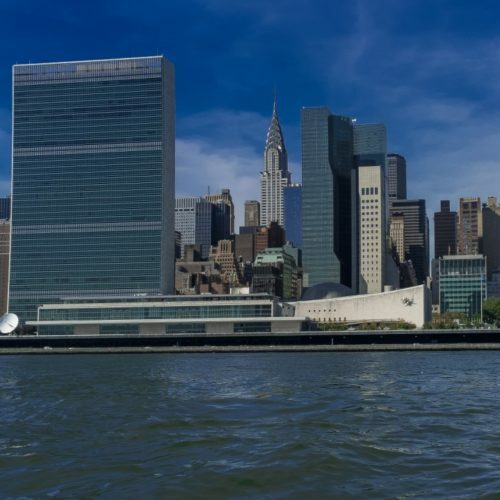 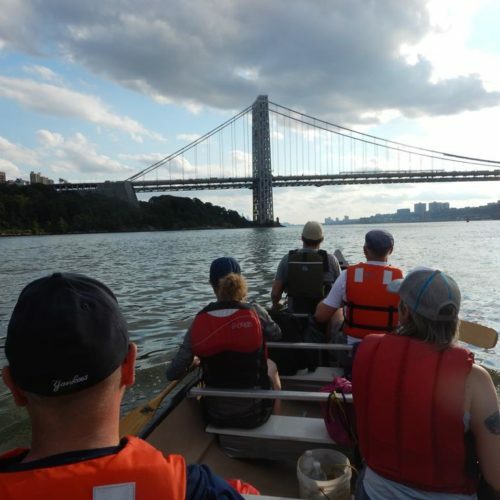 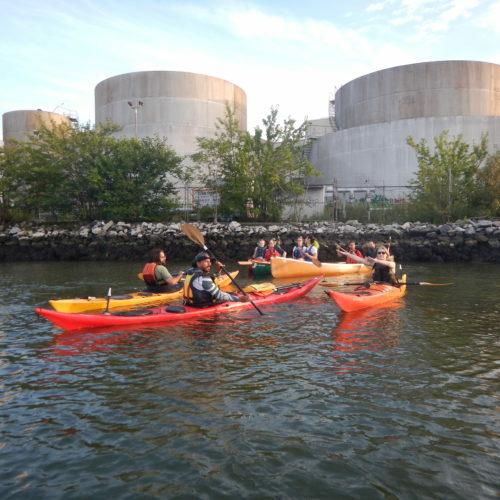 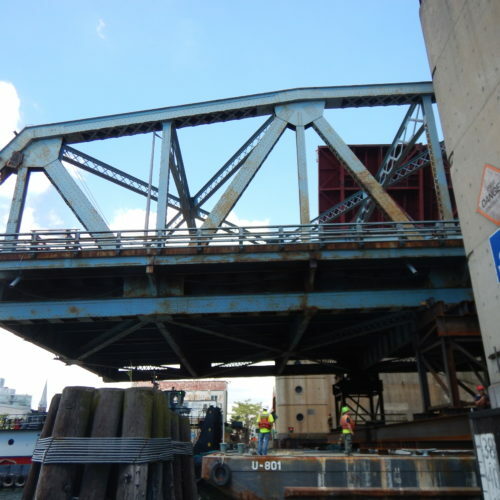 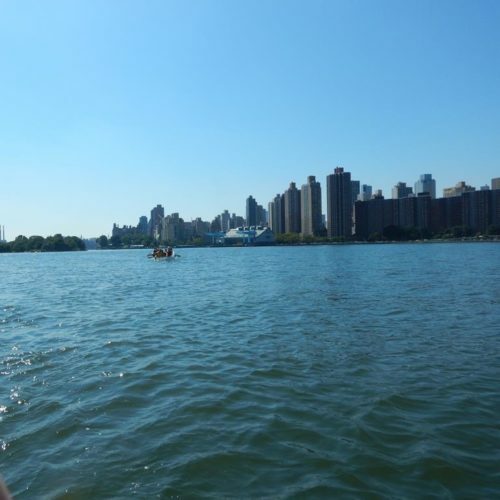 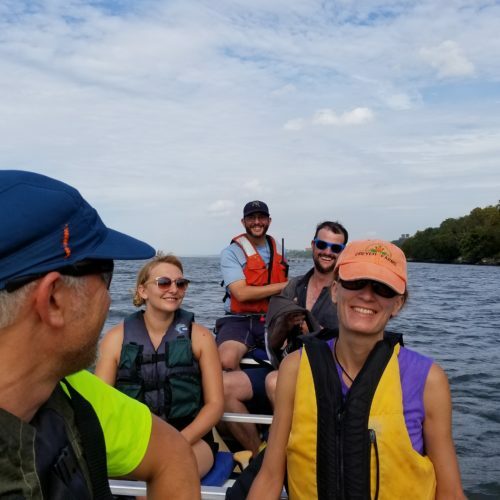 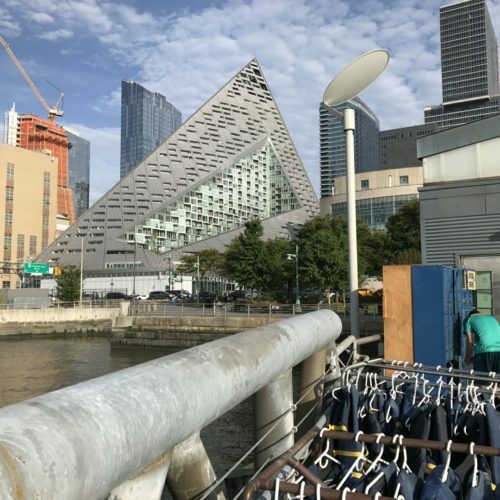 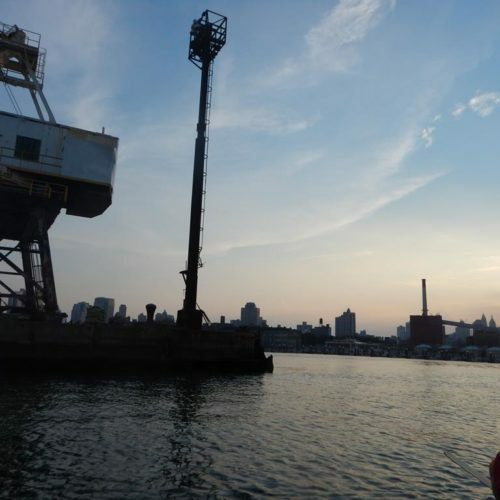 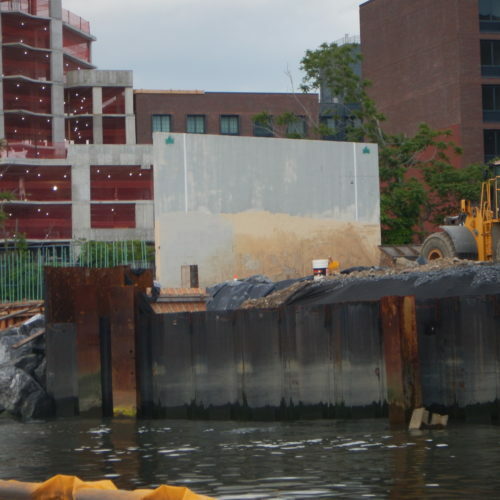 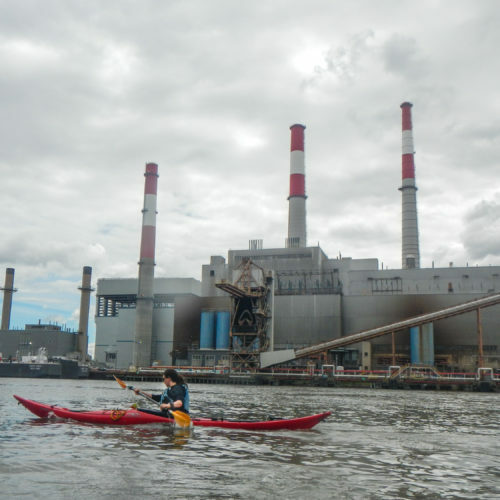 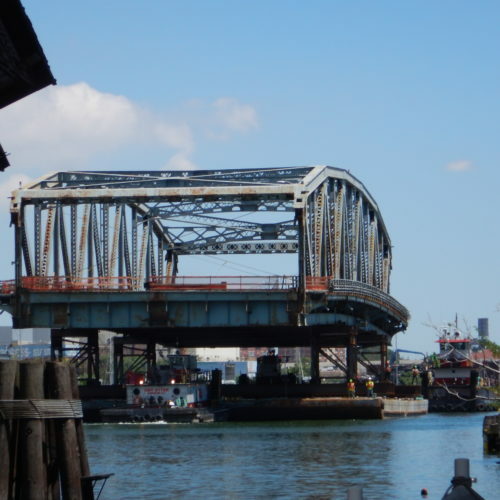 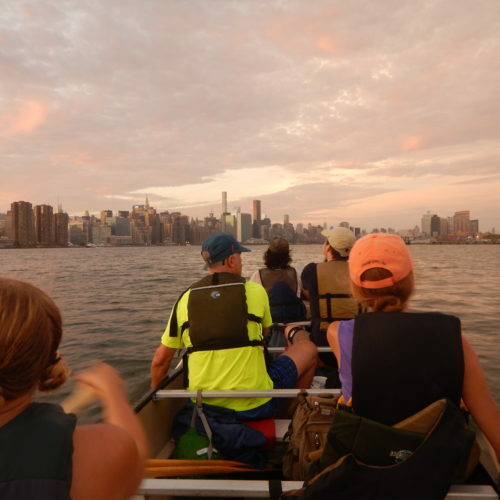 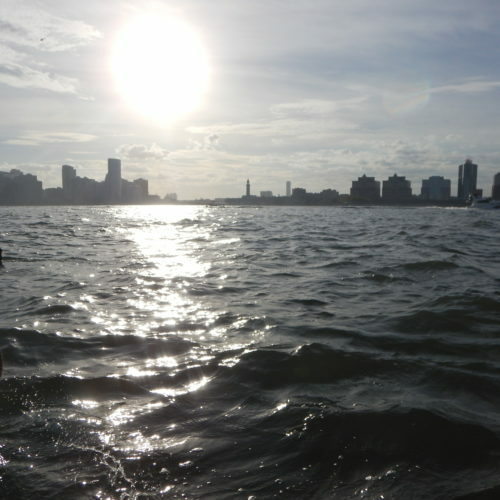 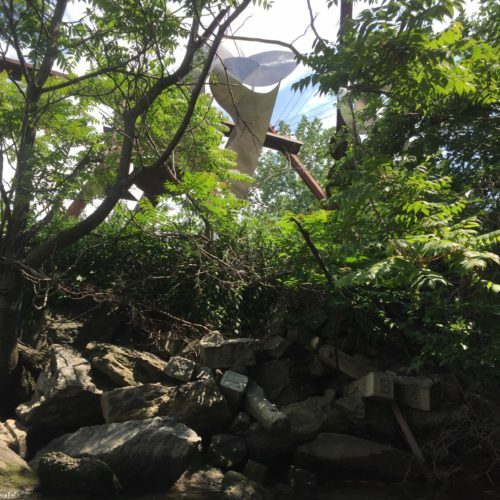 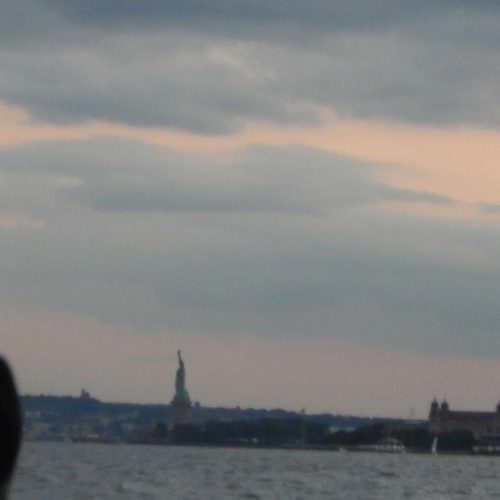 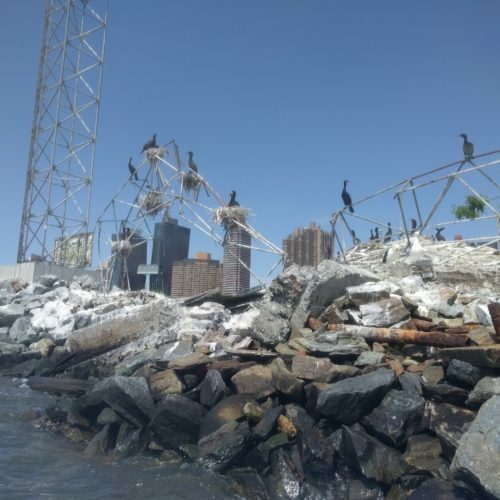 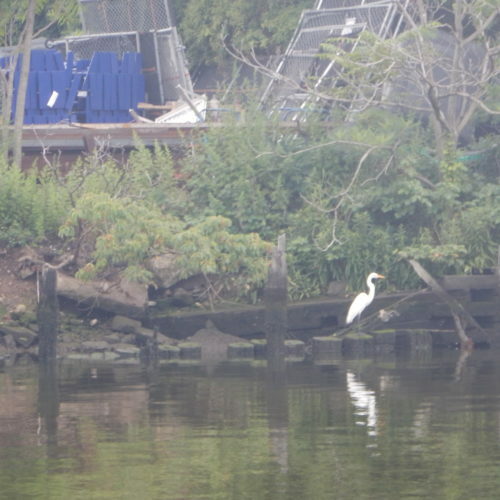 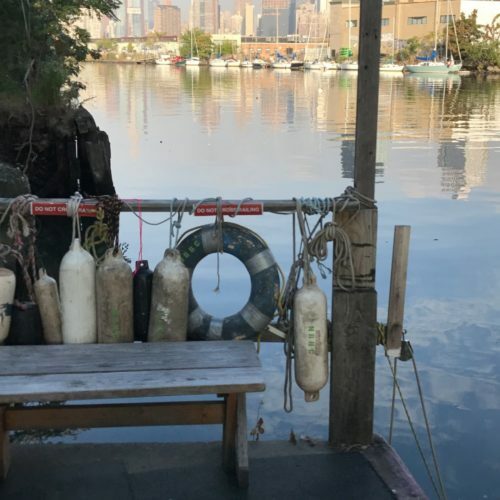 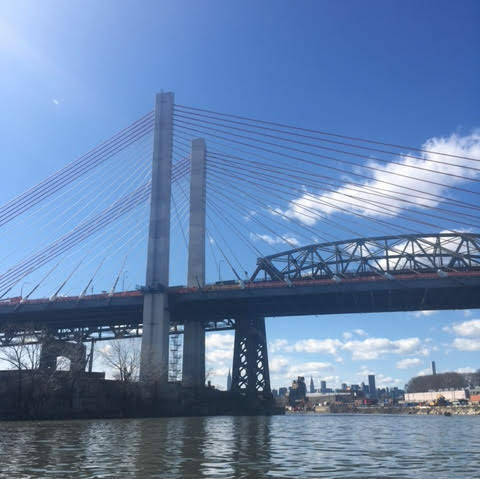 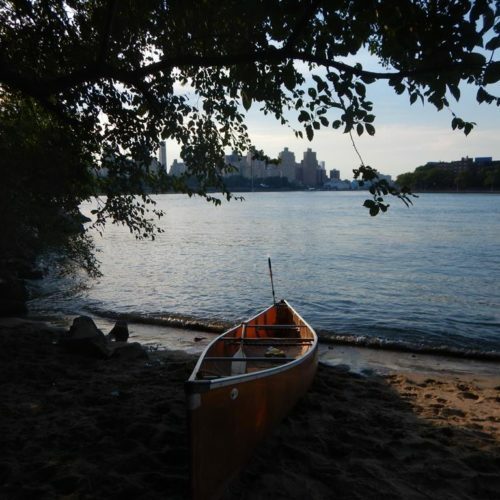 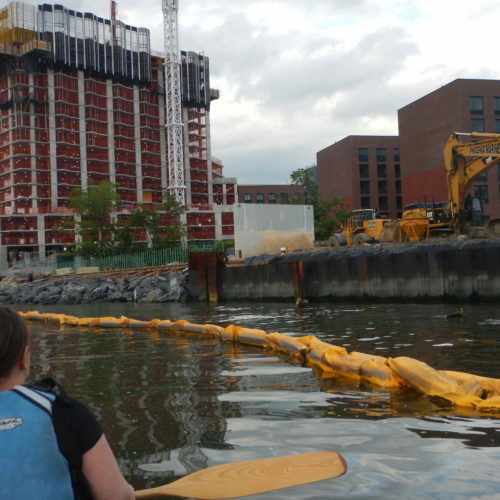 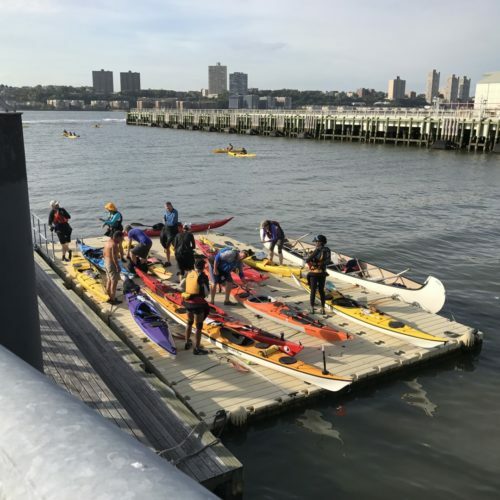 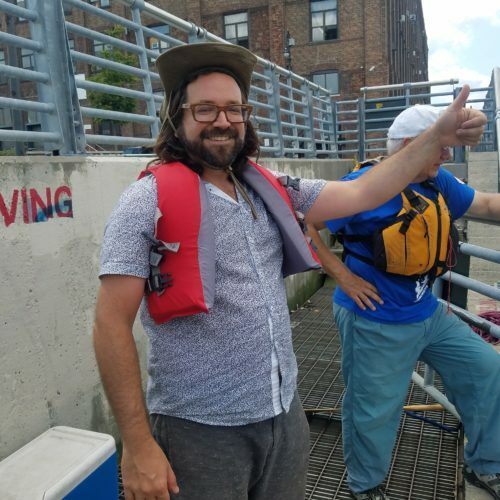 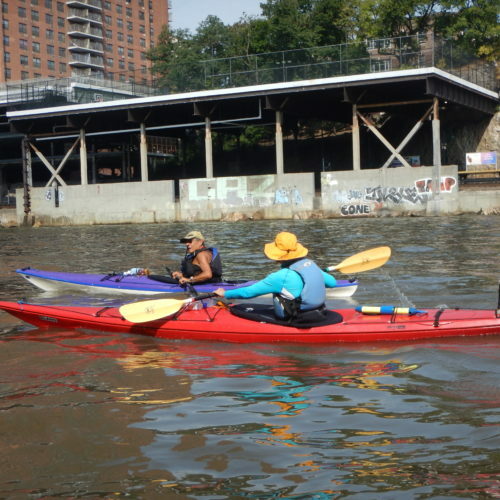 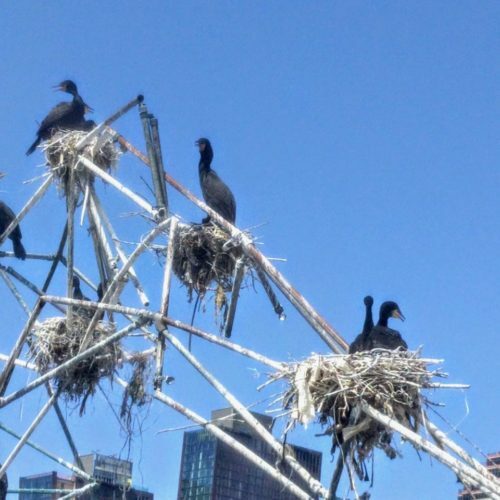 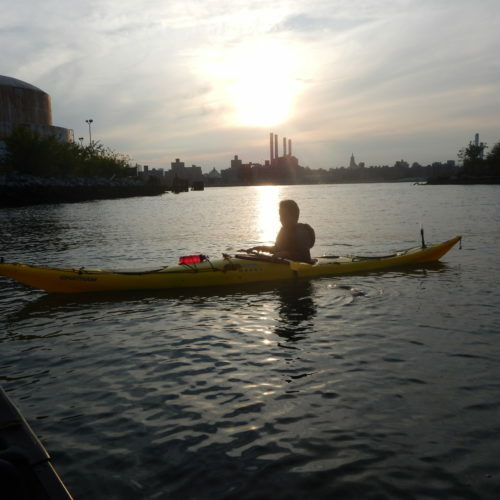 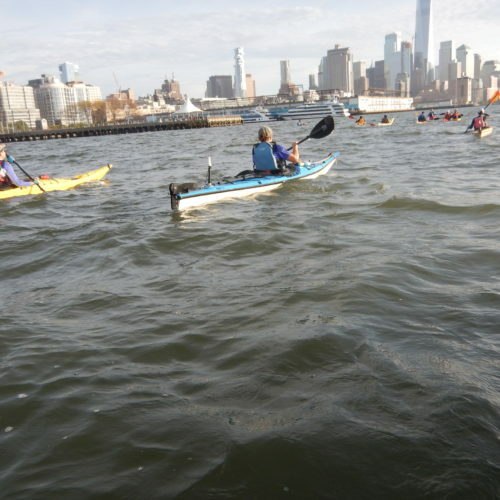 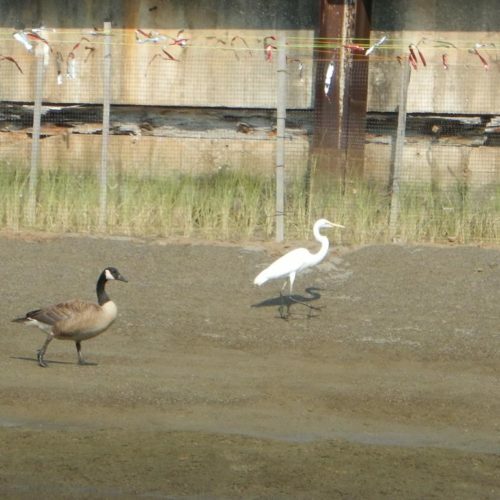 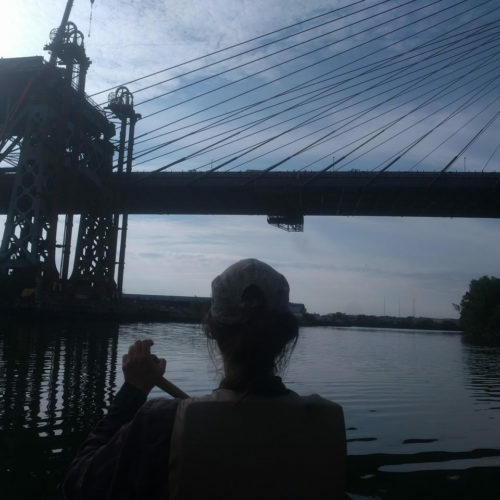 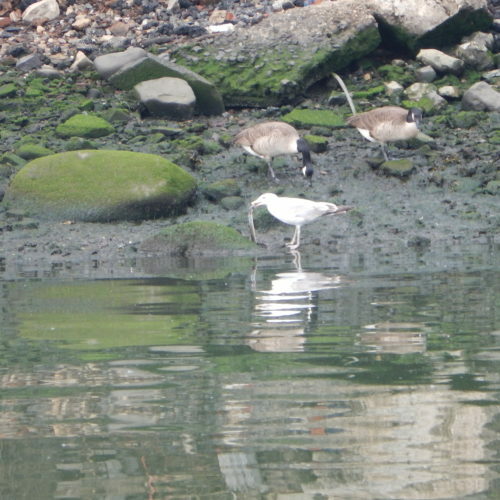 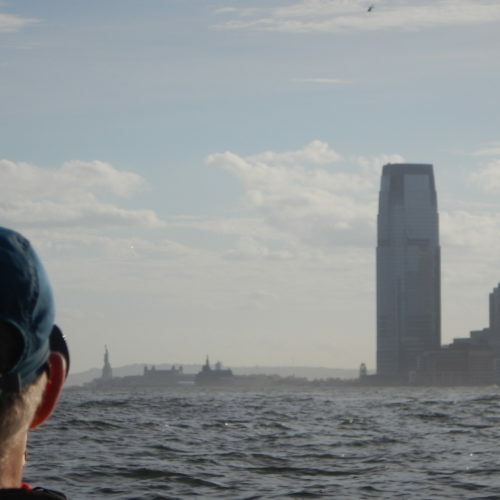 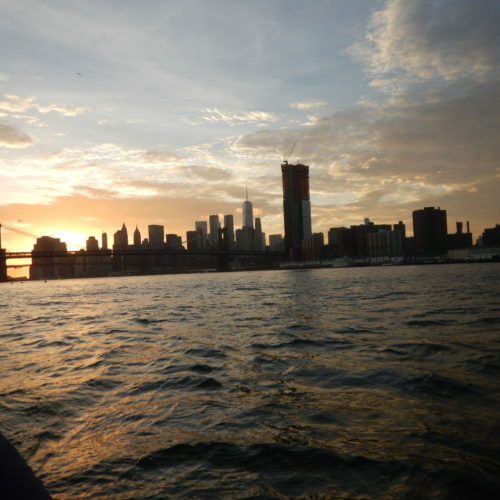 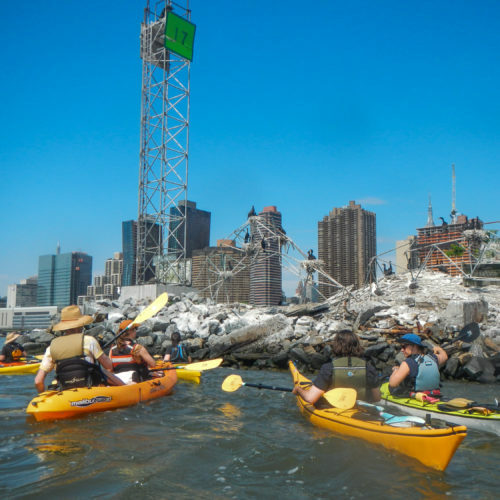 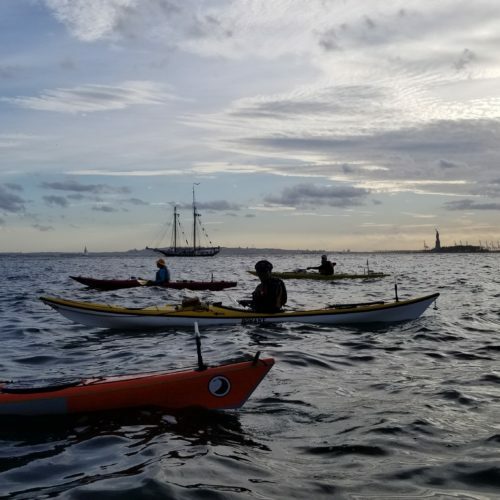 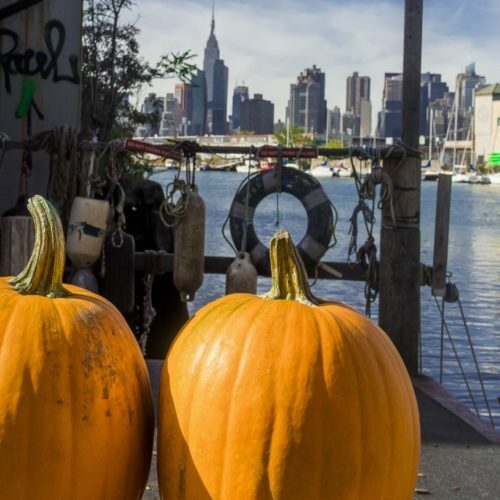 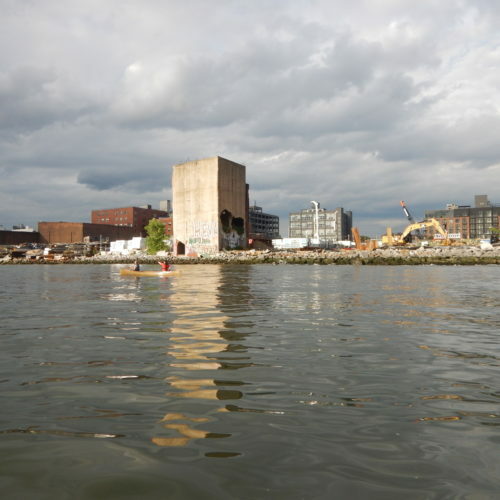 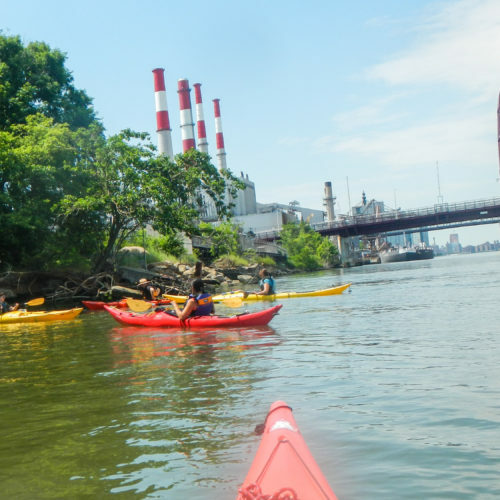 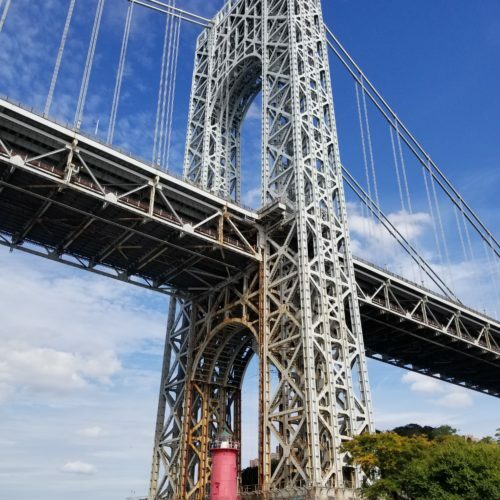 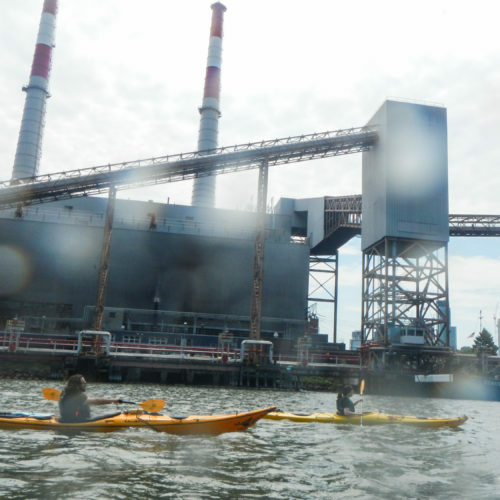 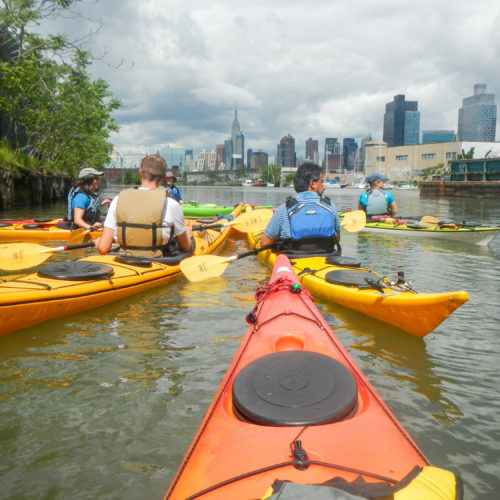 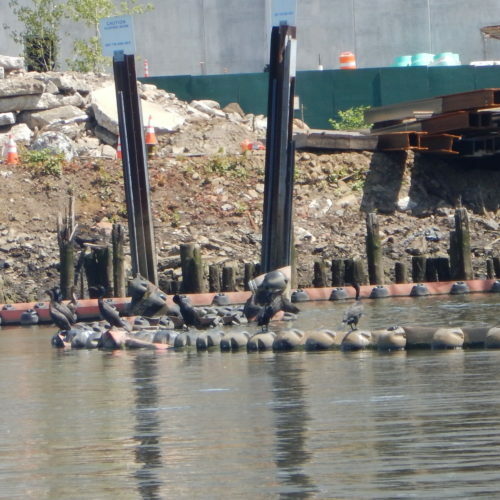 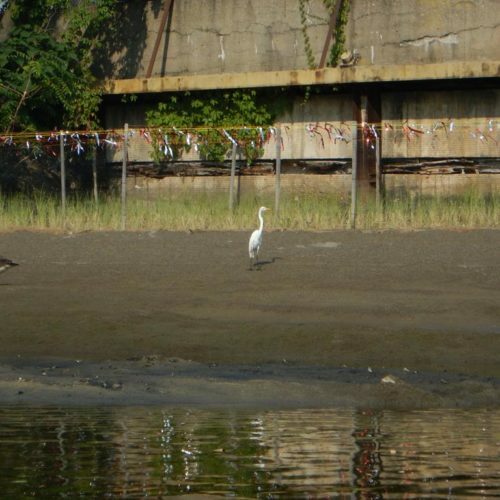 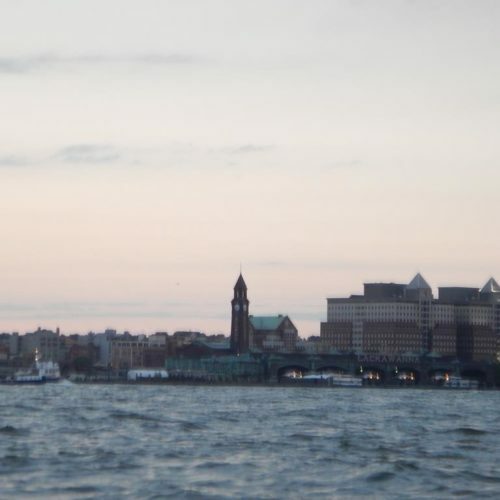 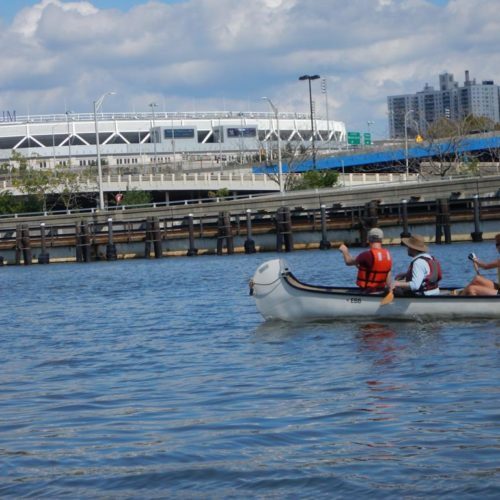 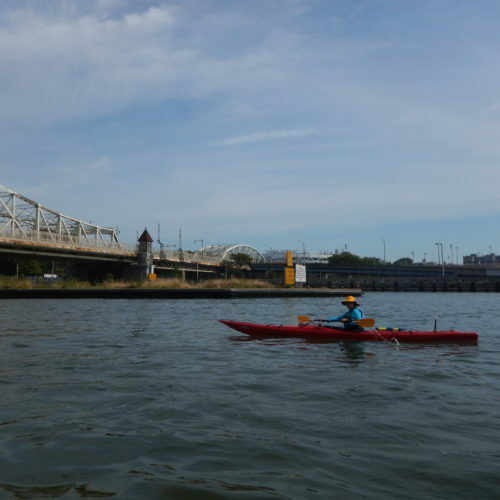 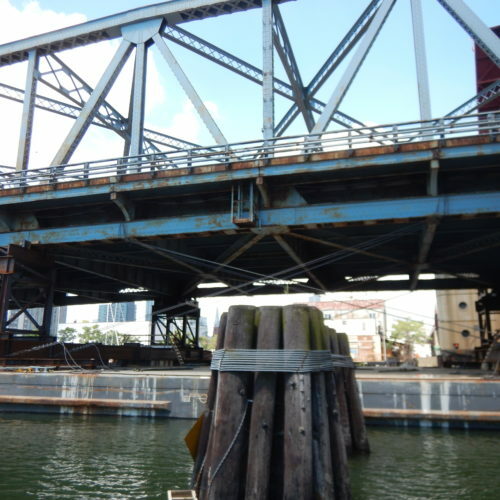 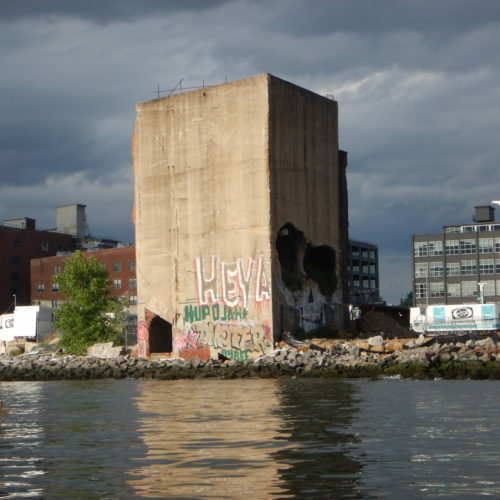 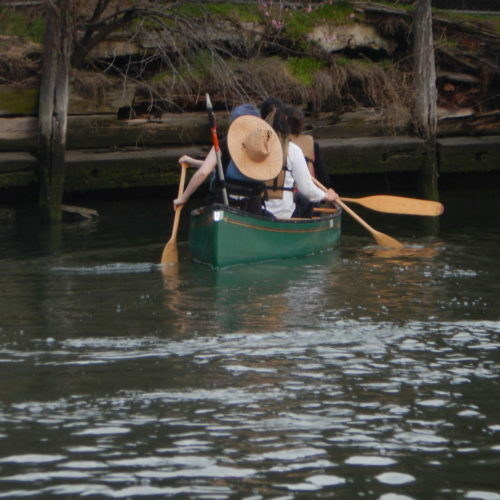 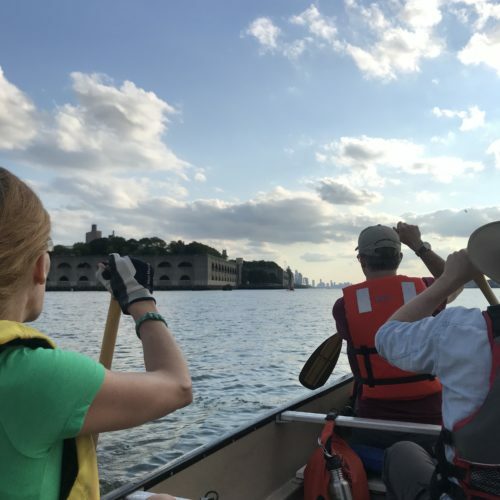 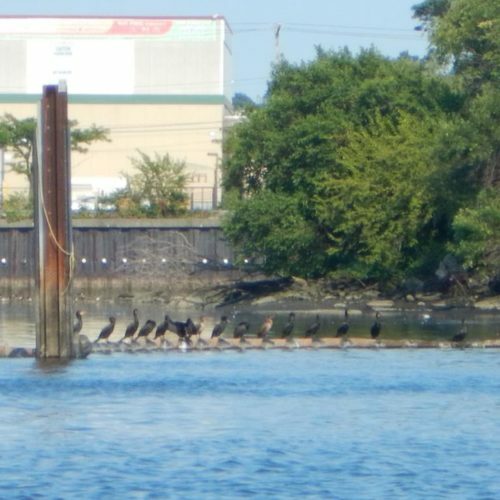 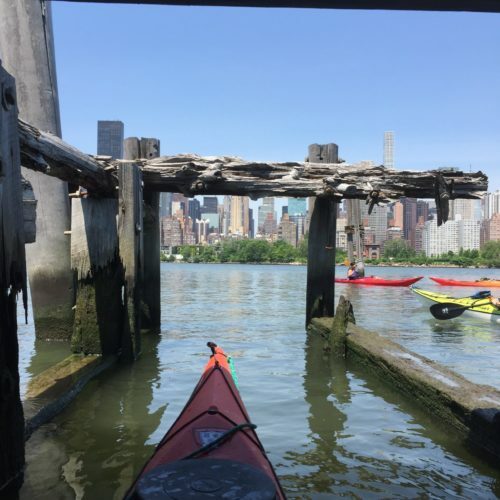 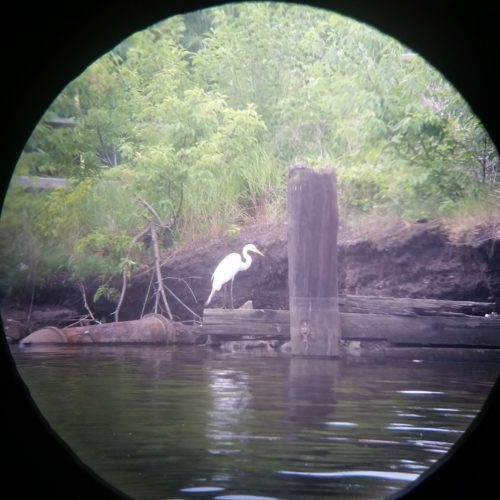 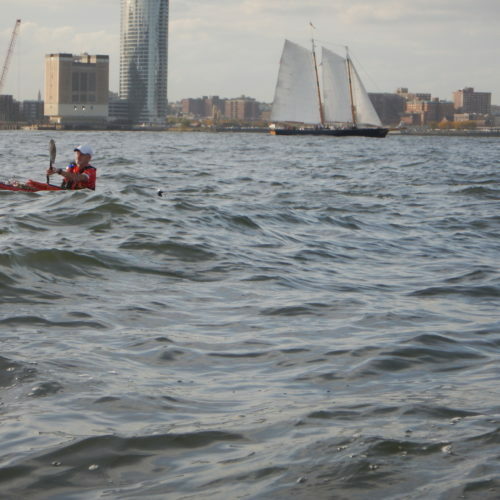 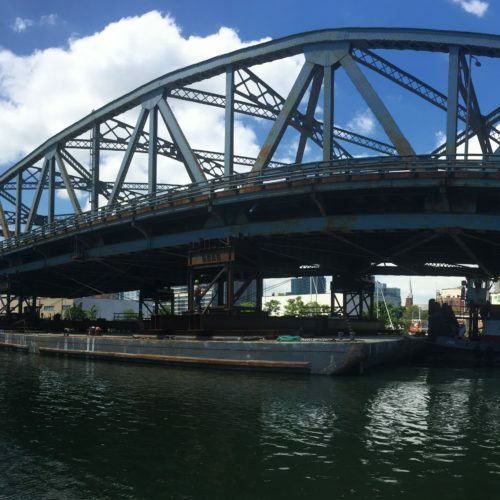 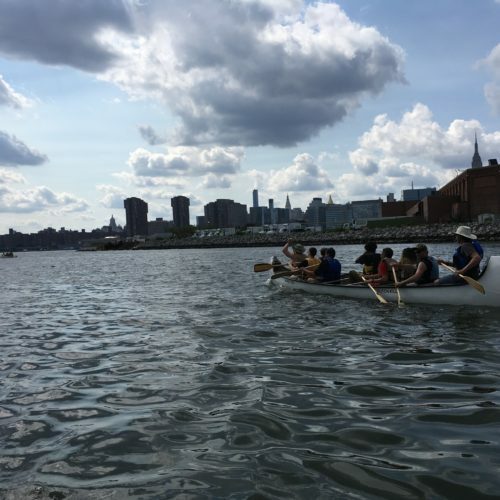 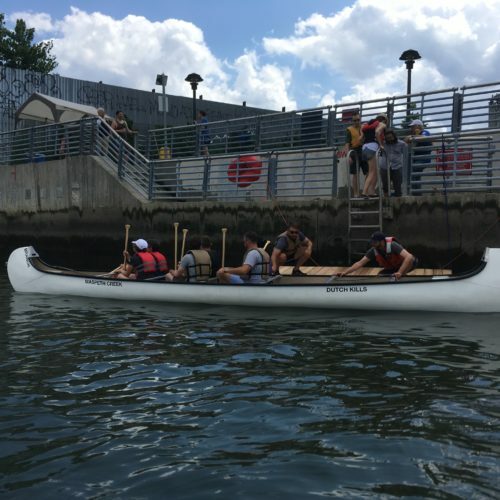 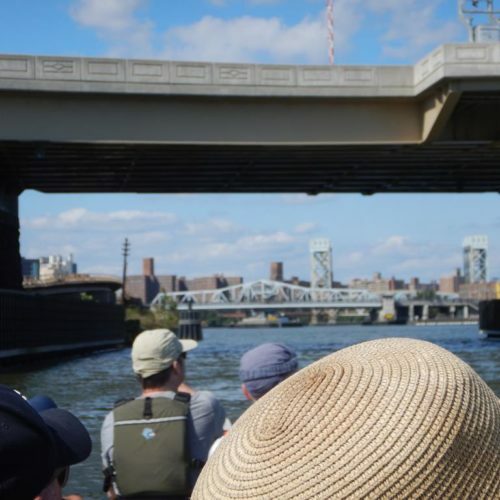 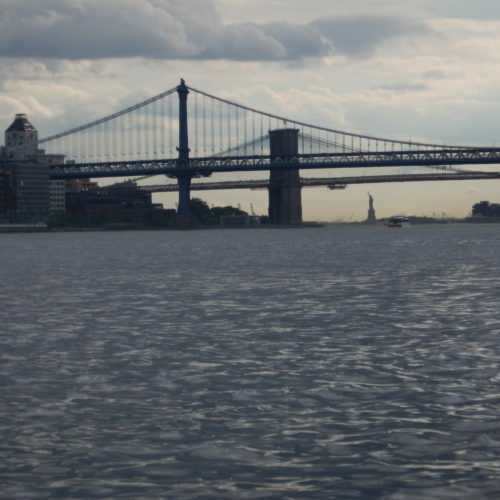 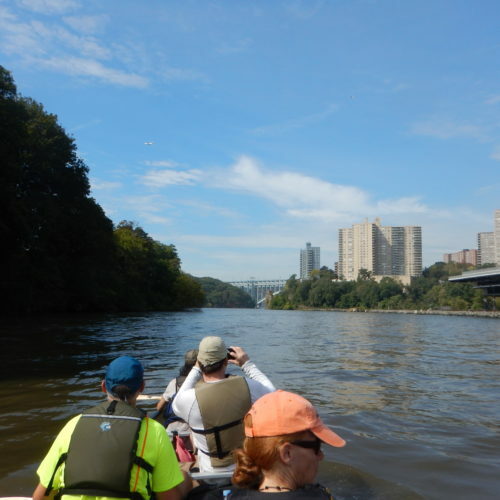 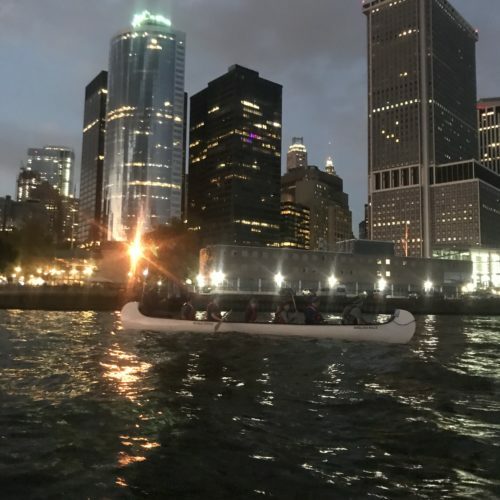 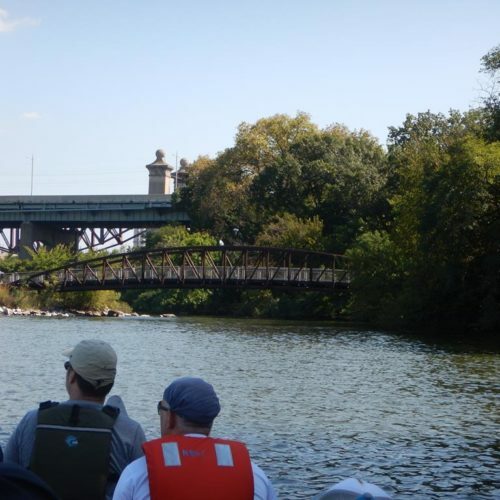 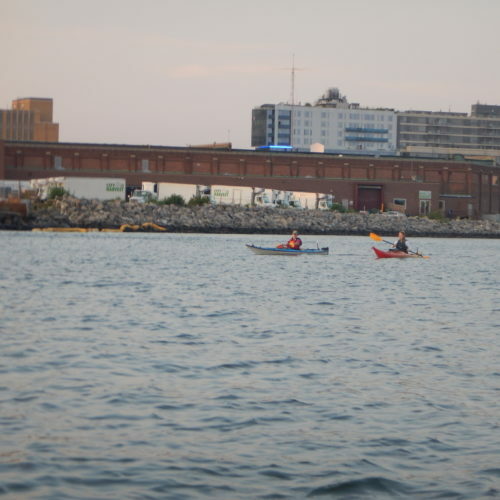 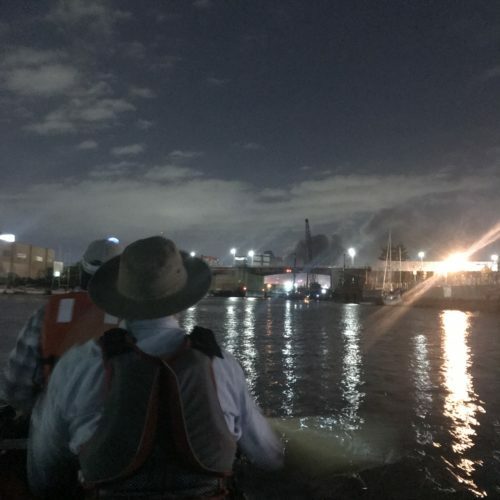 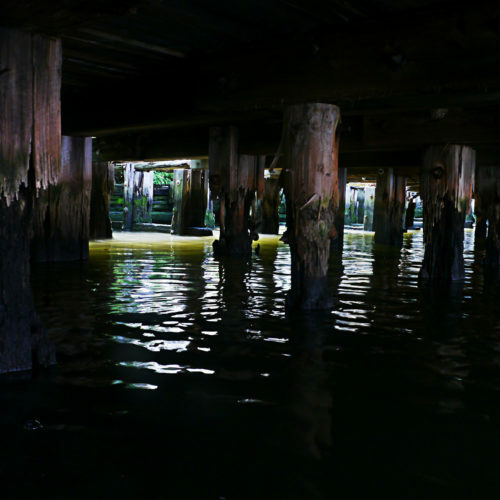 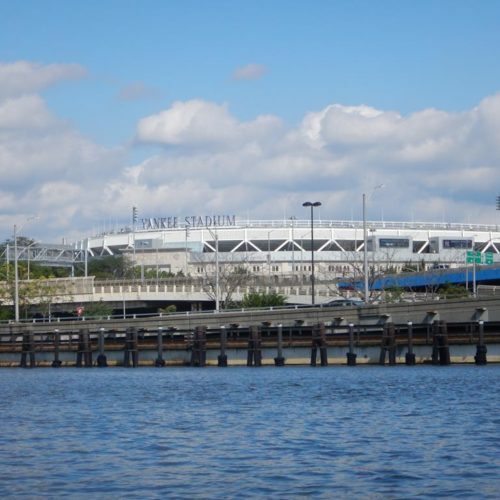 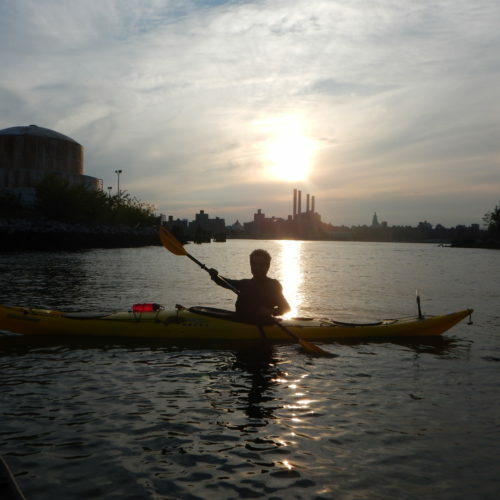 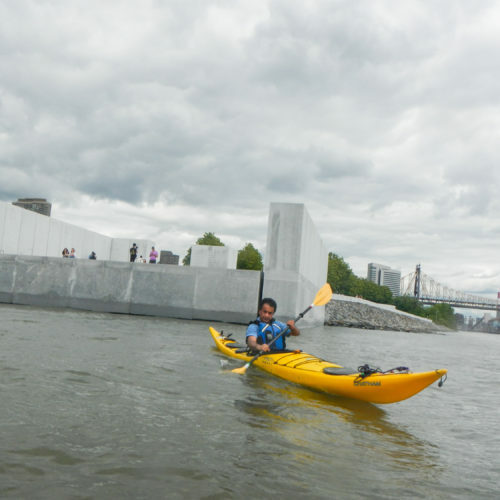 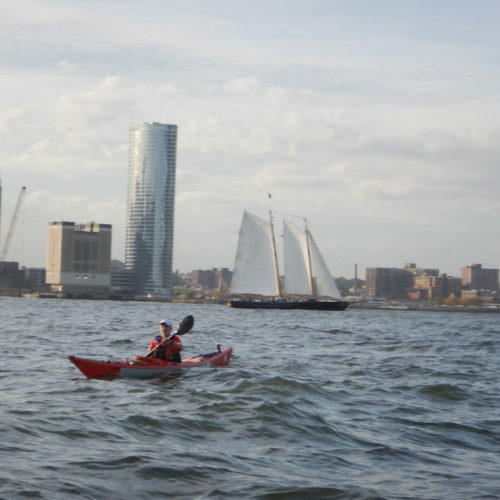 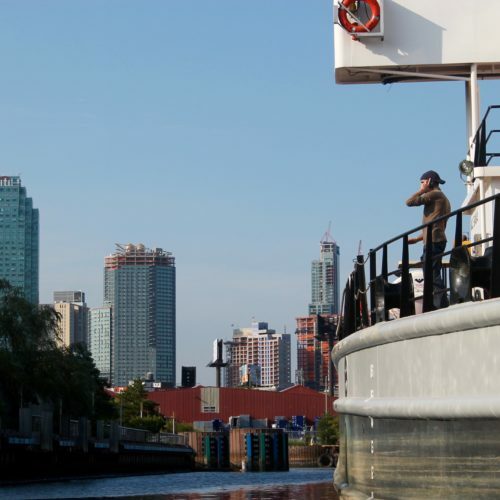 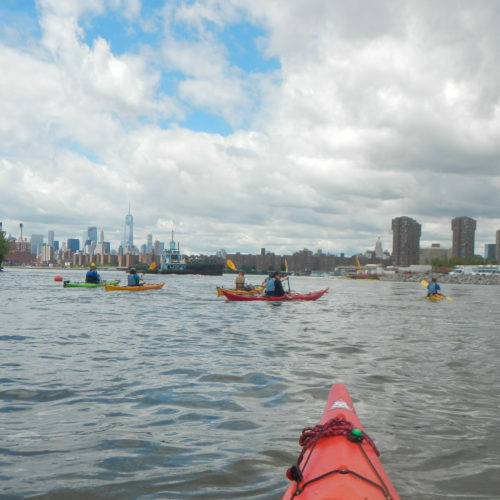 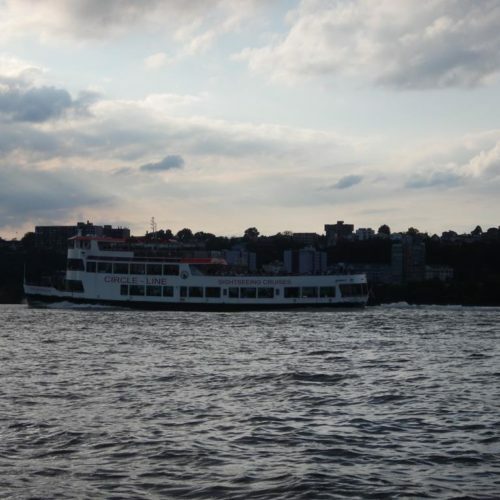 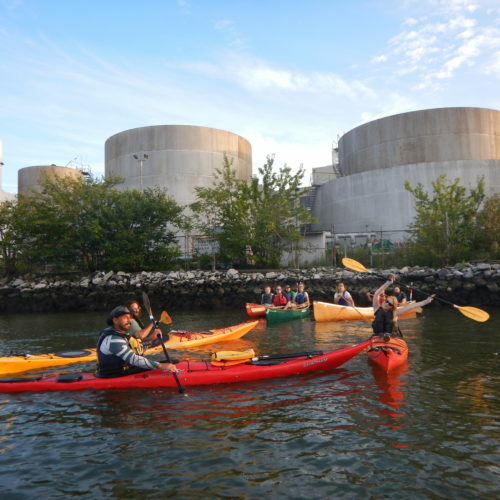 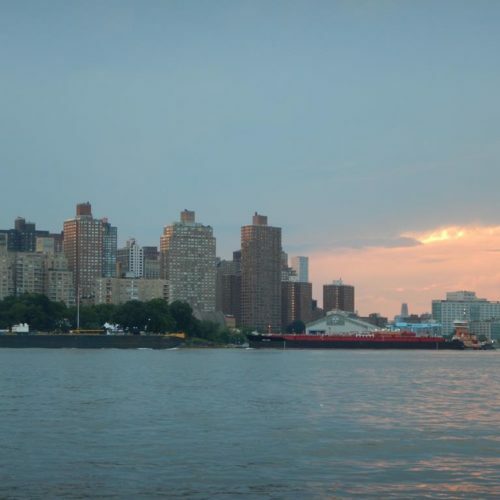 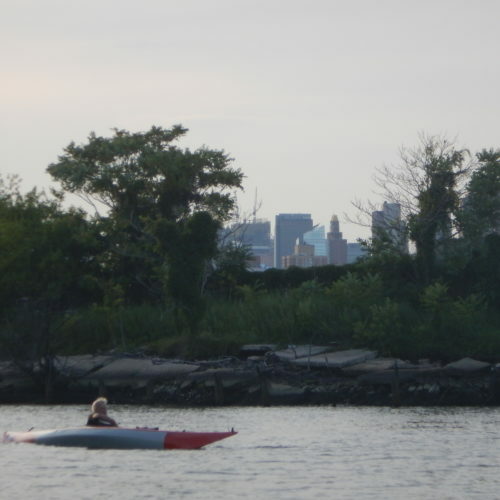 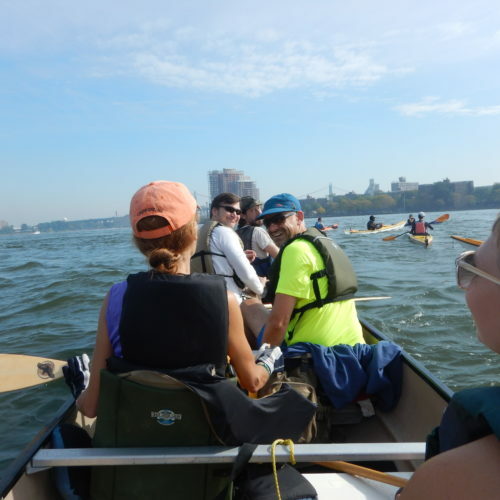 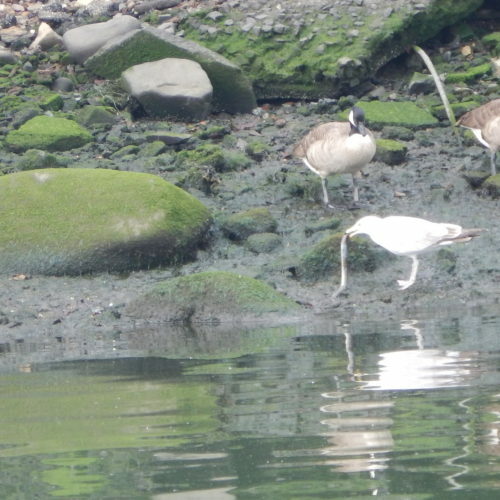 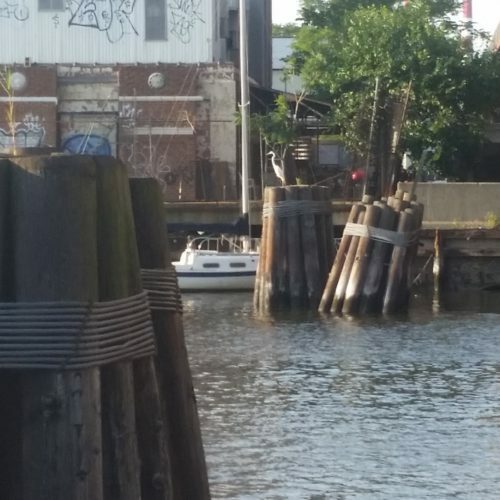 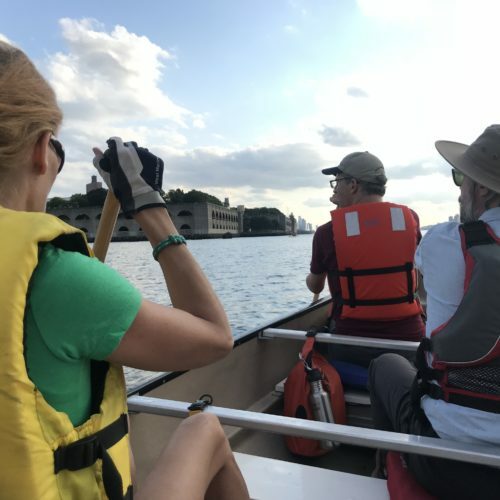 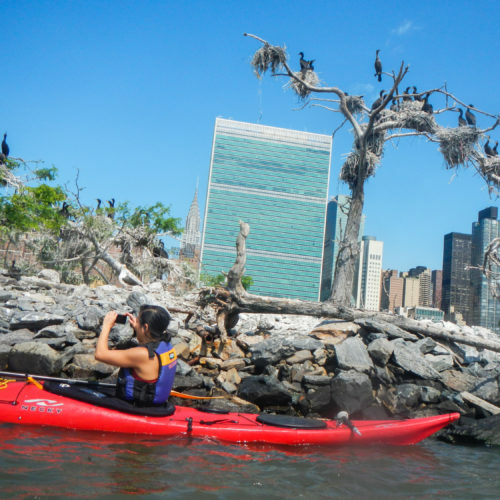 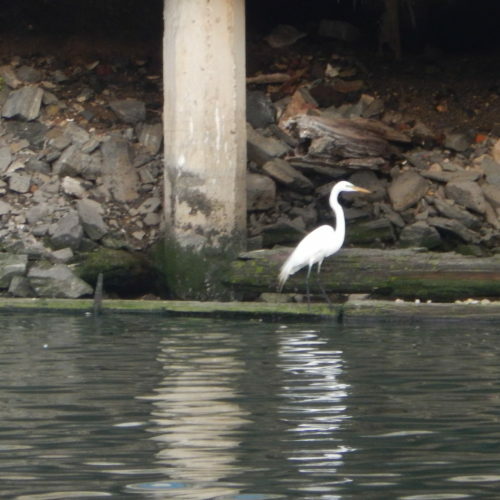 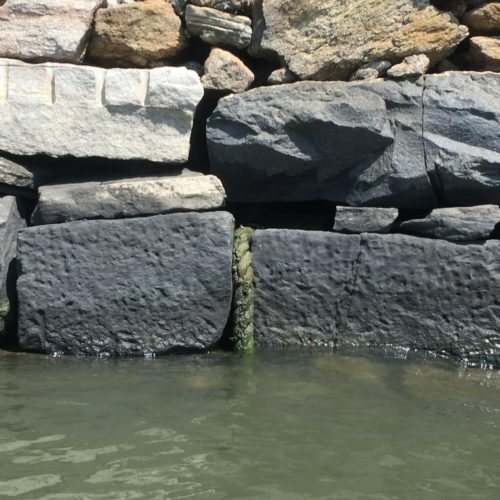 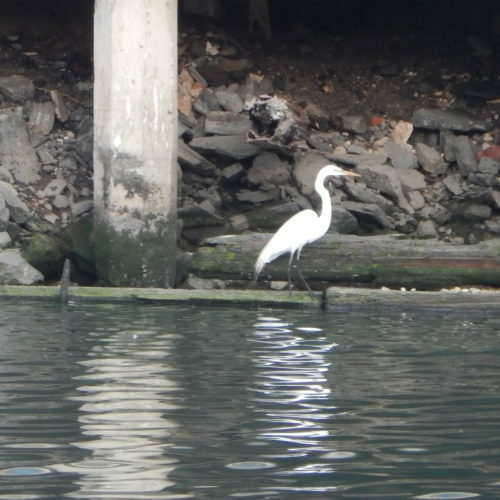 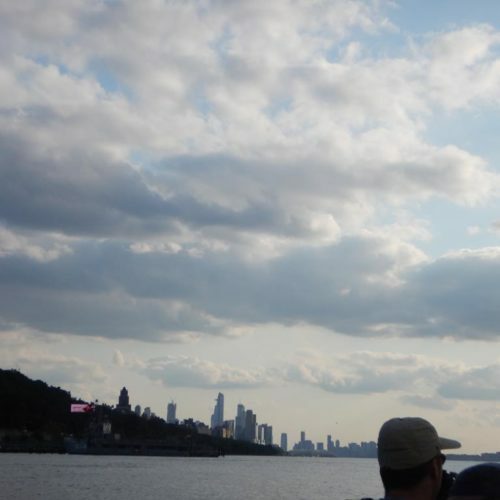 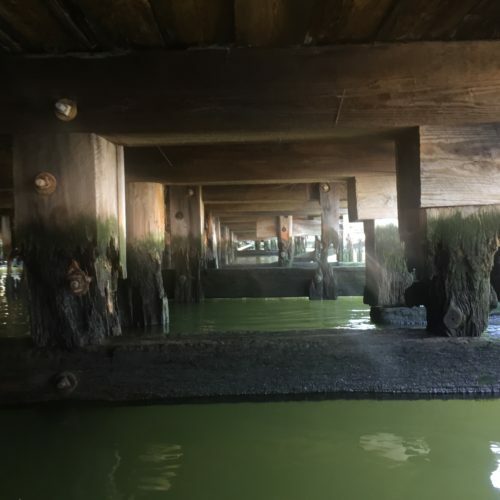 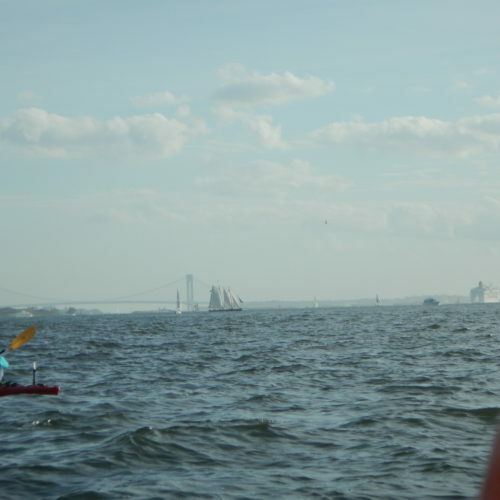 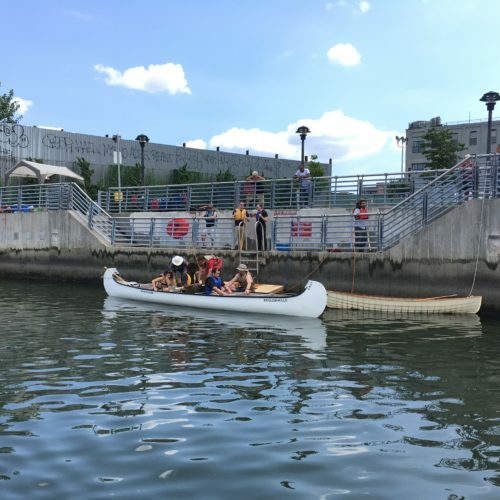 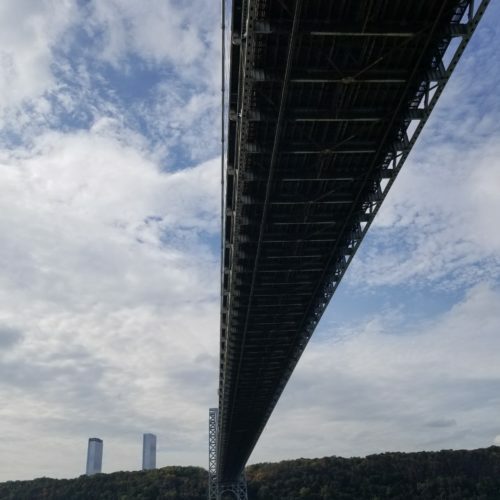 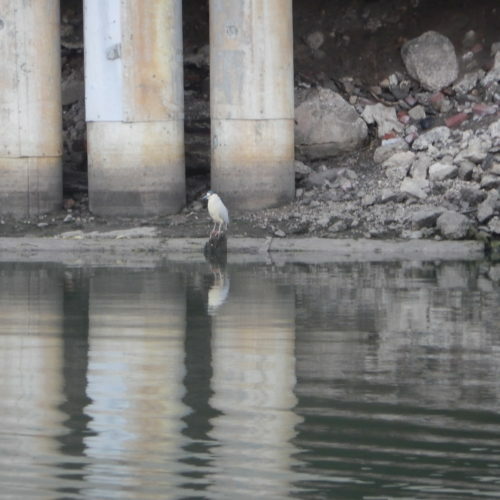 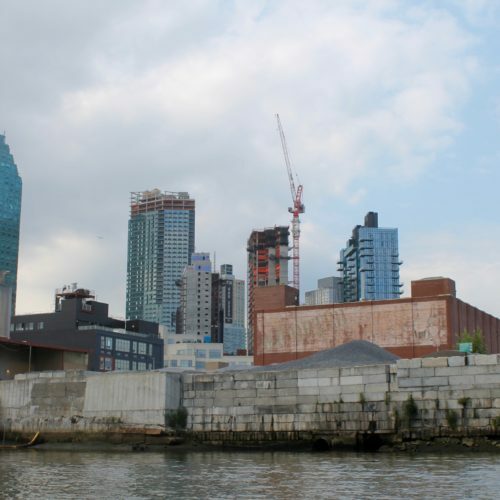 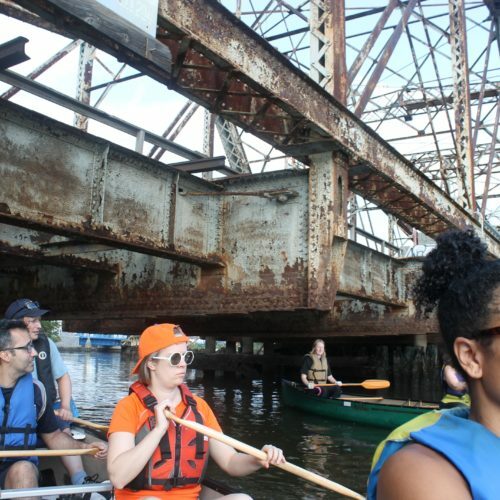 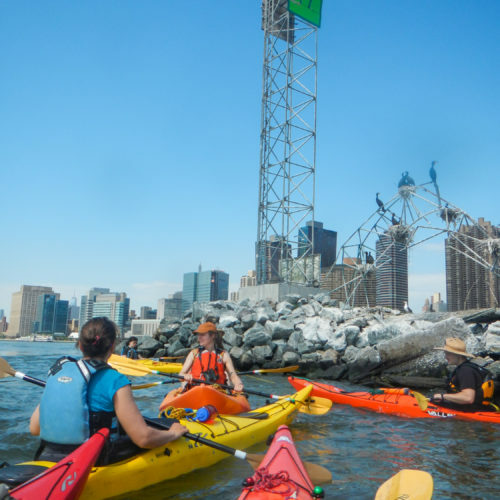 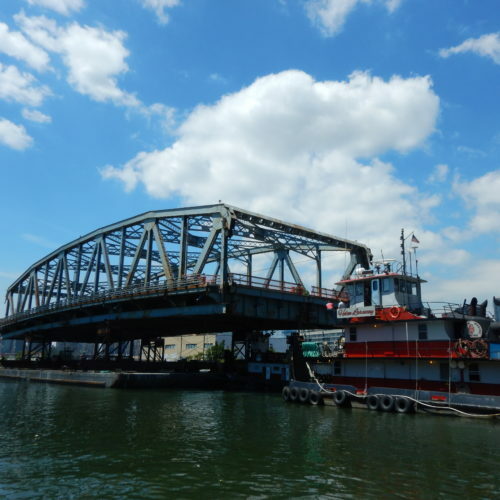 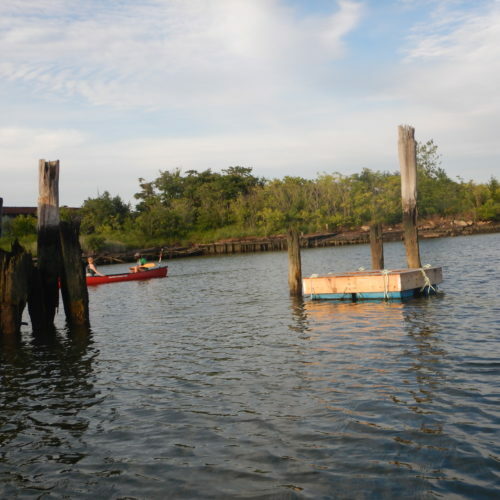 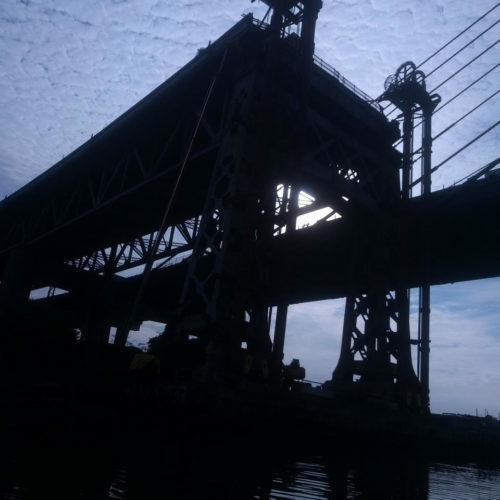 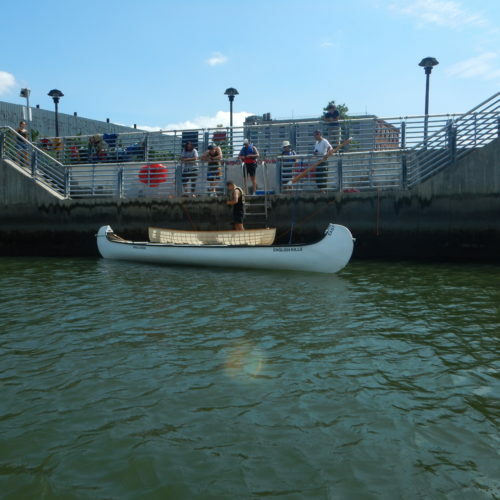 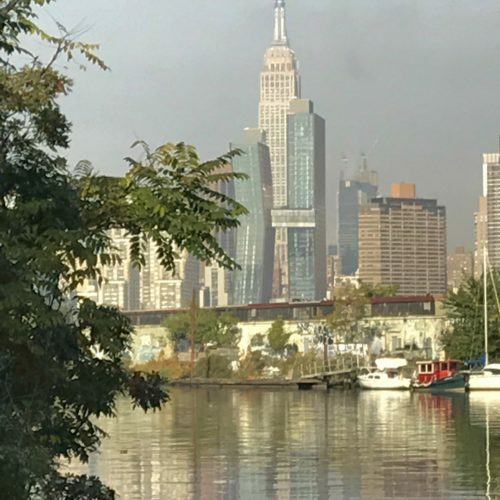 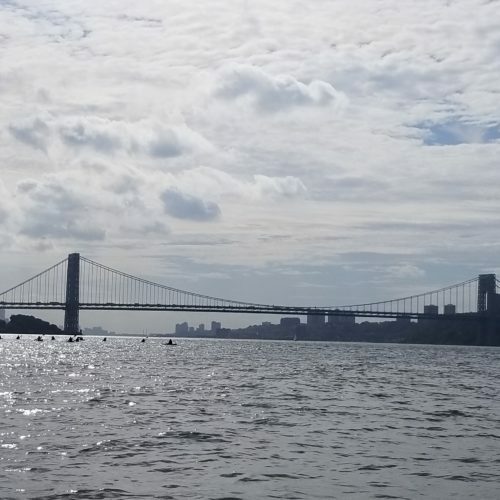 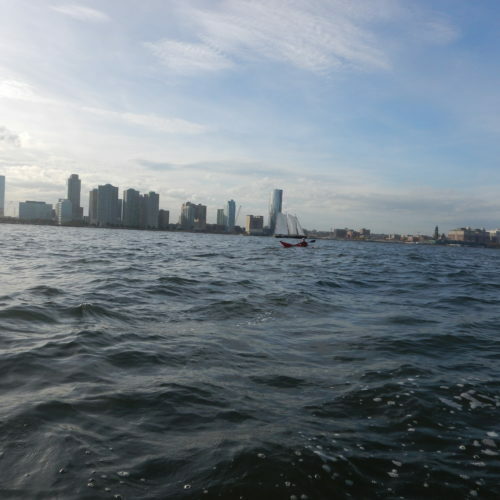 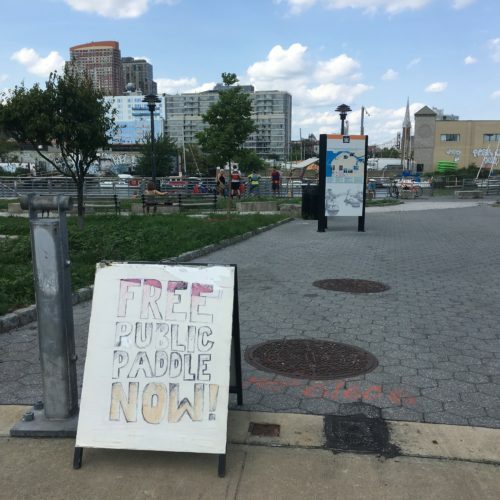 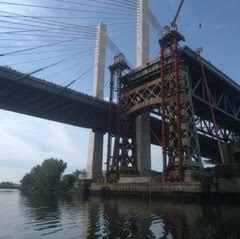 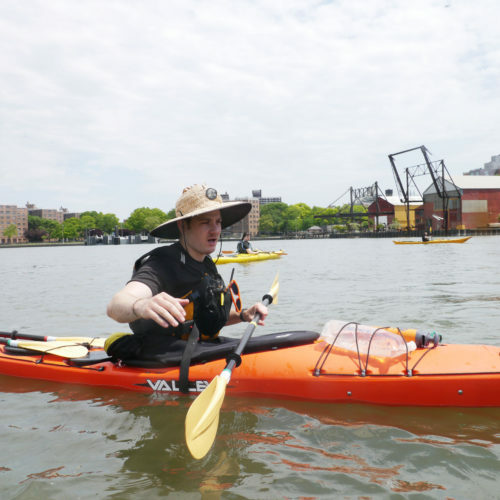 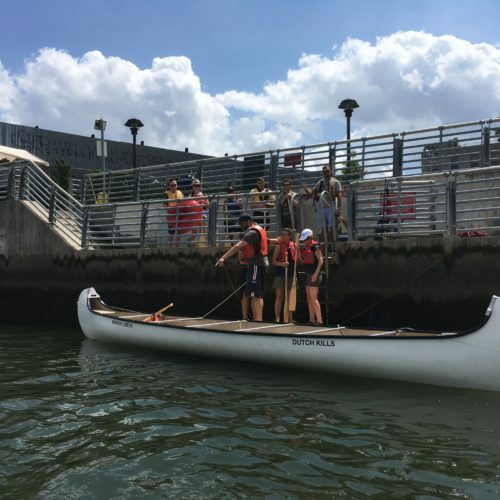 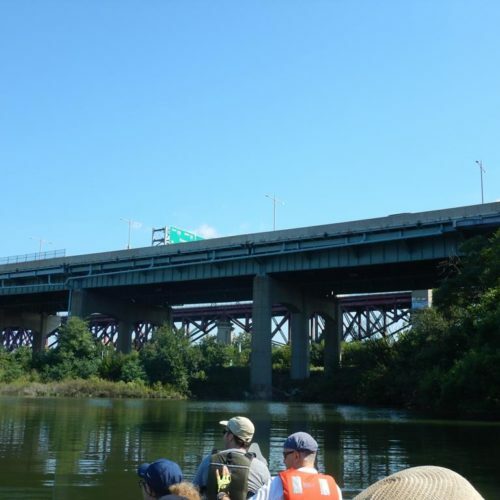 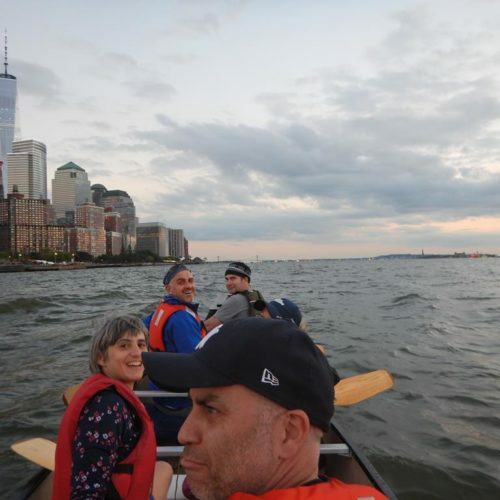 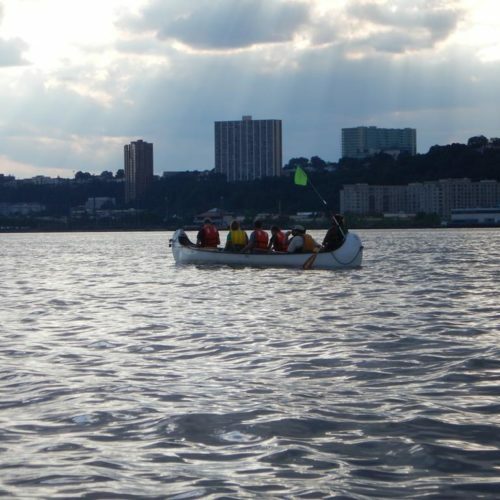 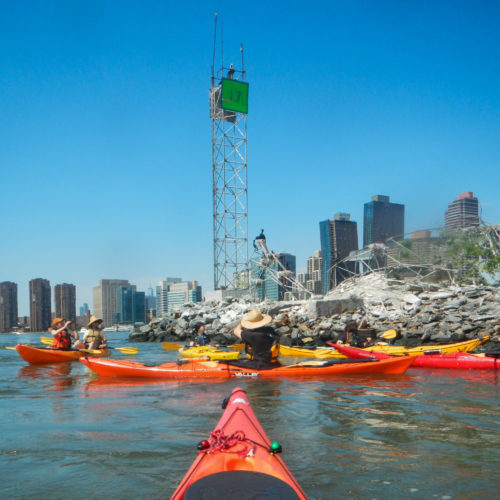 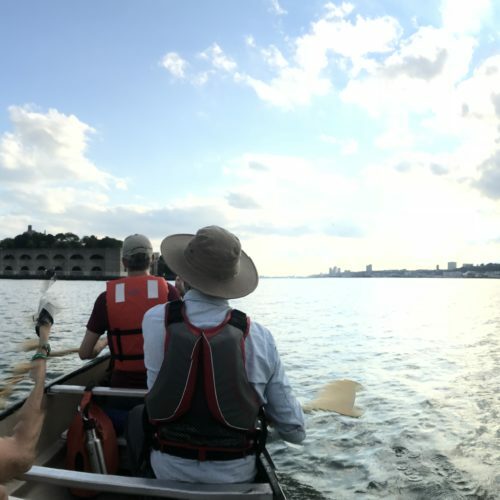 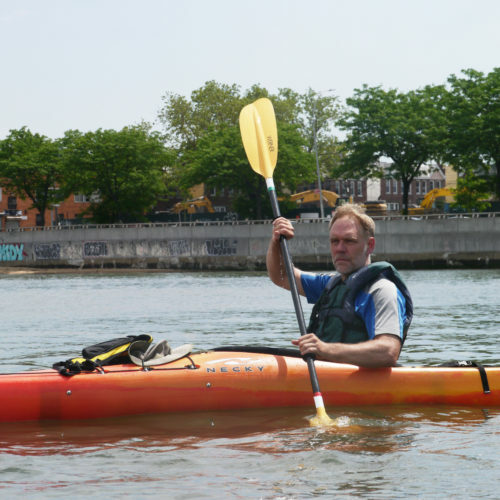 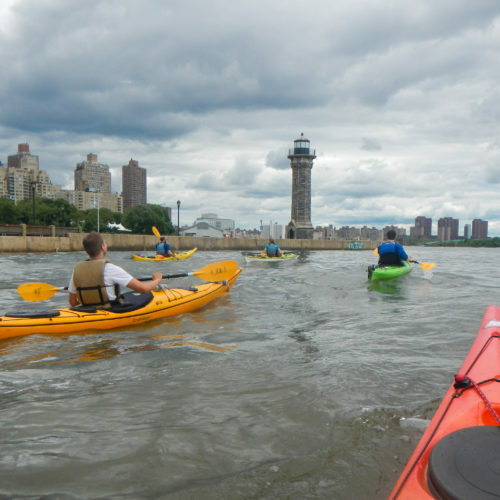 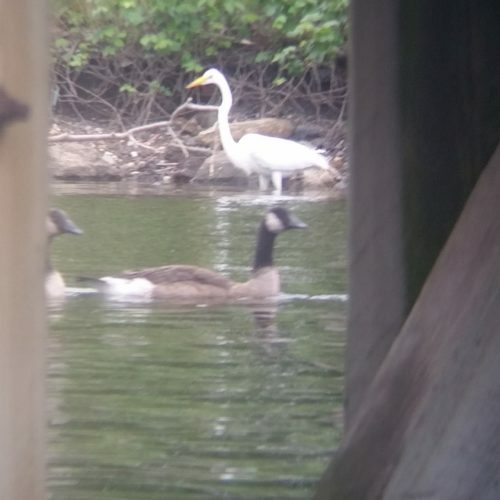 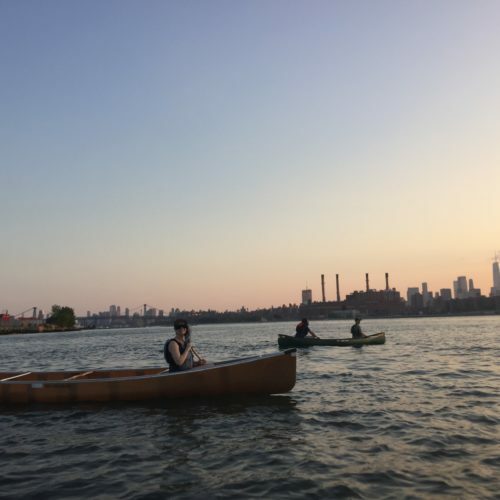 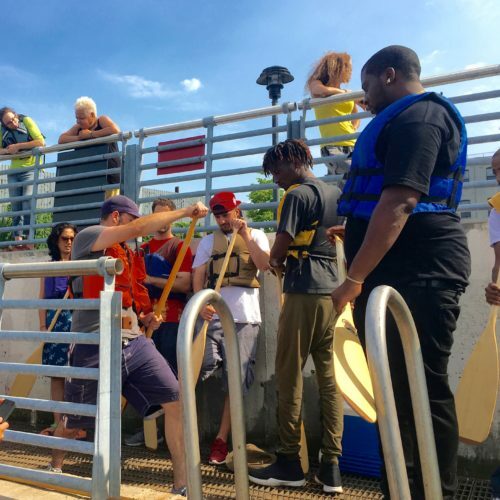 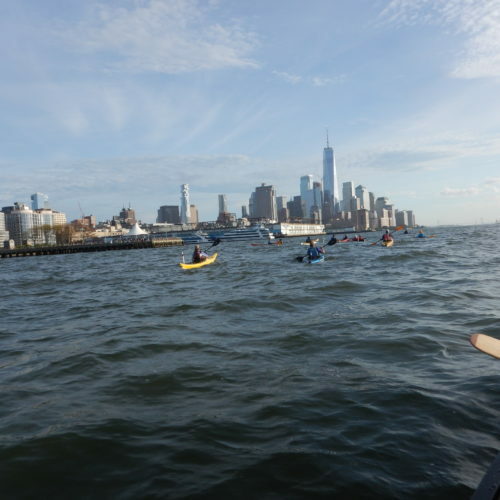 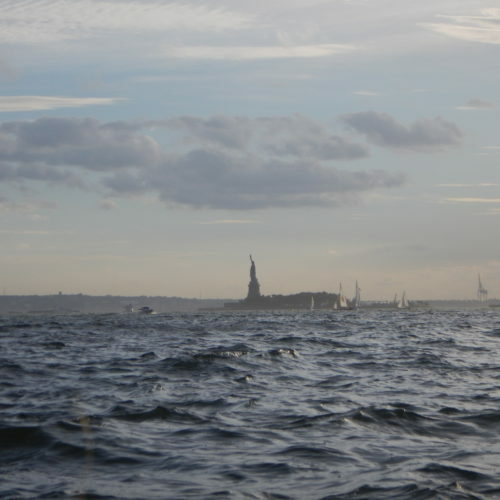 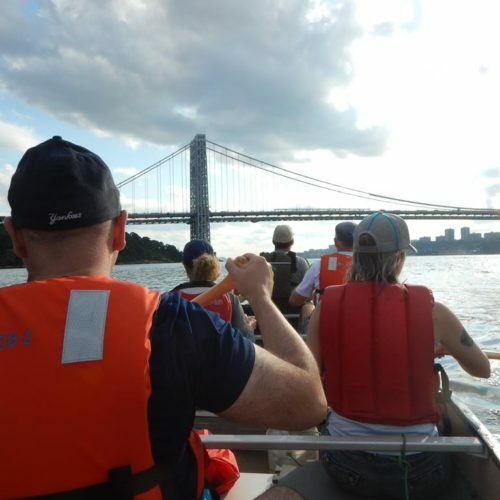 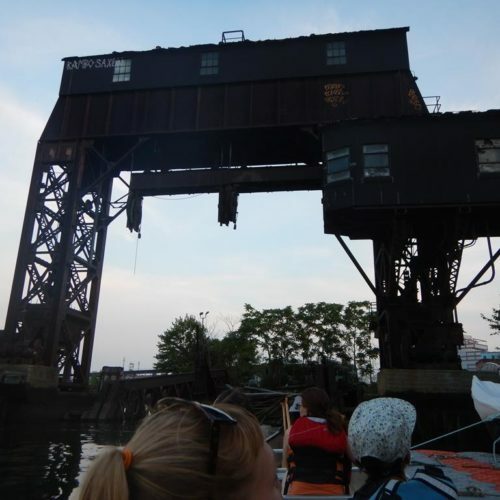 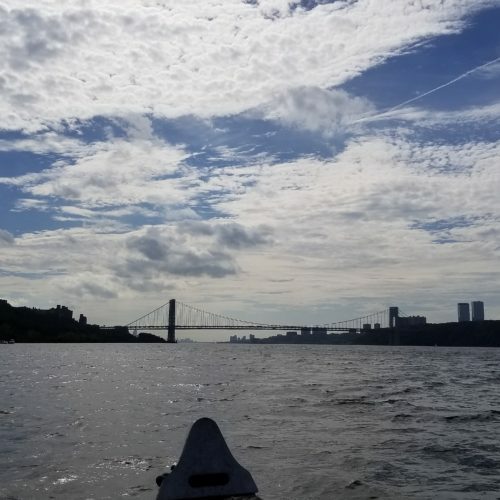 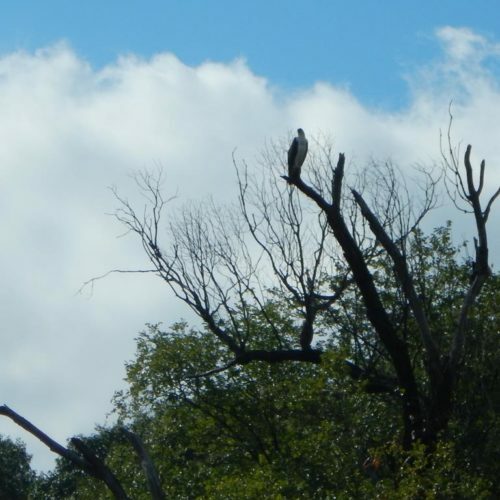 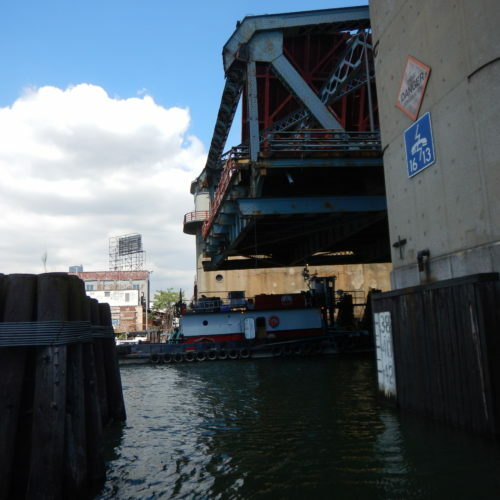 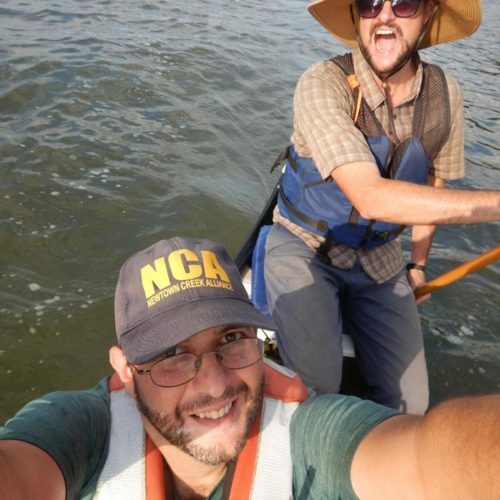 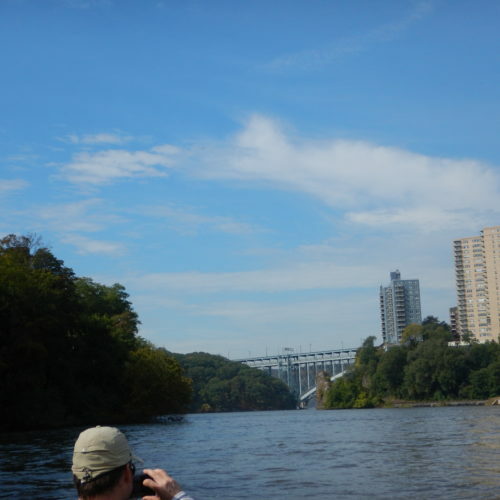 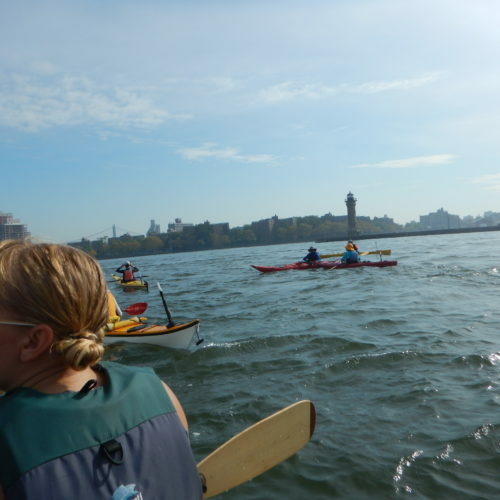 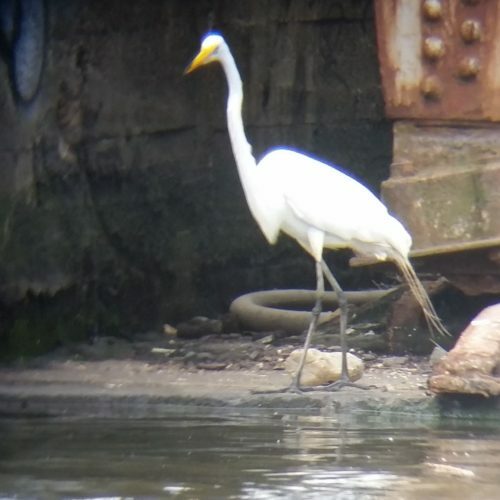 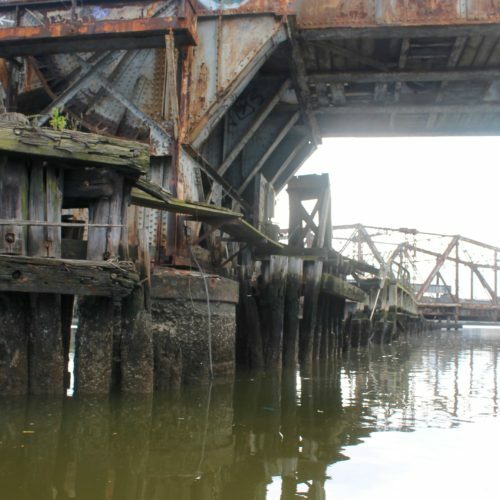 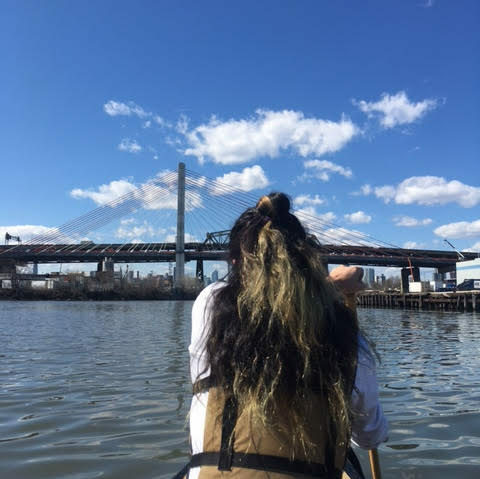 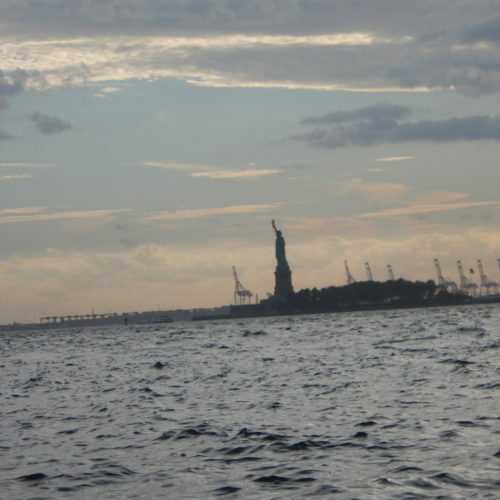 Canoe Manhattan Circ, Hudson River, September 29, 2018: Heavy is the head that wears the cool hat! 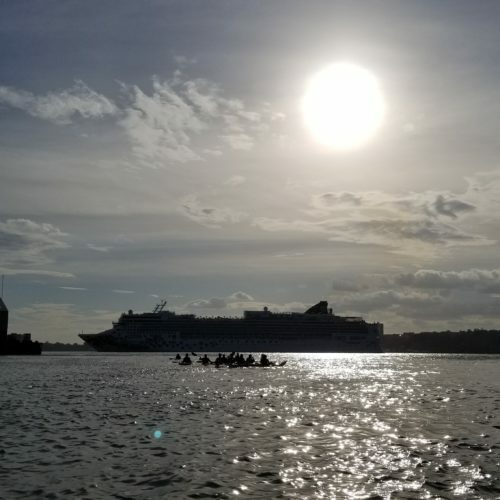 Coming back from Wallabout Bay, October 14, 2017. 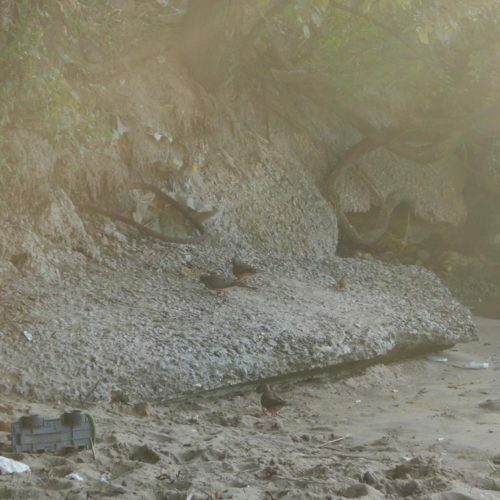 The Bone Shore. 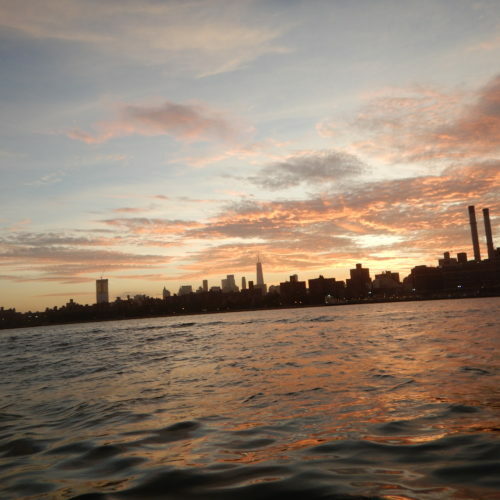 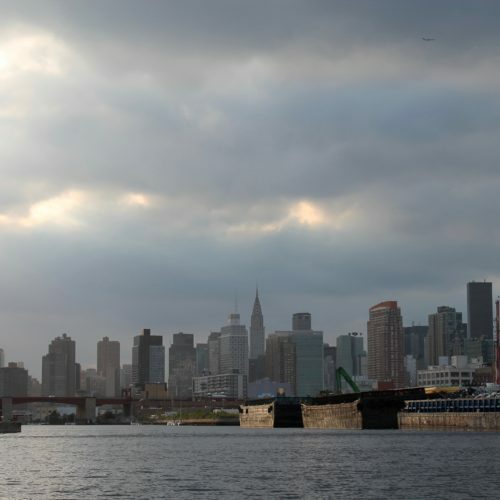 Once more around your insular city of the Manhattoes, belted round by wharves as Indian isles by coral reefs . . . ! 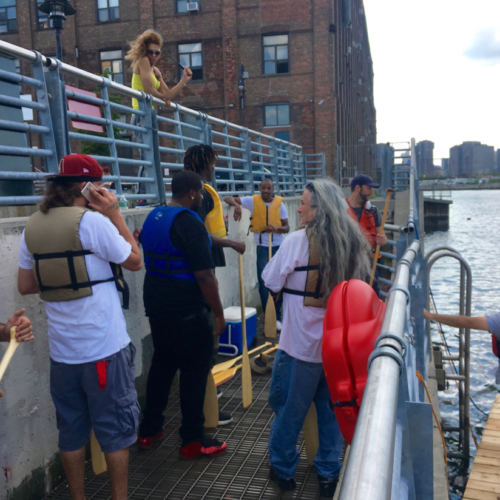 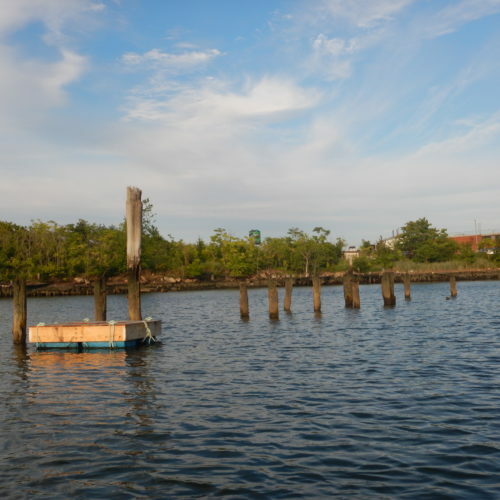 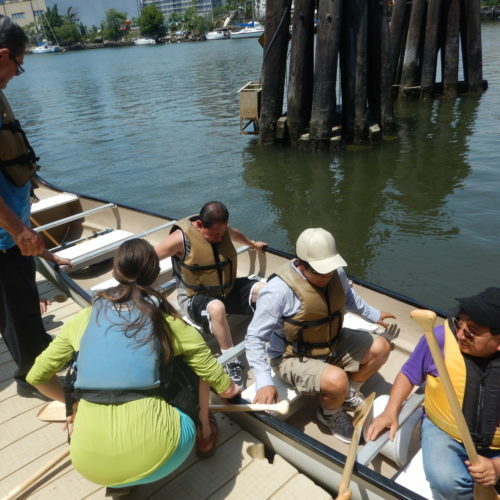 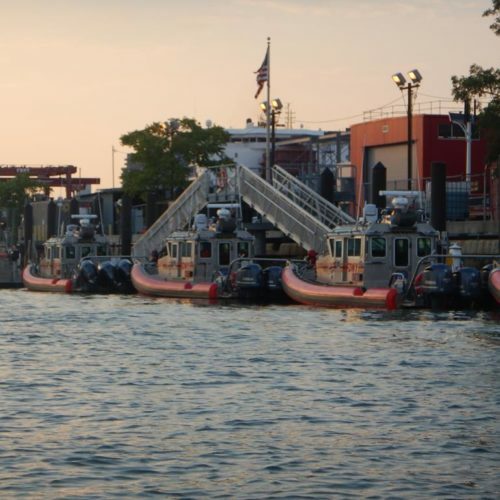 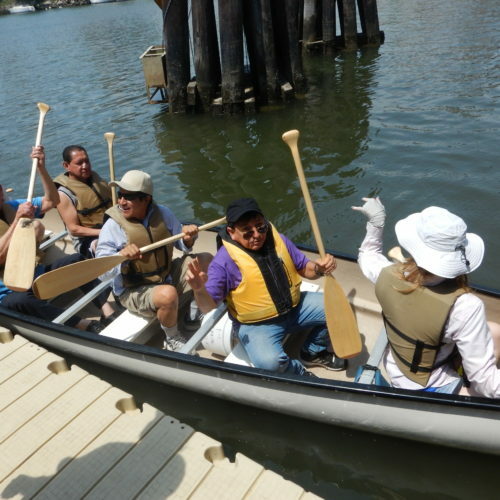 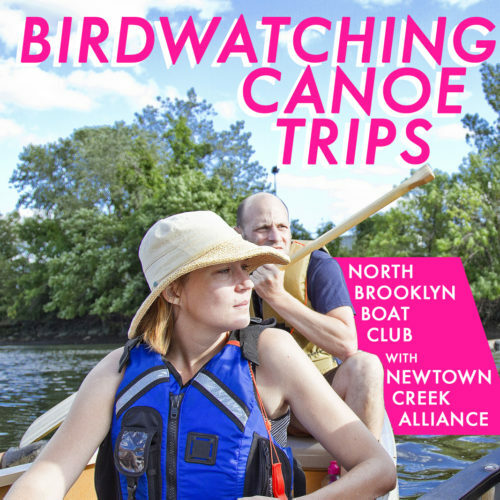 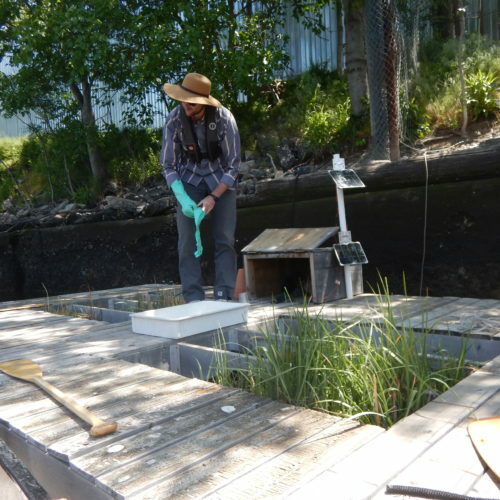 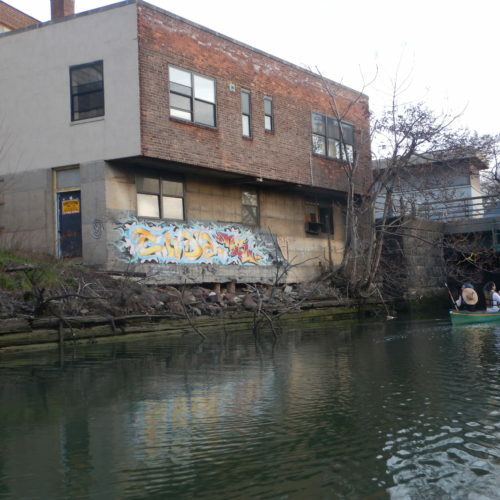 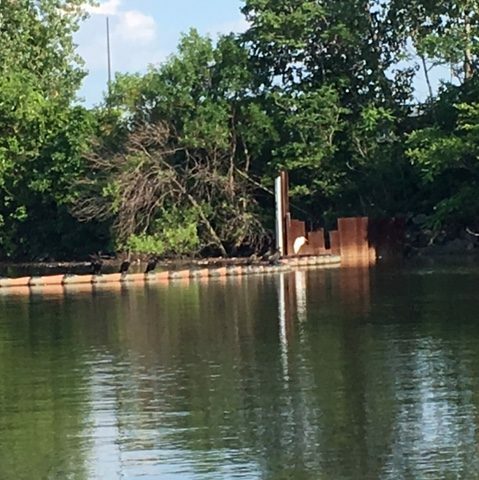 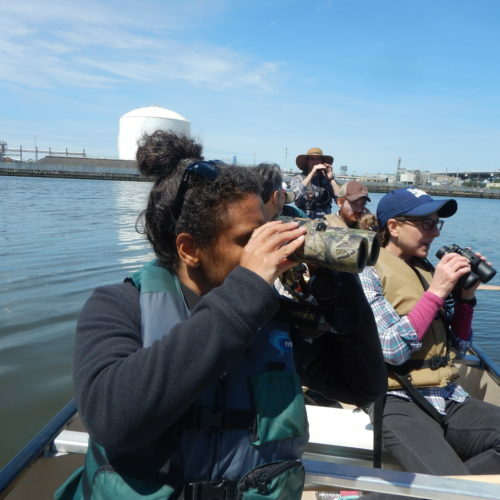 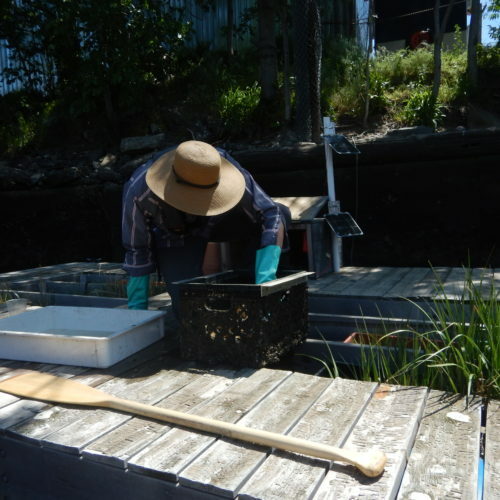 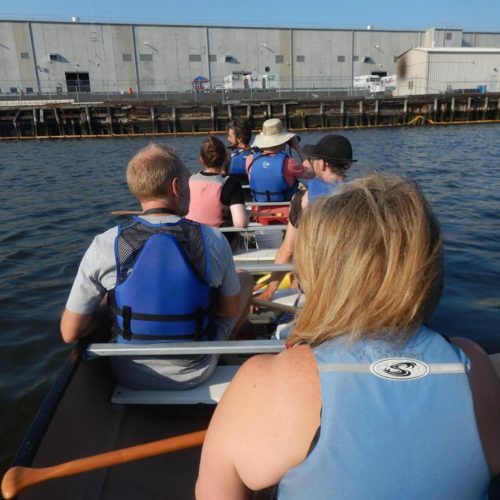 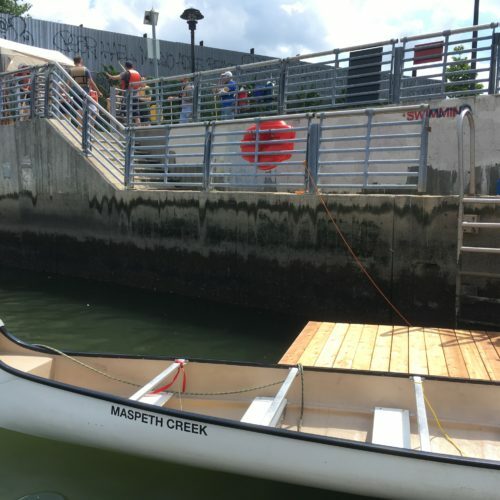 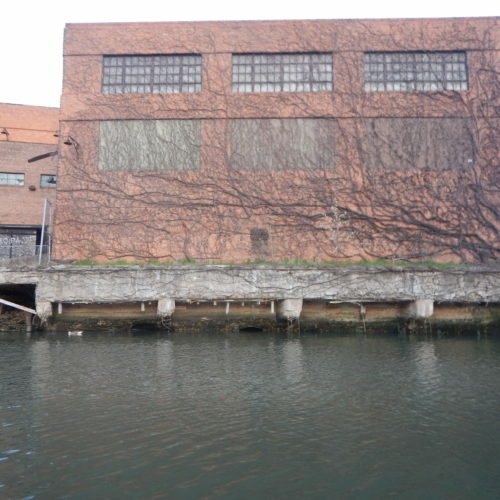 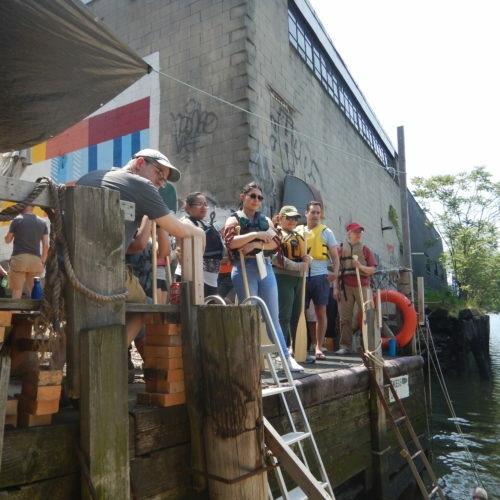 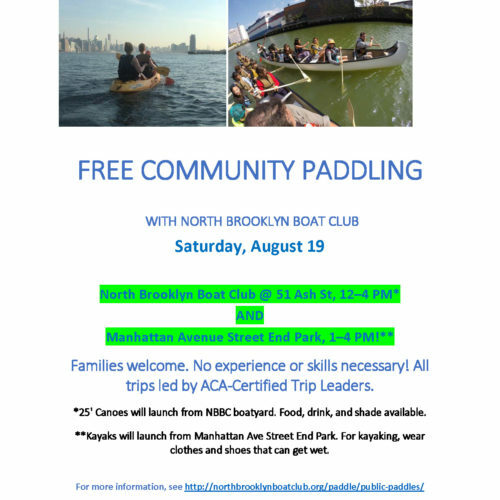 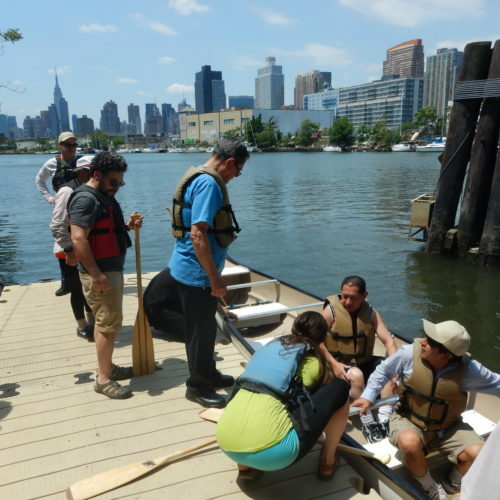 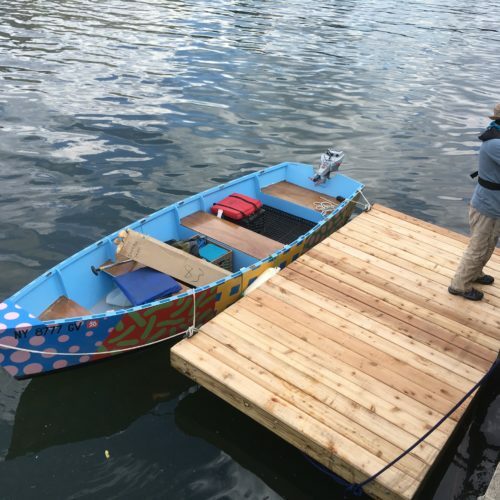 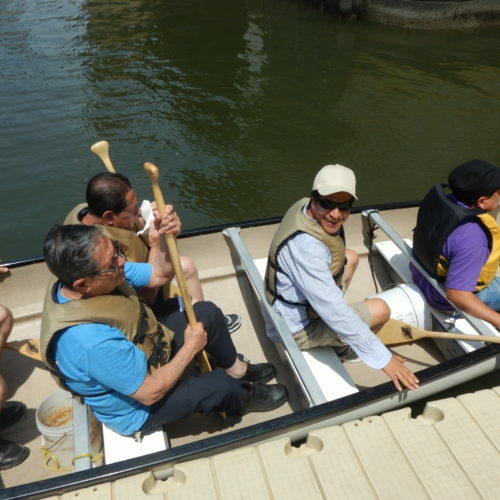 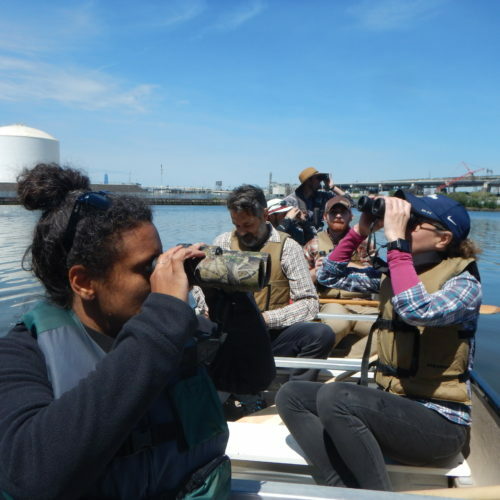 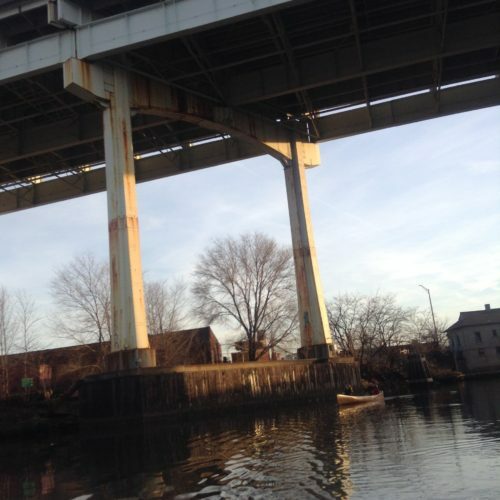 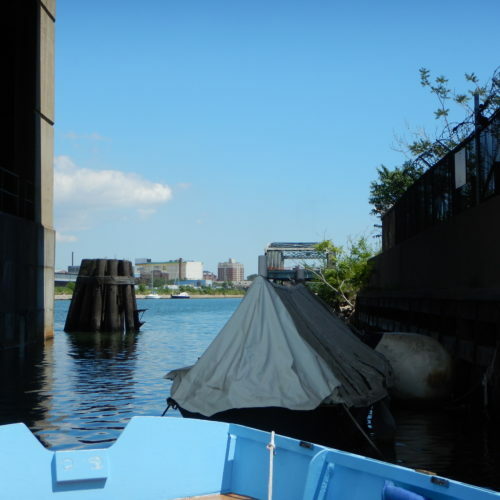 NBBC’s first event to involve launching boats from MASE! 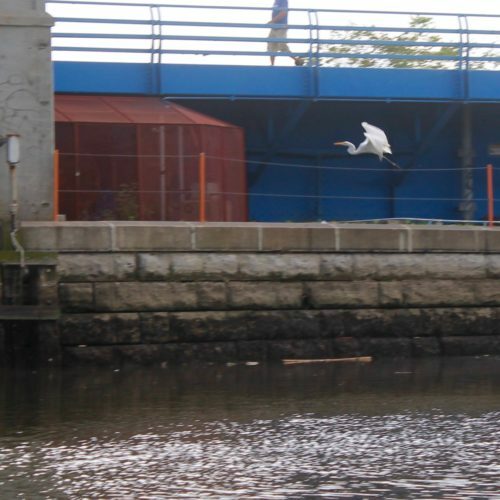 se hace camino al andar. 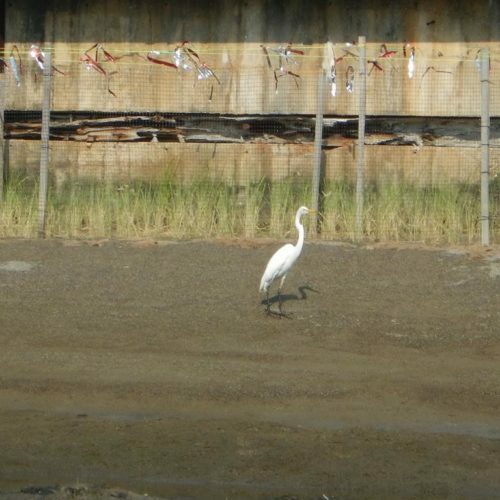 / the road is made by walking. 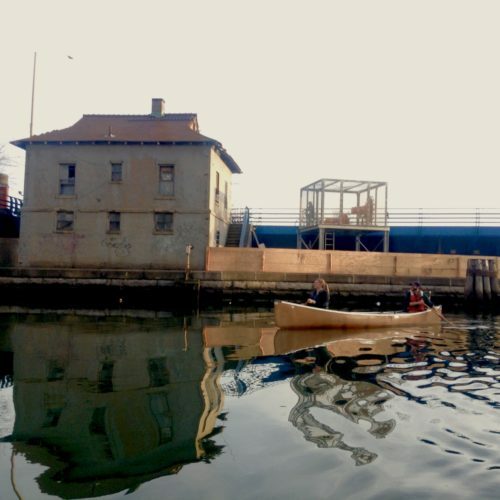 se ha de volver a pisar. 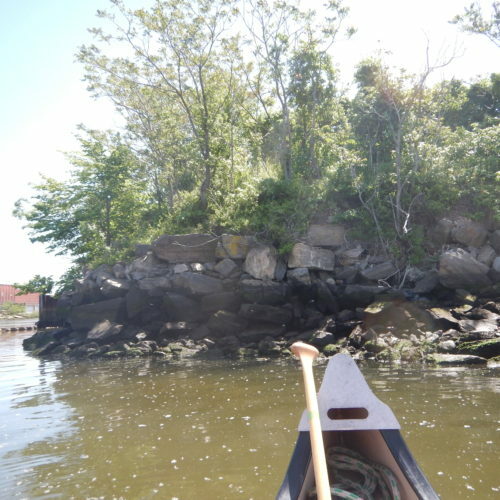 / that never will be trod again. 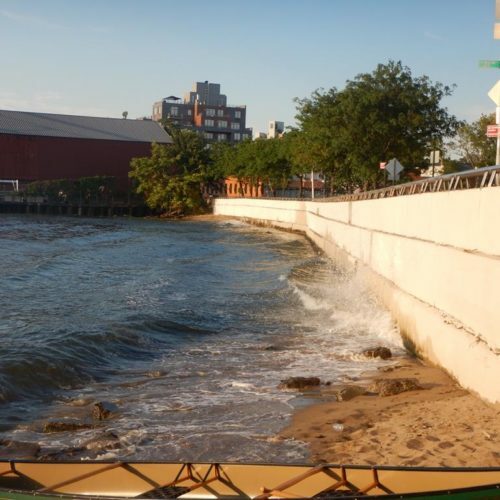 sino estelas en la mar. 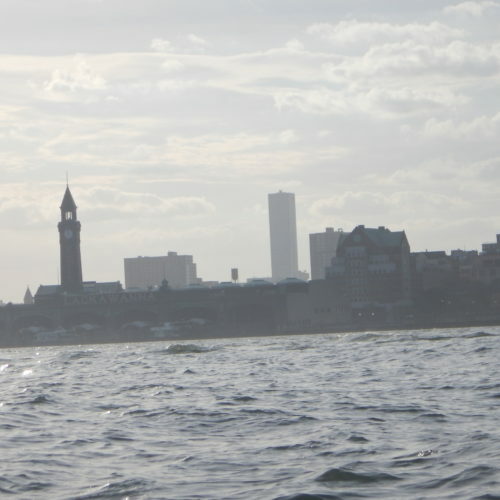 / Only wakes upon the sea. 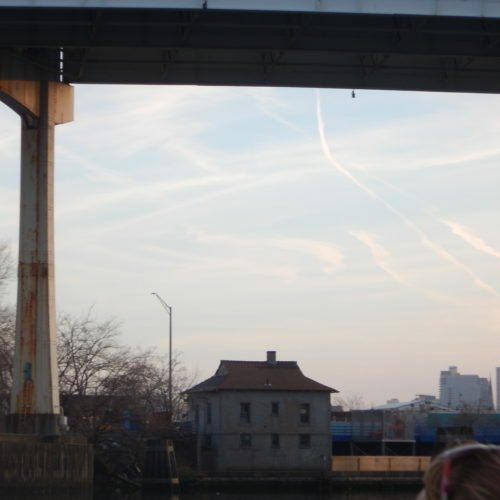 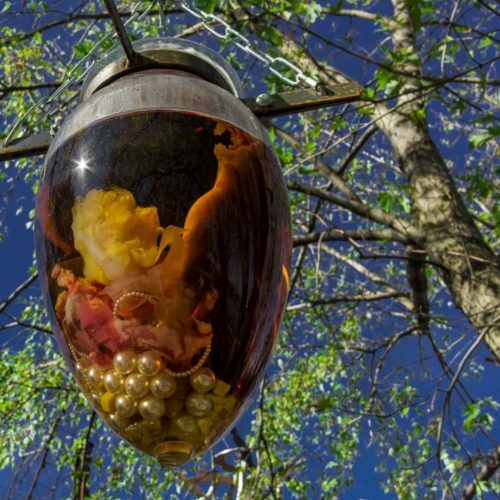 Tilting there momently, shrill shirt ballooning, / A jest falls from the speechless caravan. 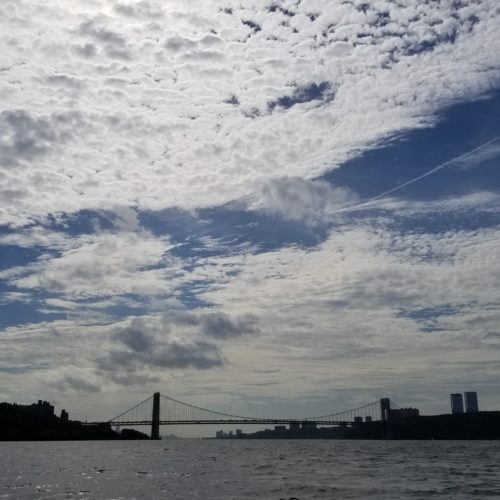 All afternoon the cloud flown derricks turn ... / Thy cables breathe the North Atlantic still. 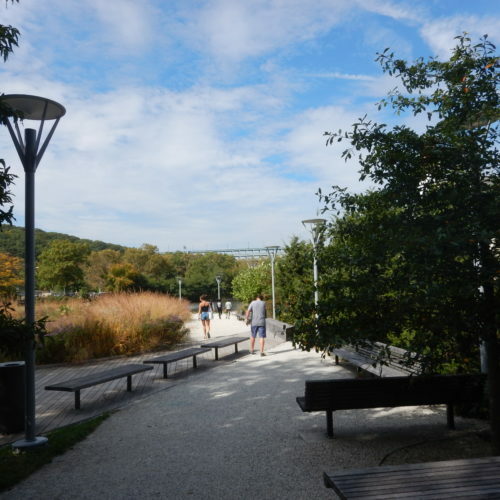 Beading thy path—condense eternity: / And we have seen night lifted in thine arms.